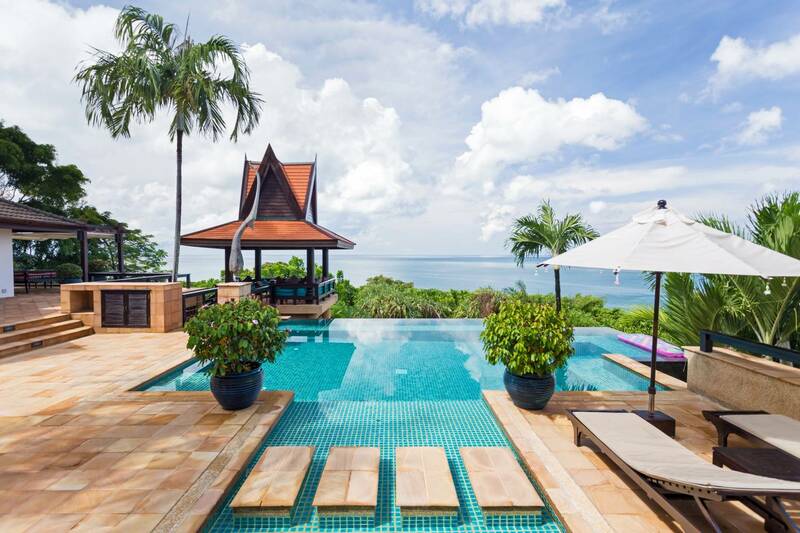 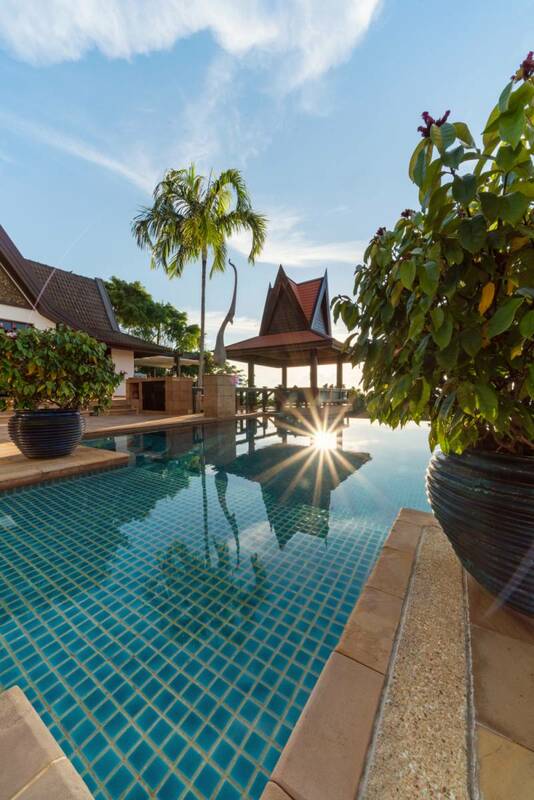 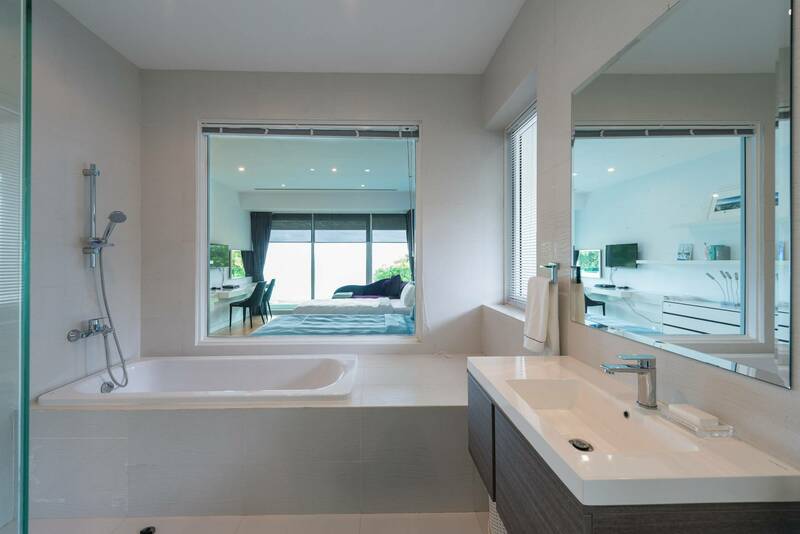 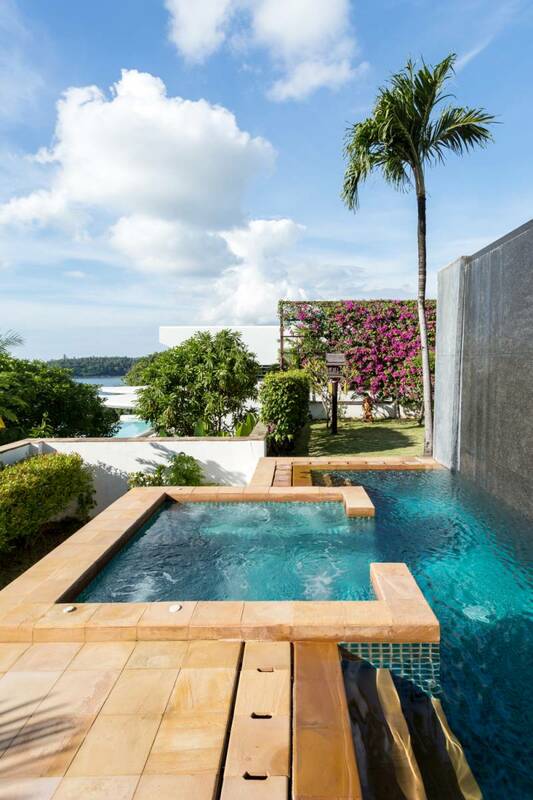 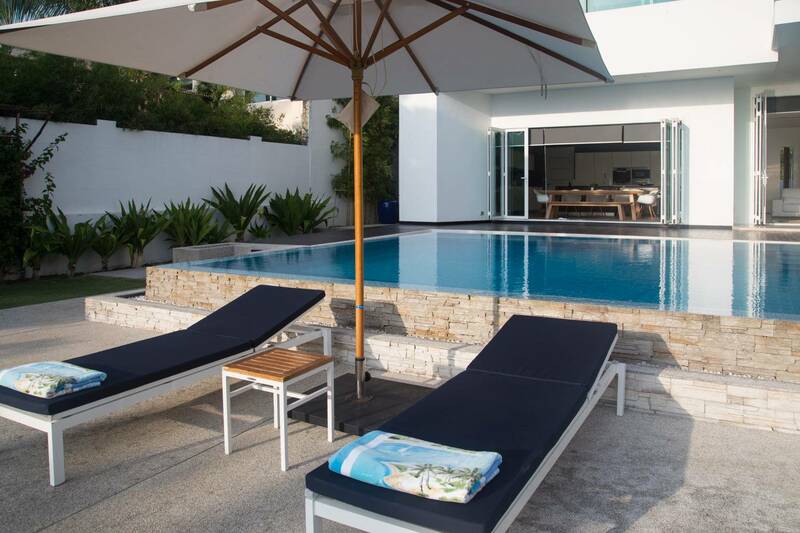 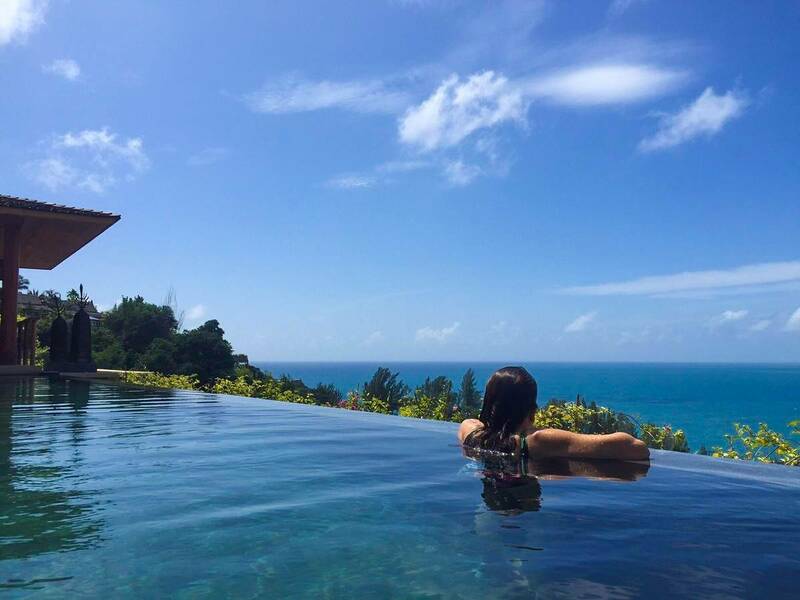 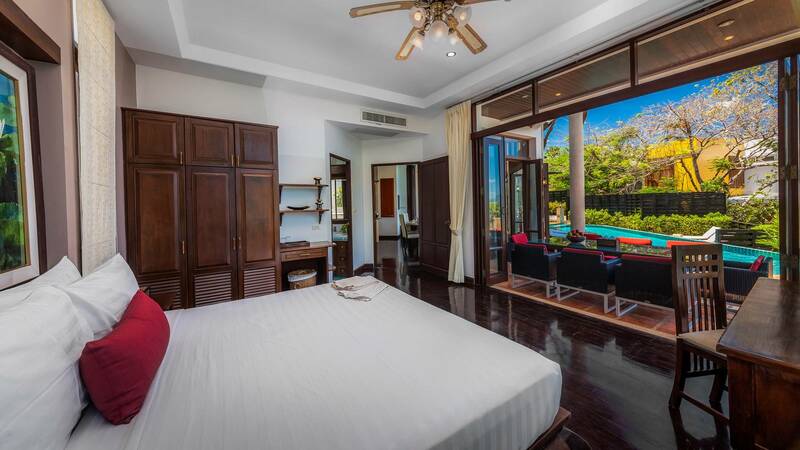 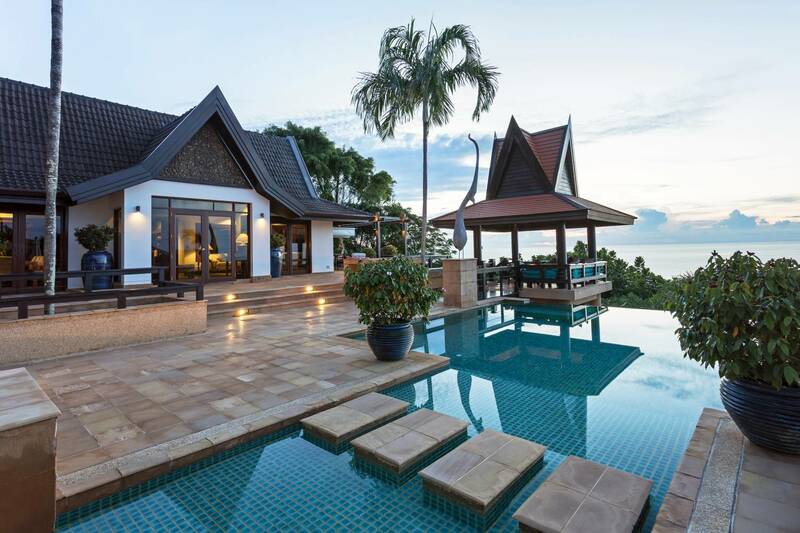 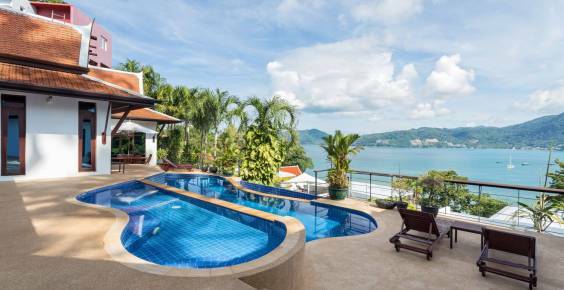 Set around a beautiful infinity edge pool, is the luxurious Baan Paradise with 180 degree panoramic views of Patong Bay, this luxury vacation villa is undoubtedly one of the finest villas in Phuket. 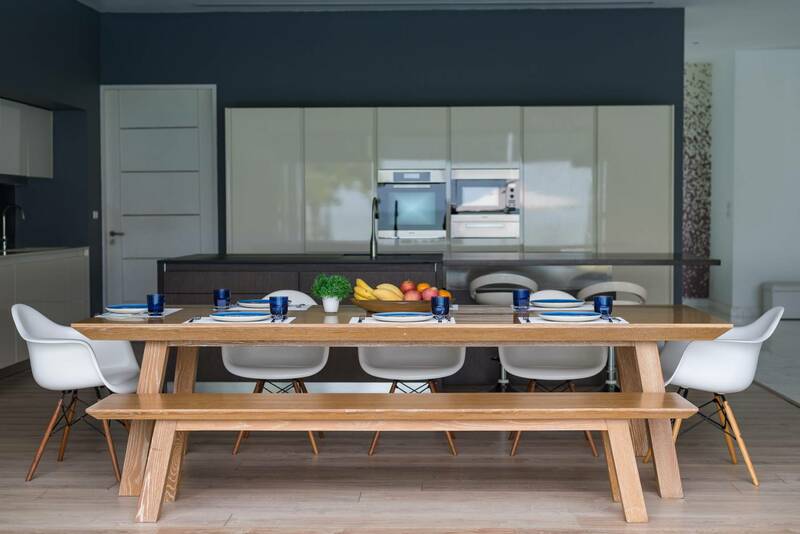 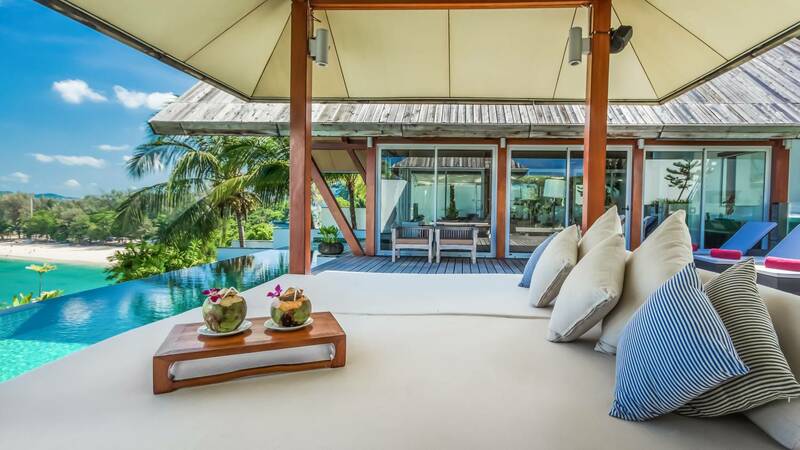 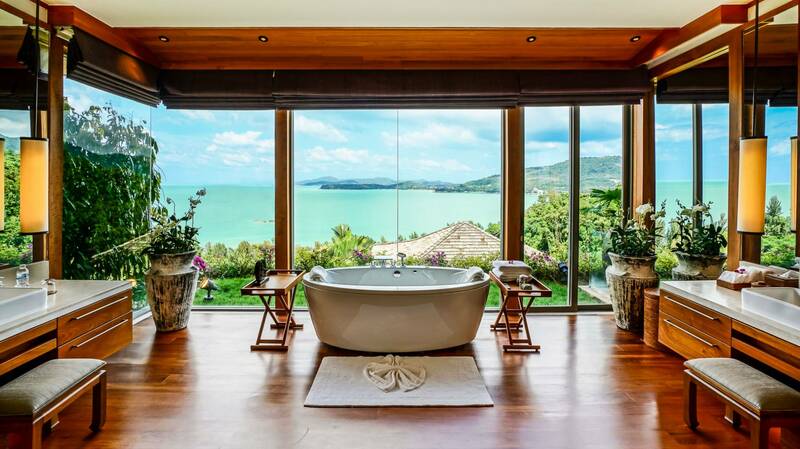 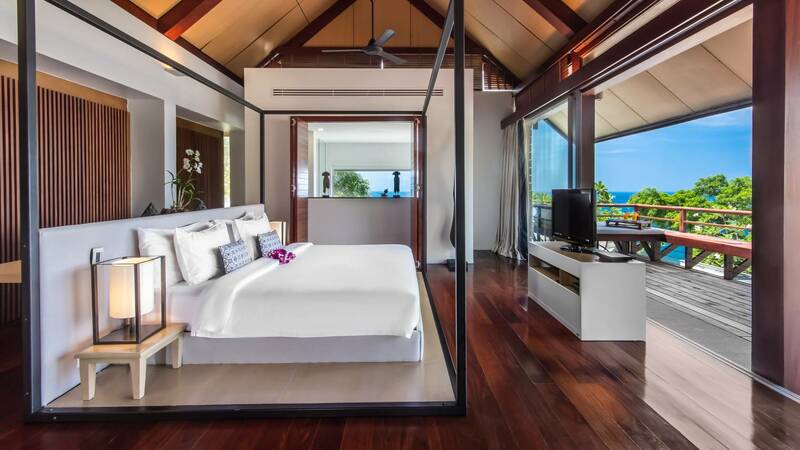 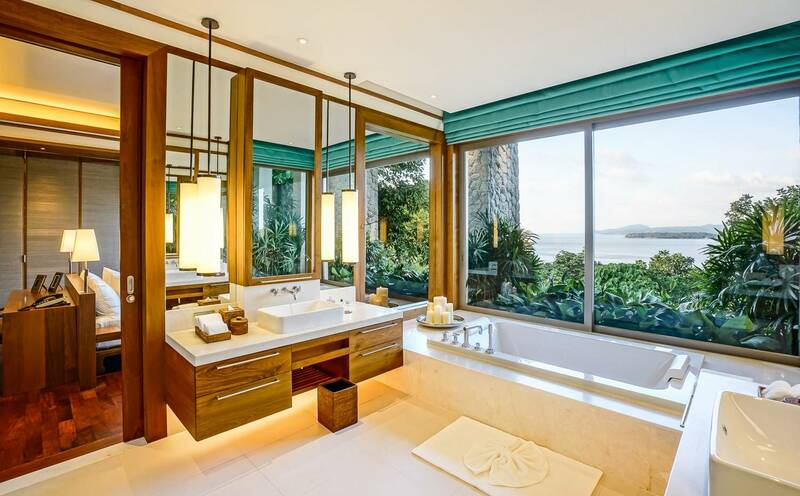 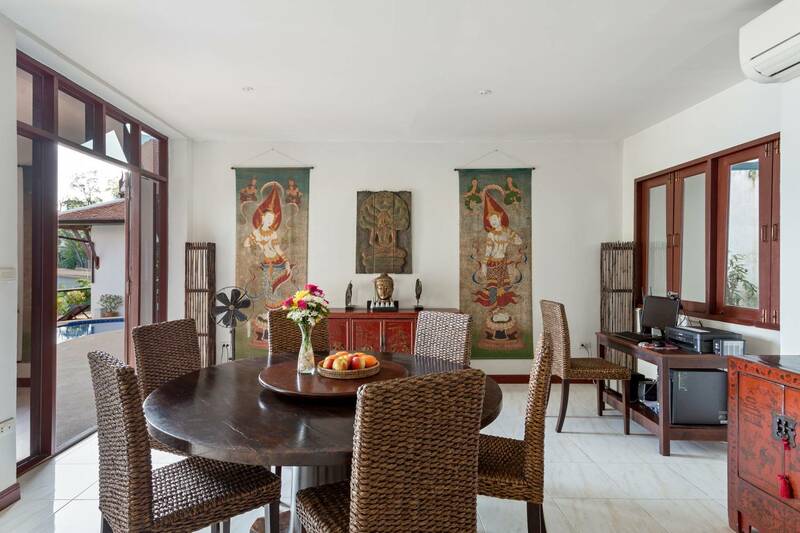 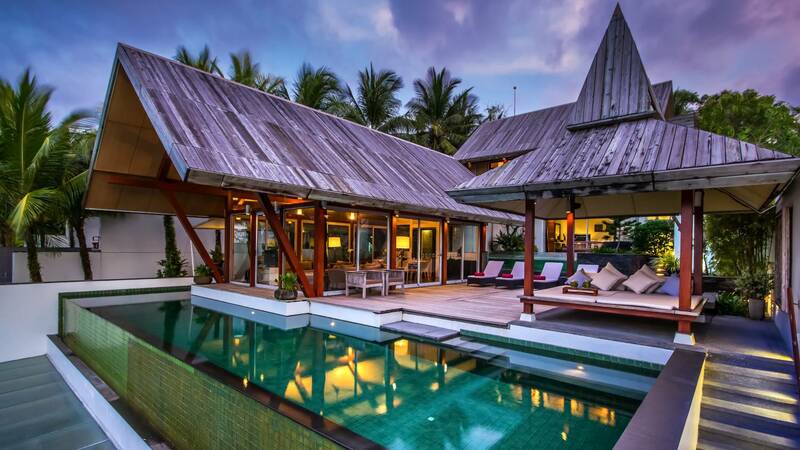 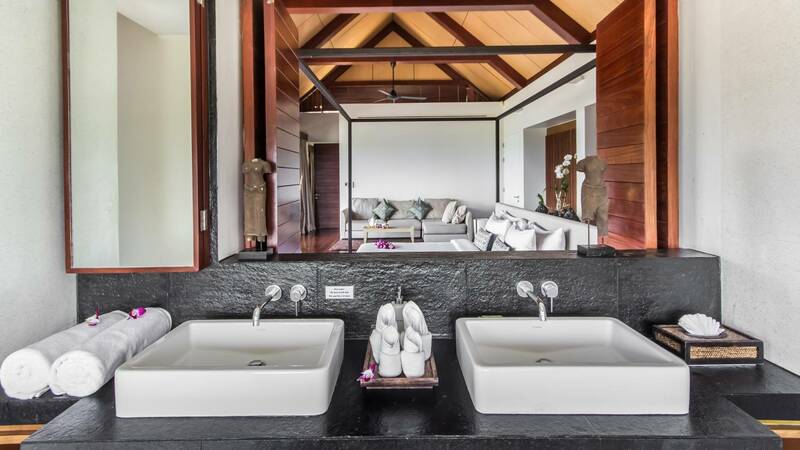 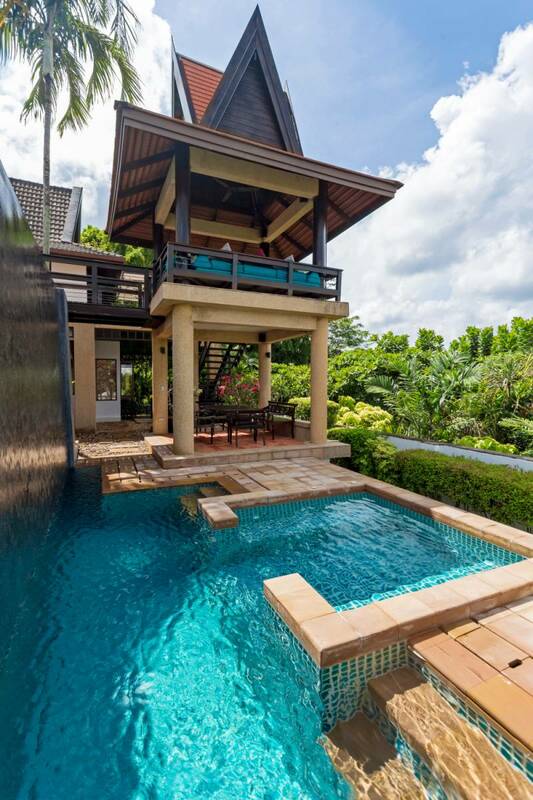 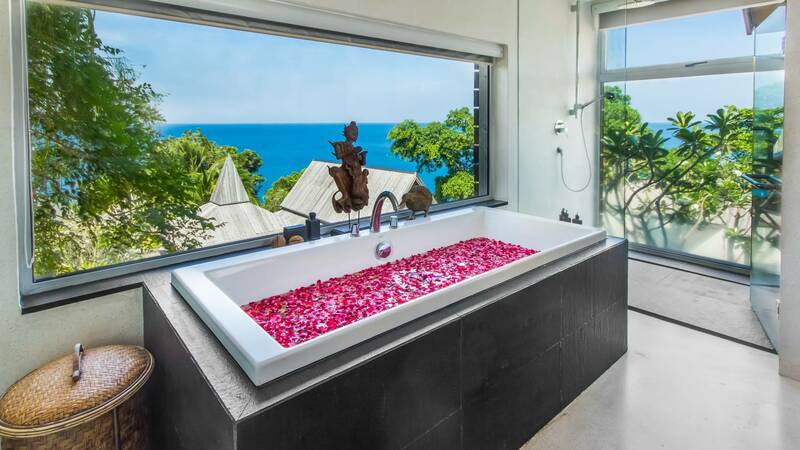 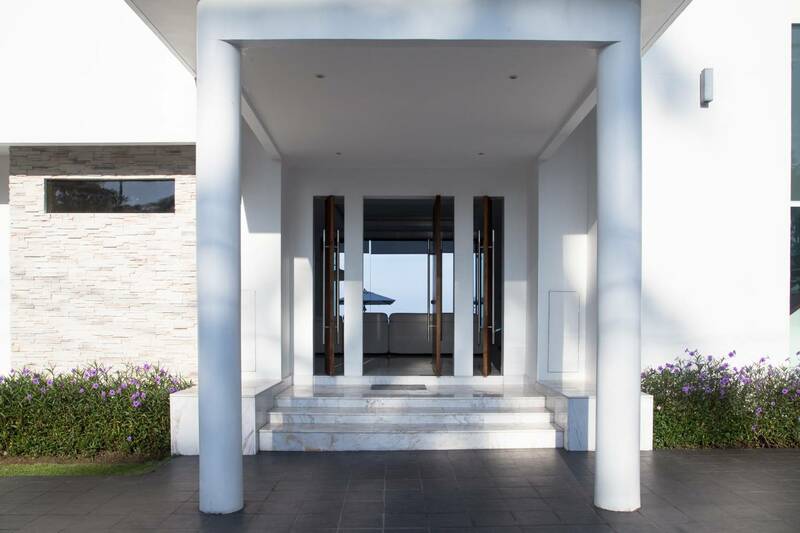 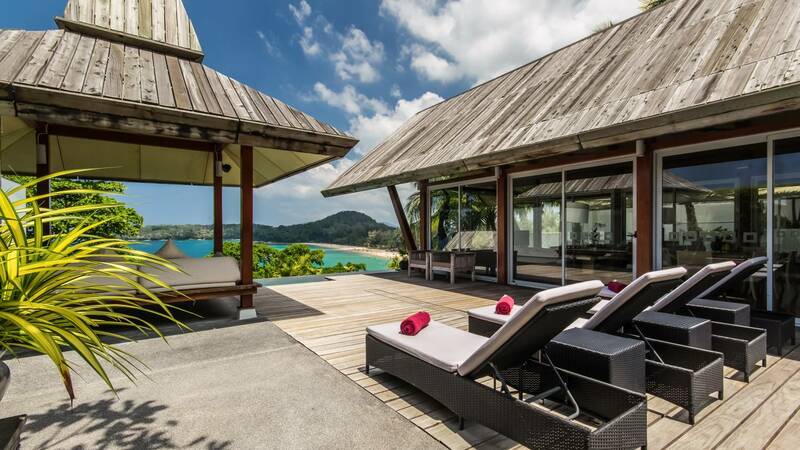 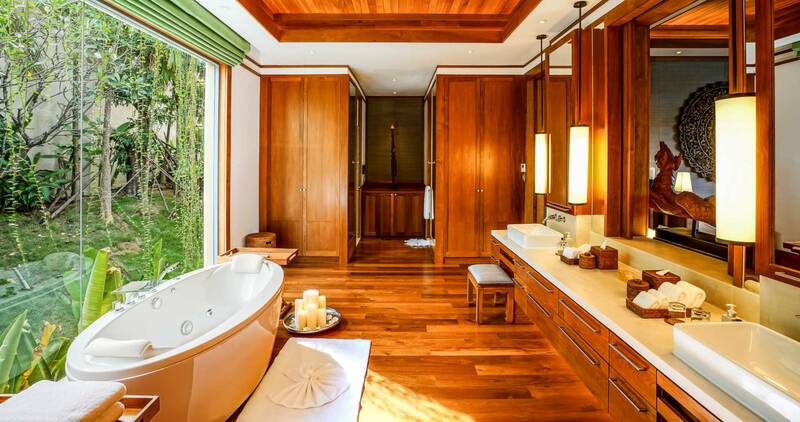 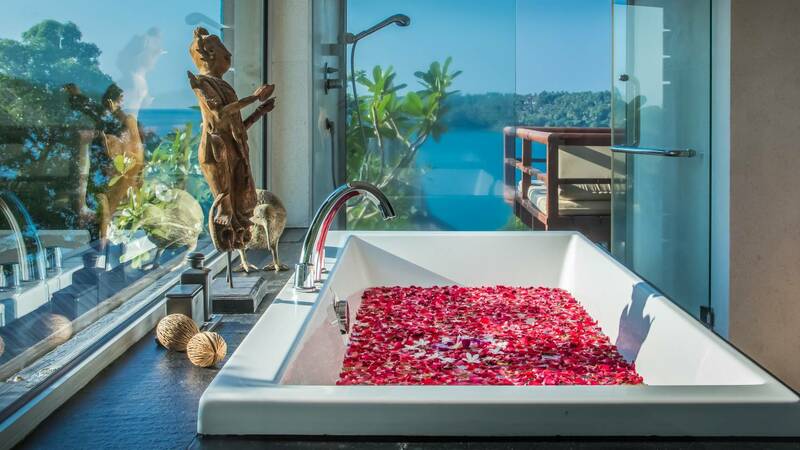 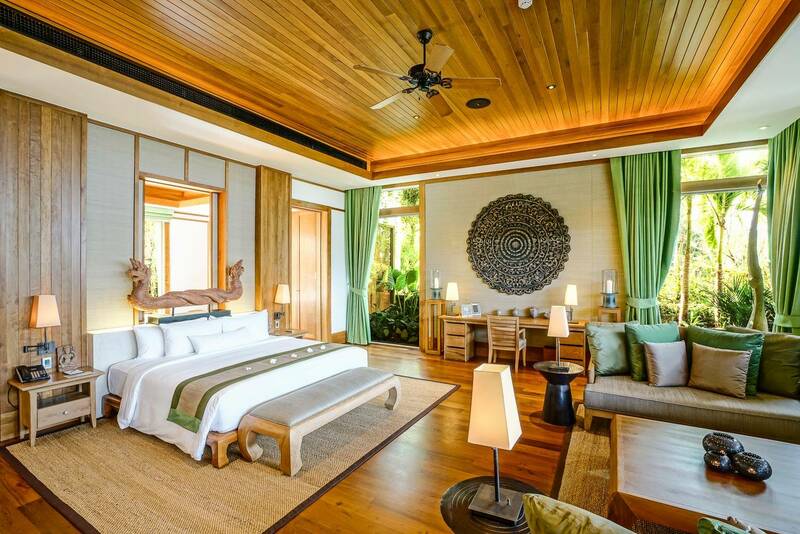 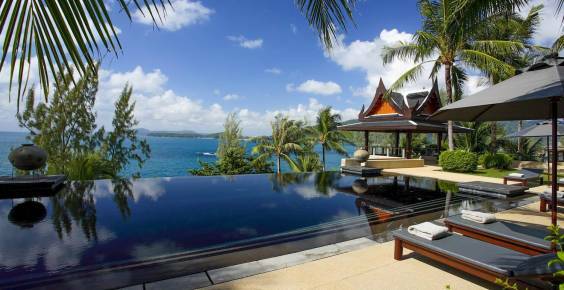 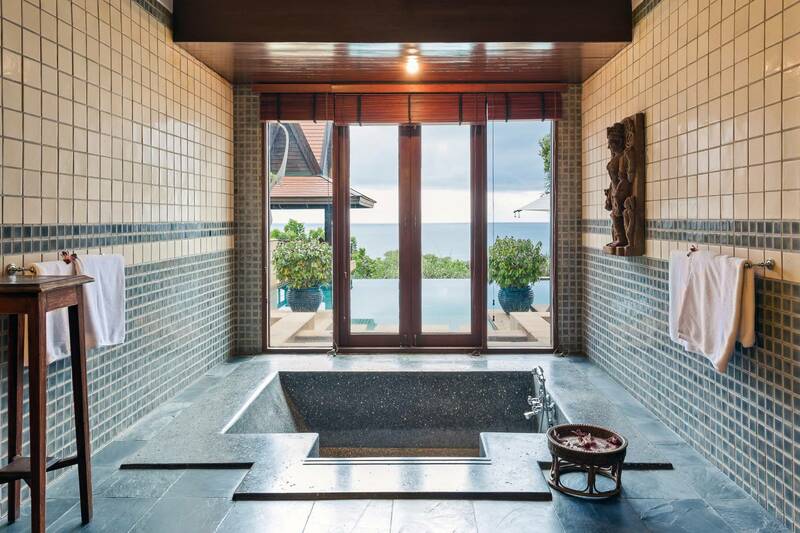 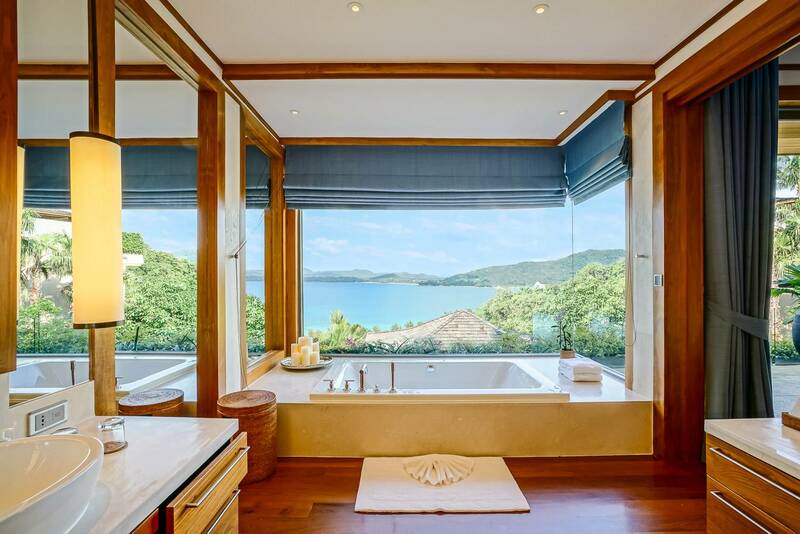 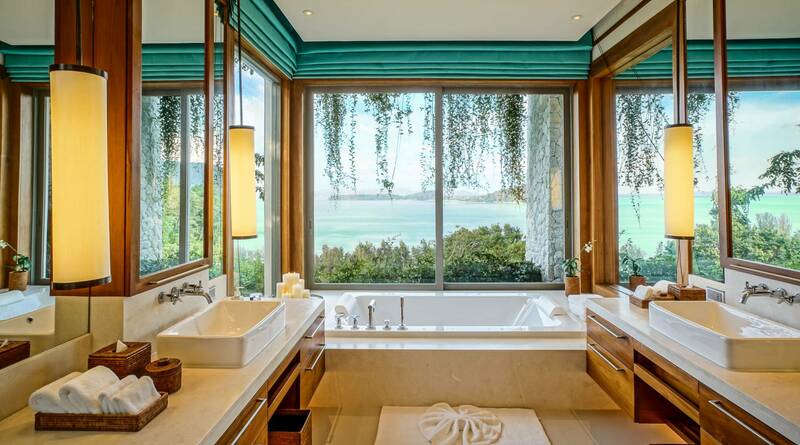 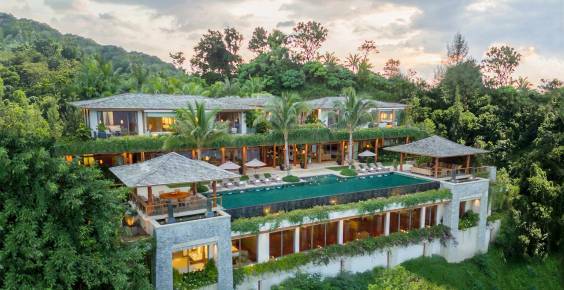 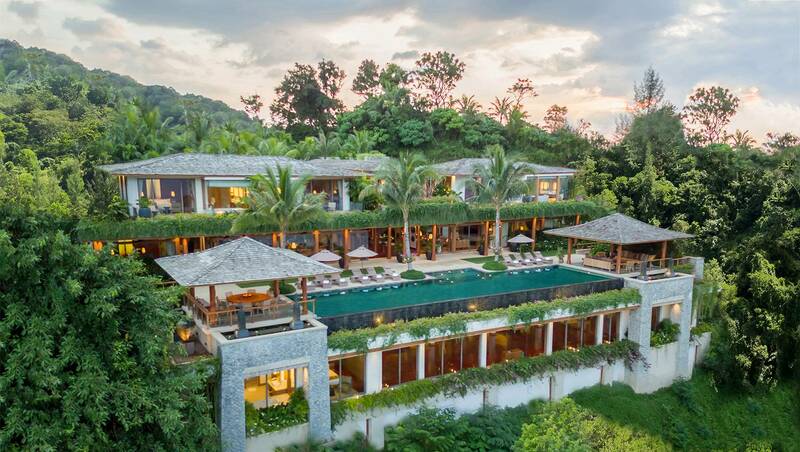 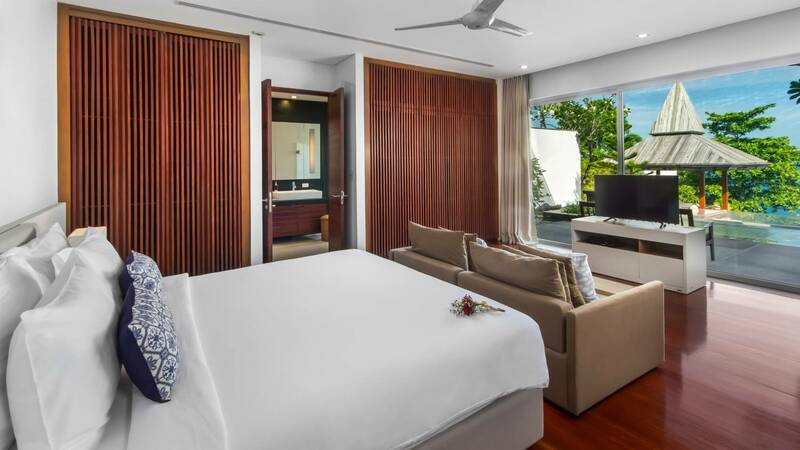 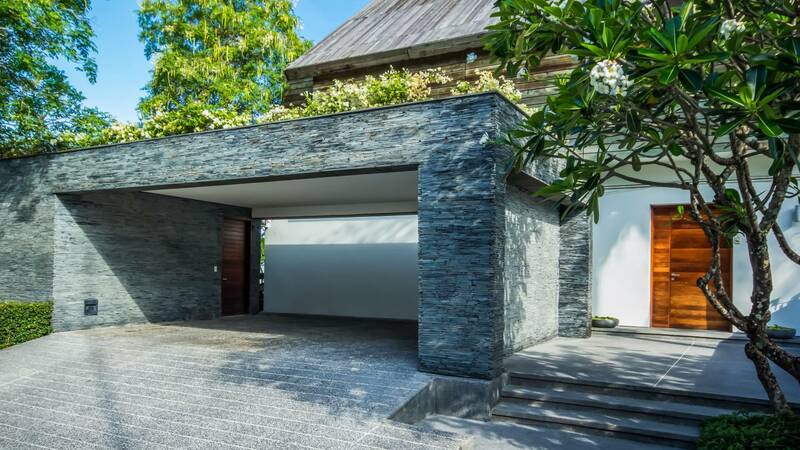 This exquisite new villa is located on the top of a small hill at the southern end of Kata Beach. 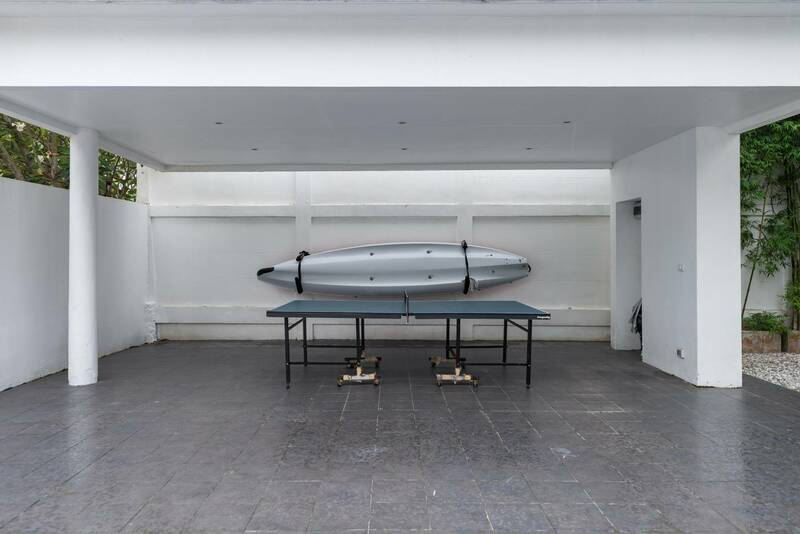 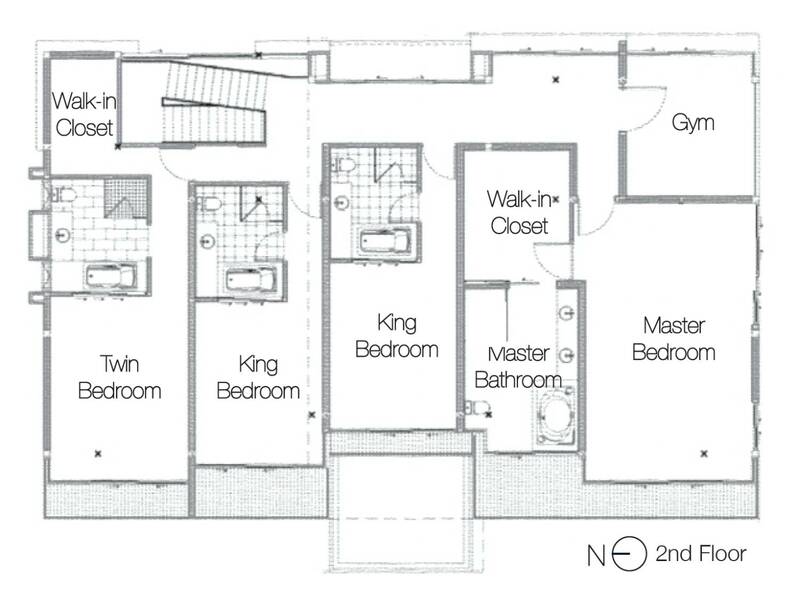 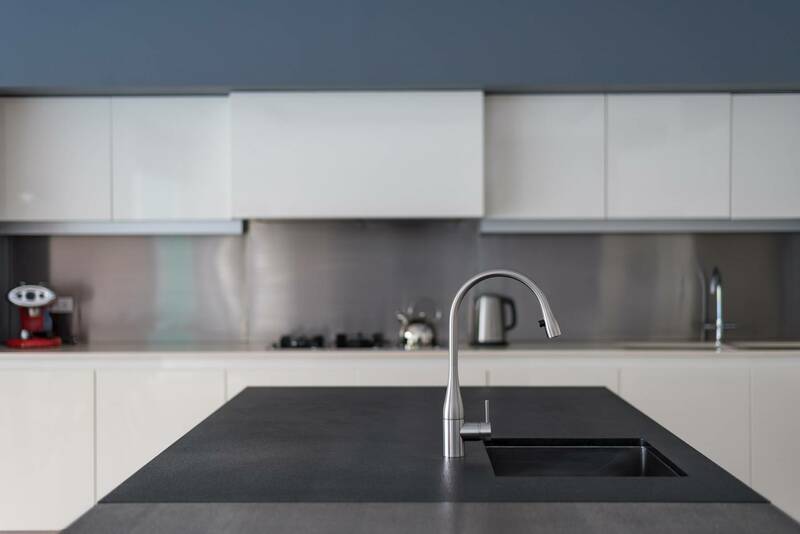 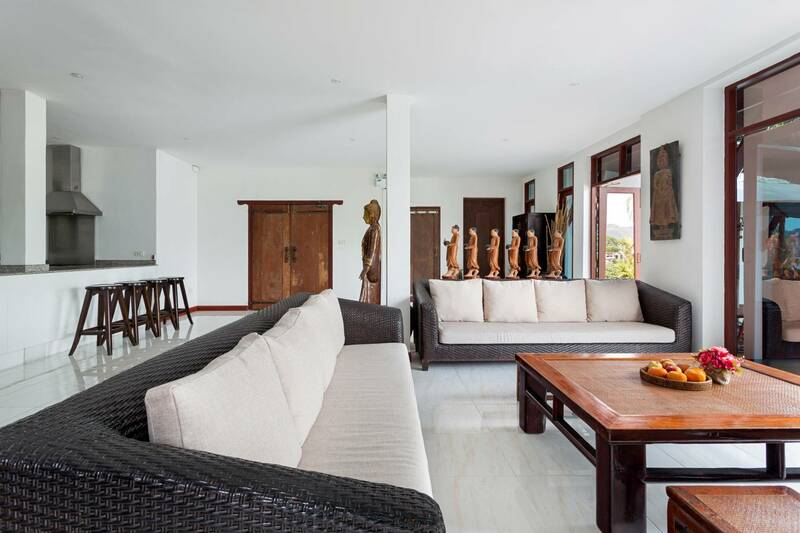 The house is built on two levels and features a distinct set of rooms. 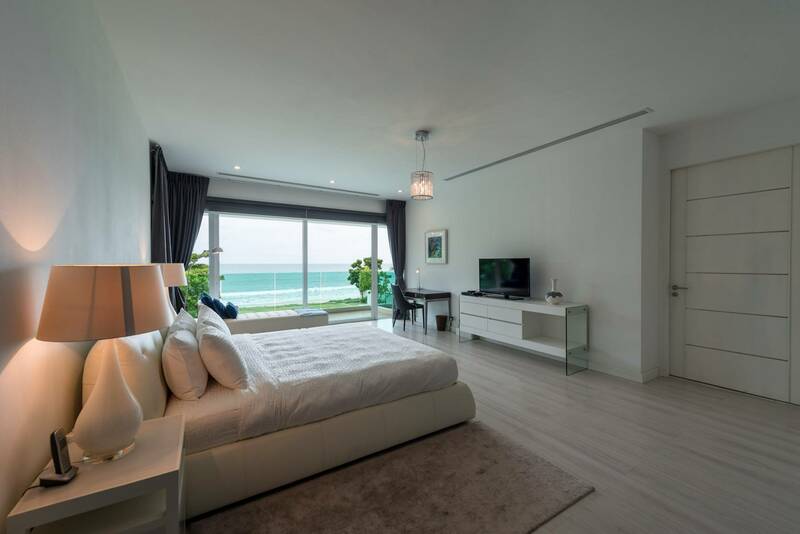 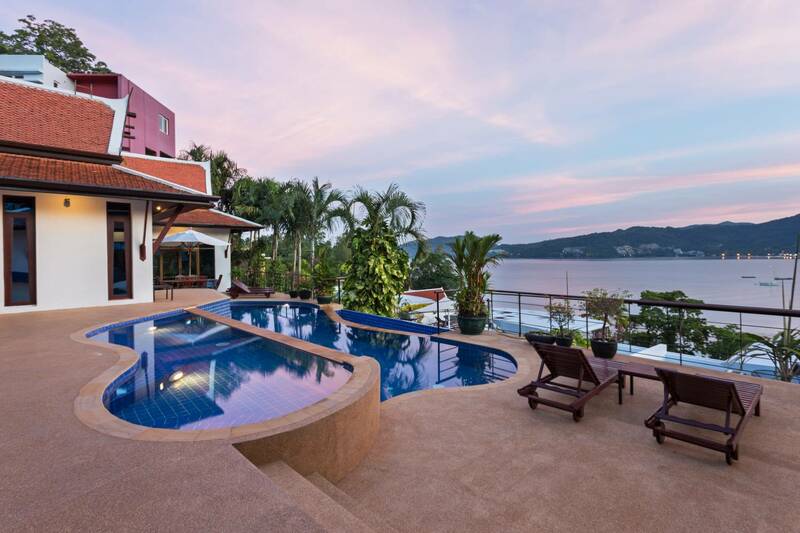 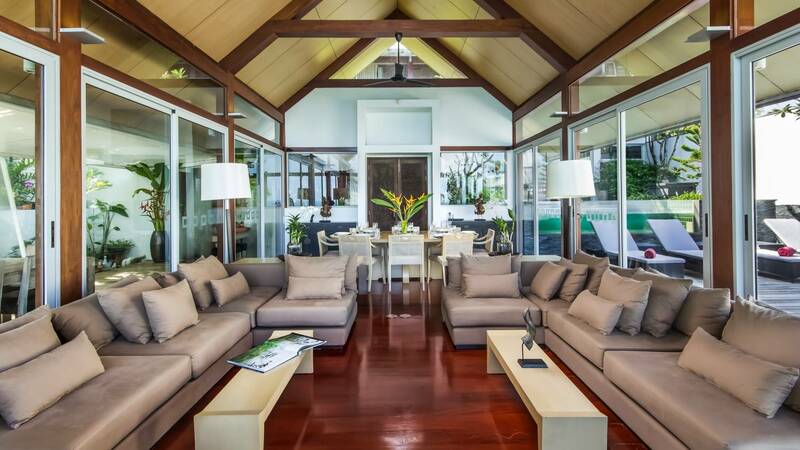 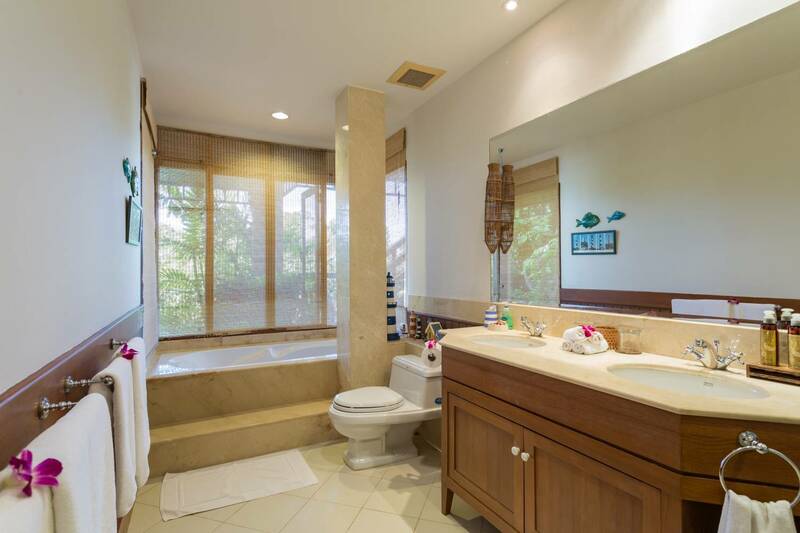 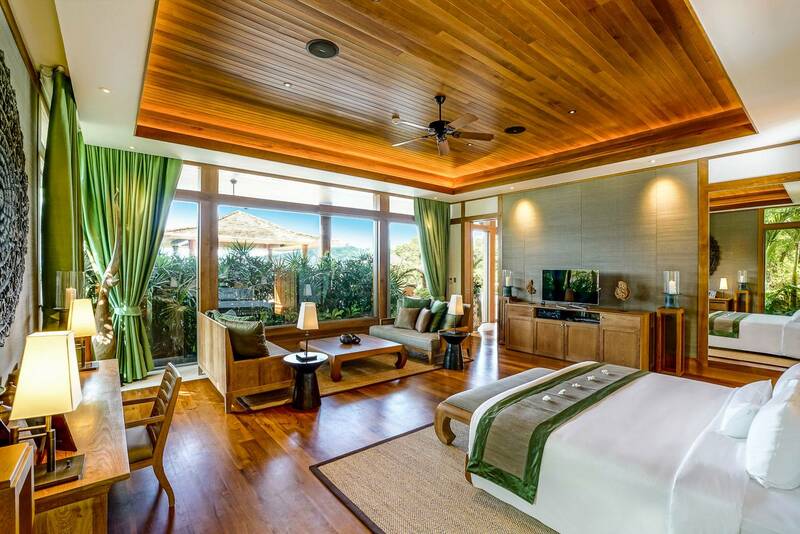 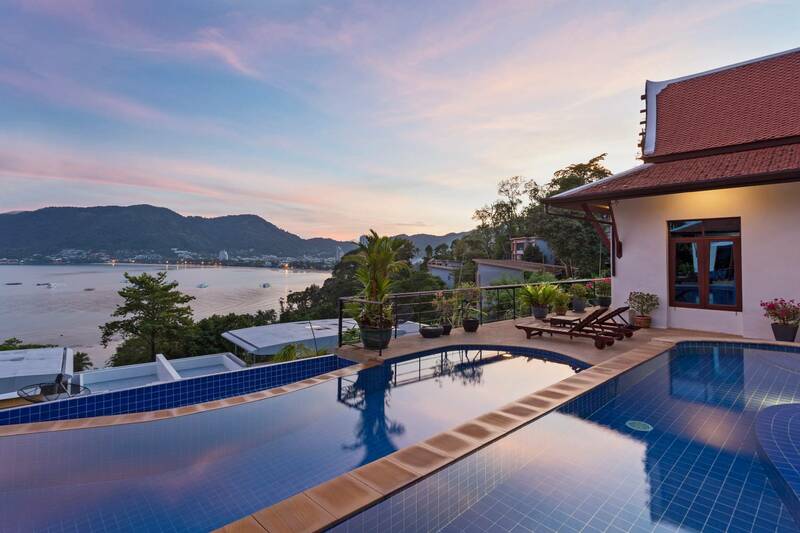 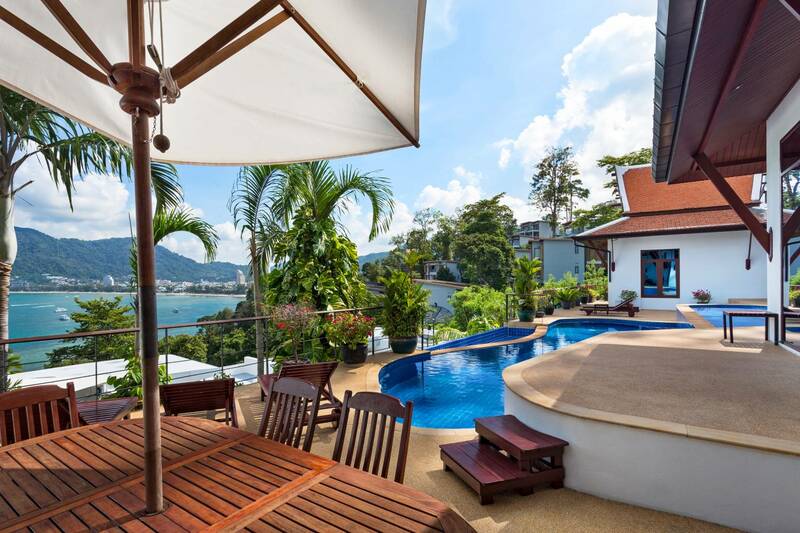 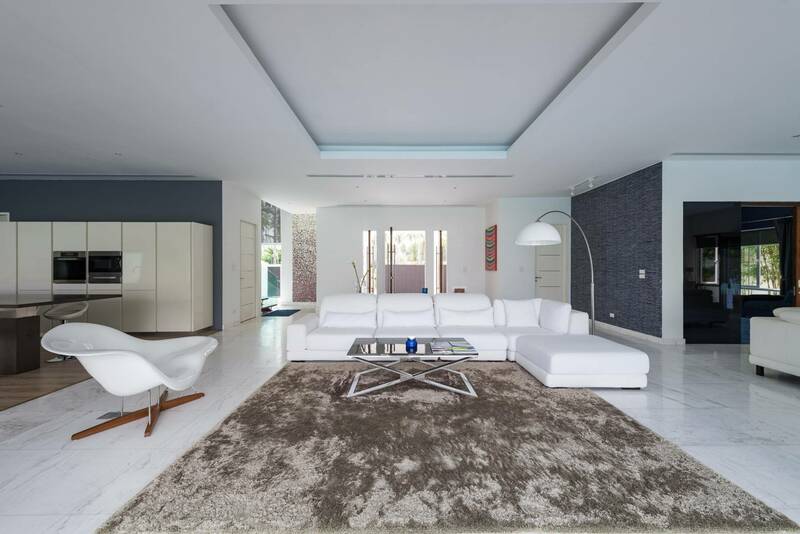 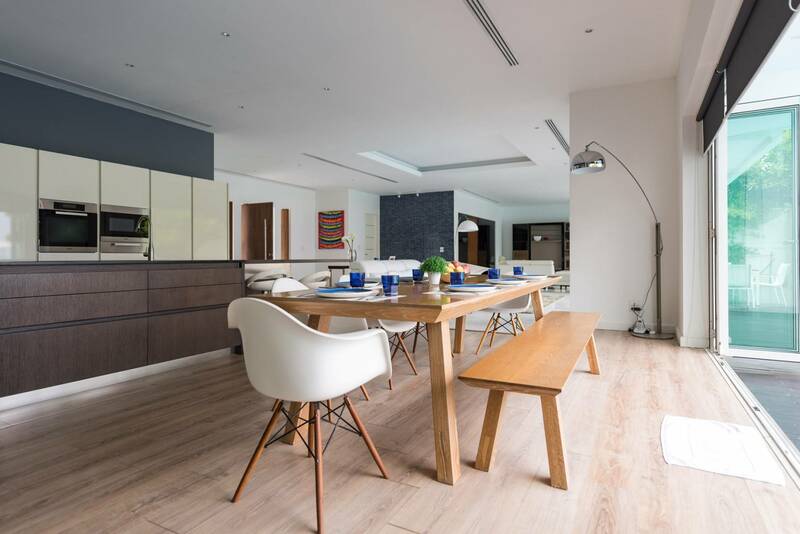 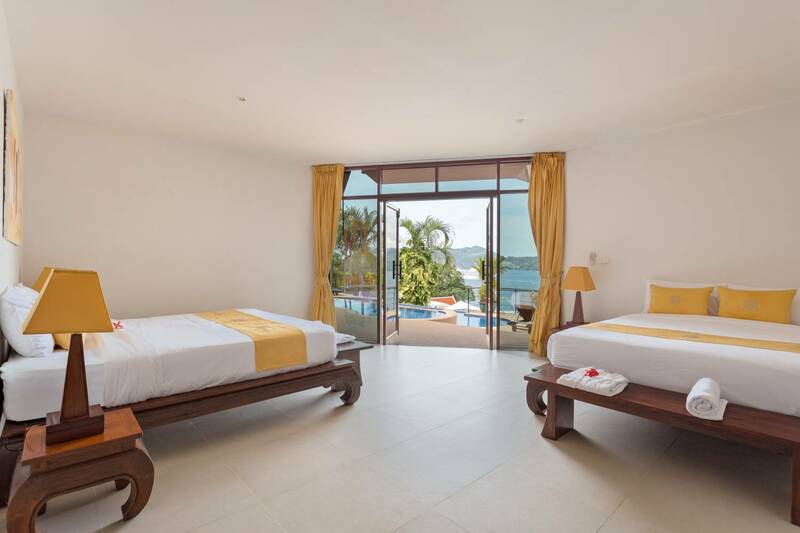 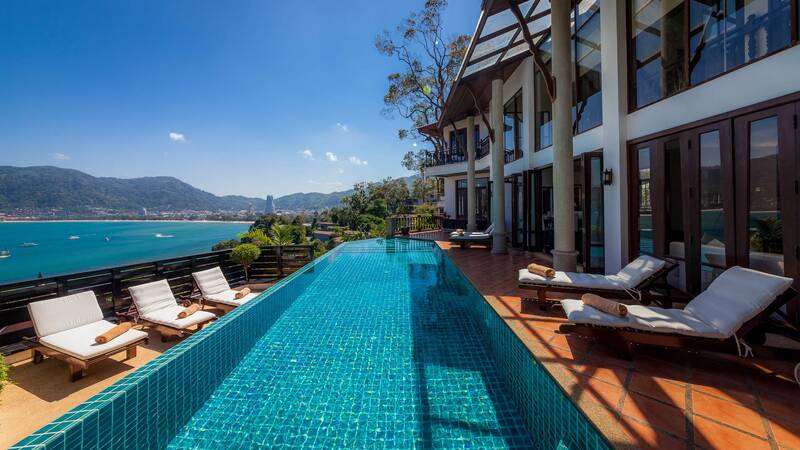 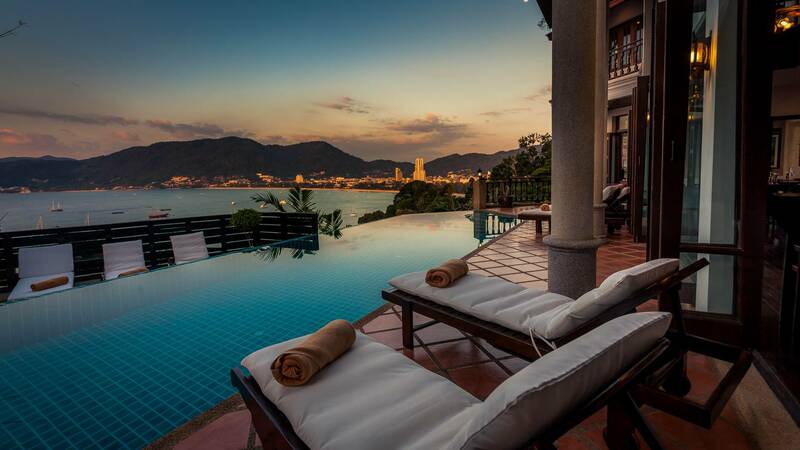 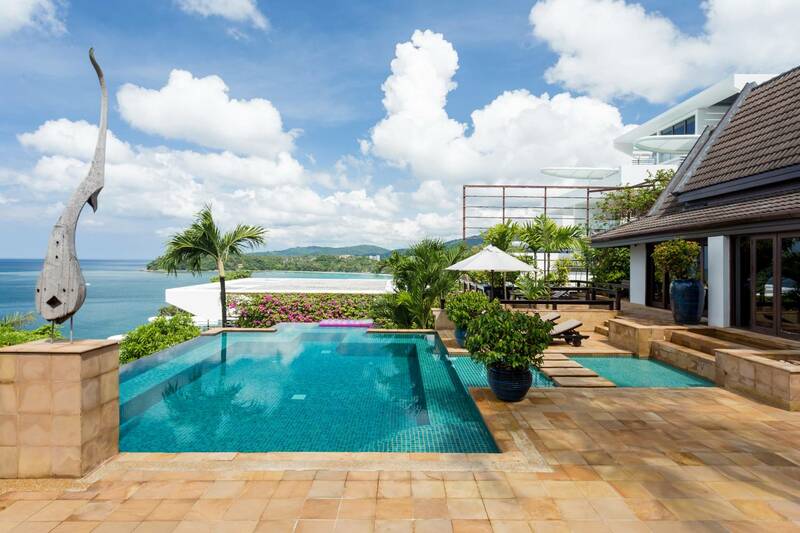 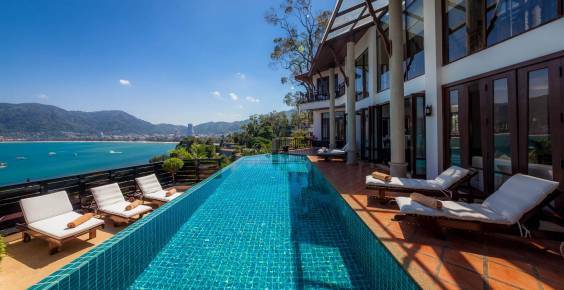 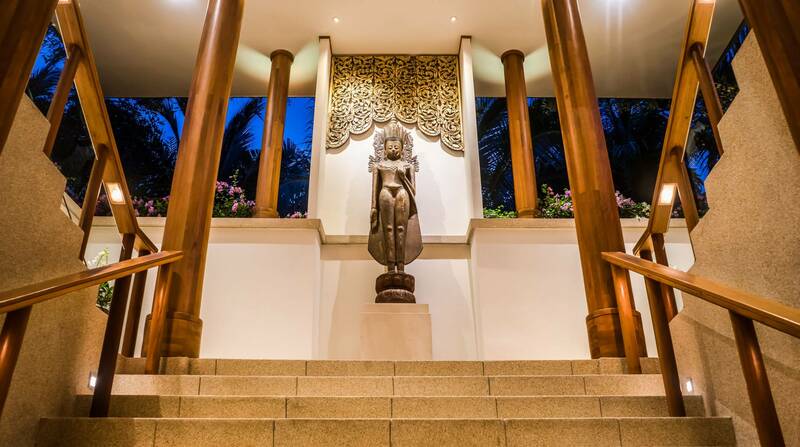 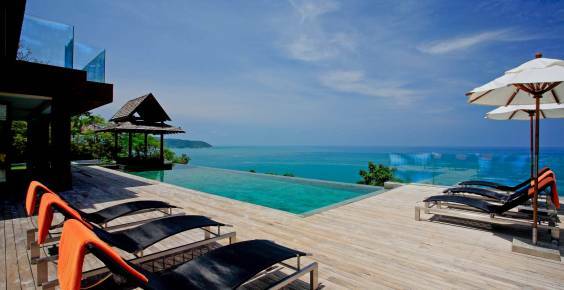 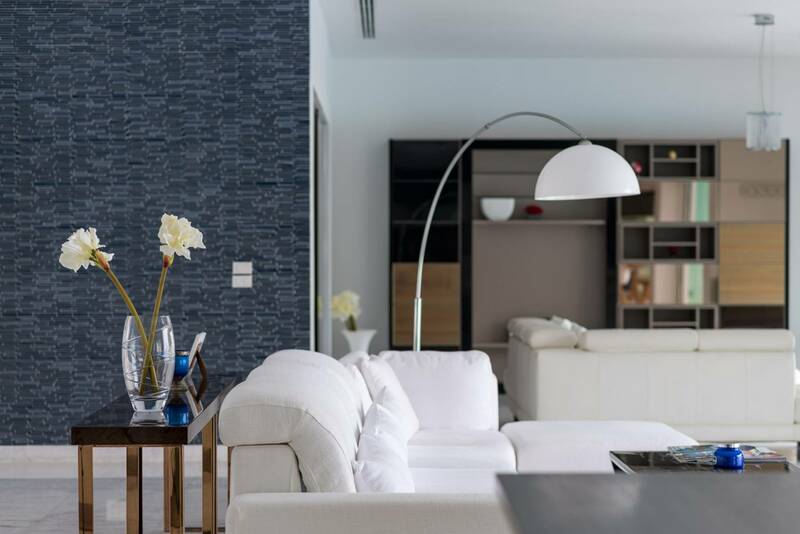 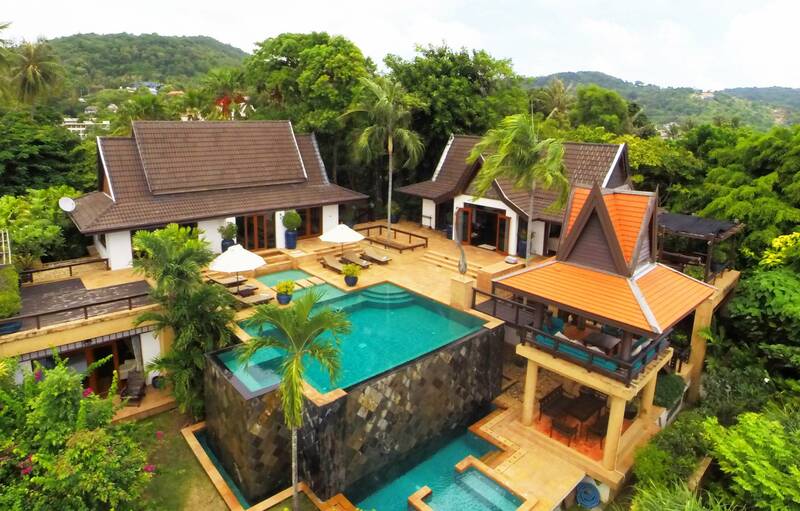 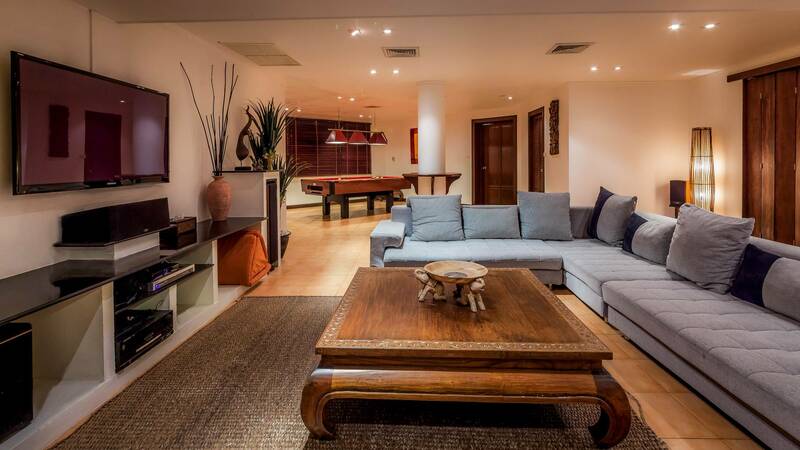 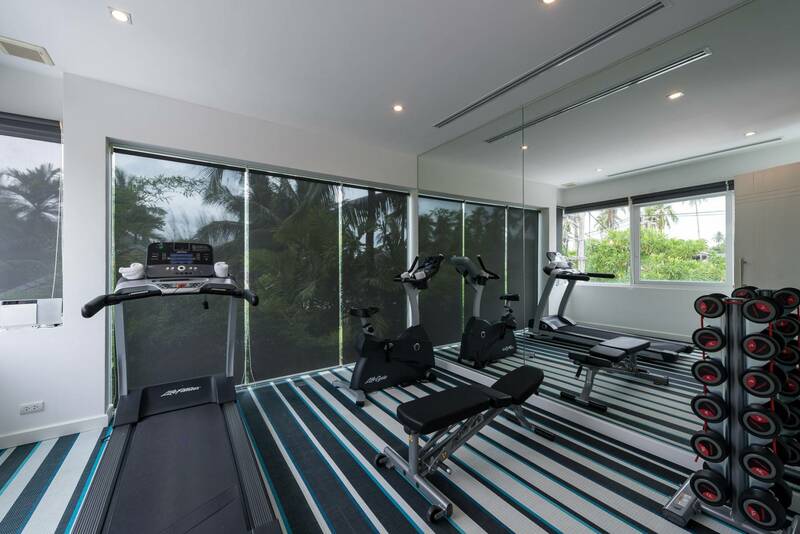 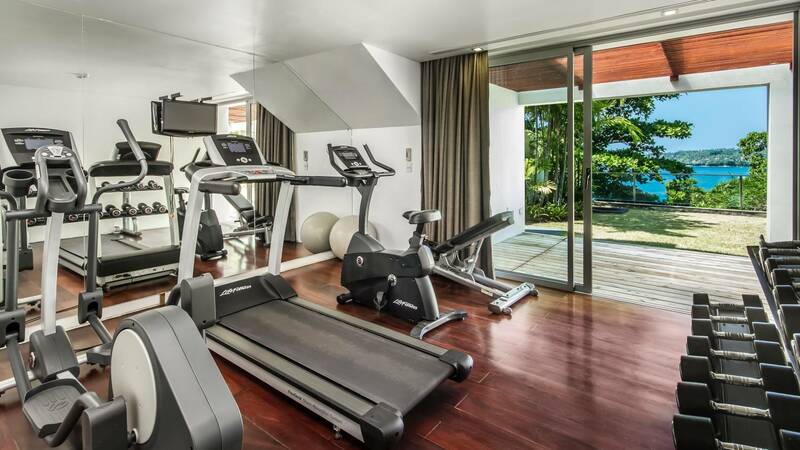 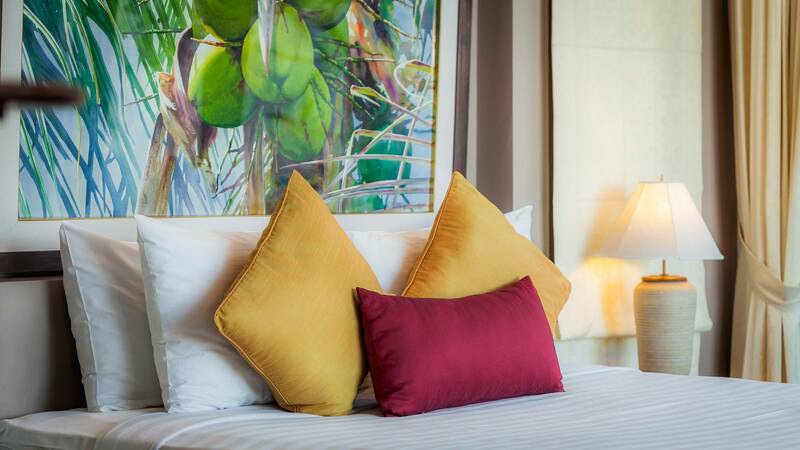 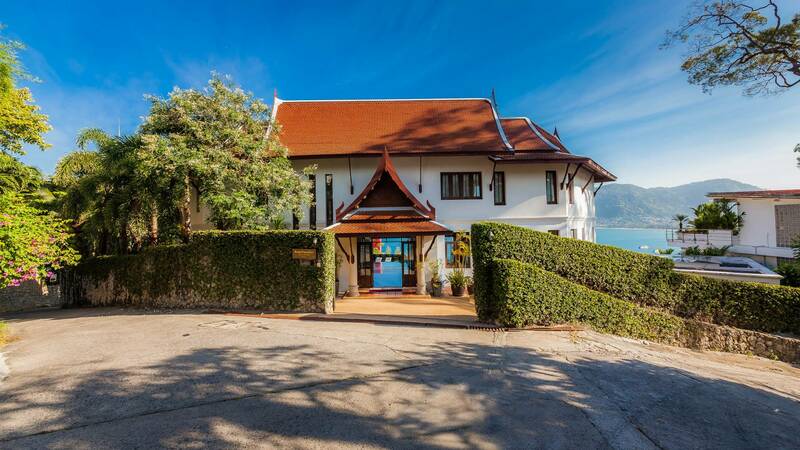 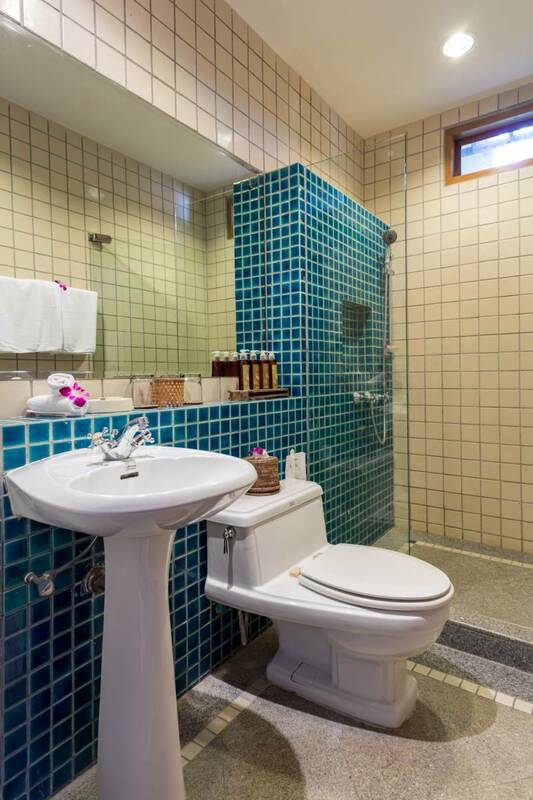 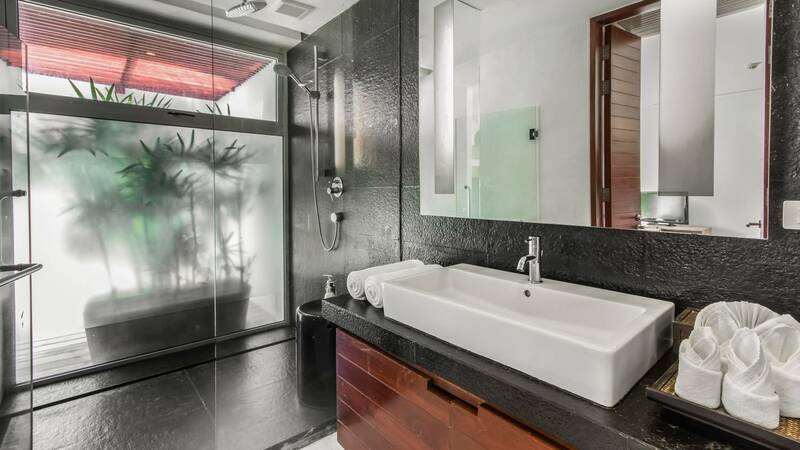 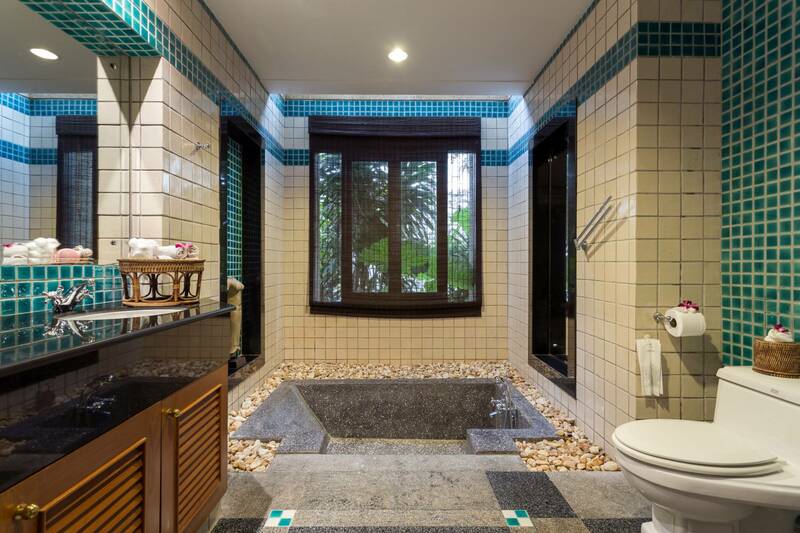 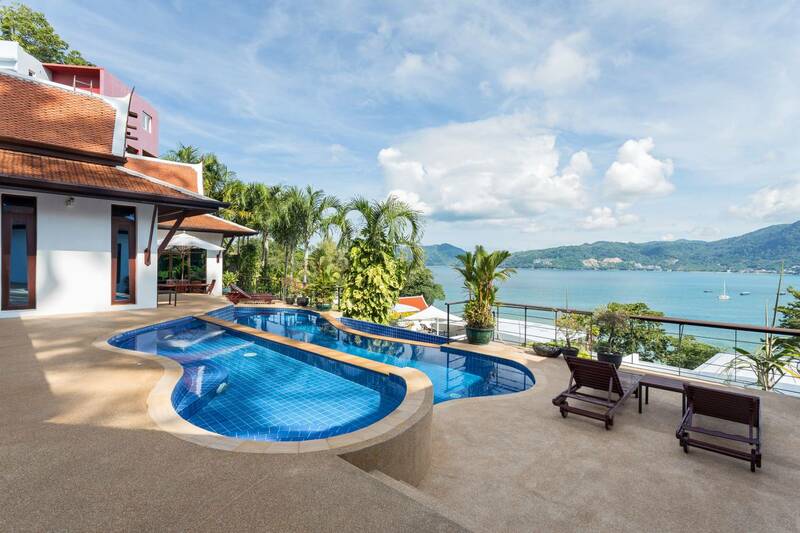 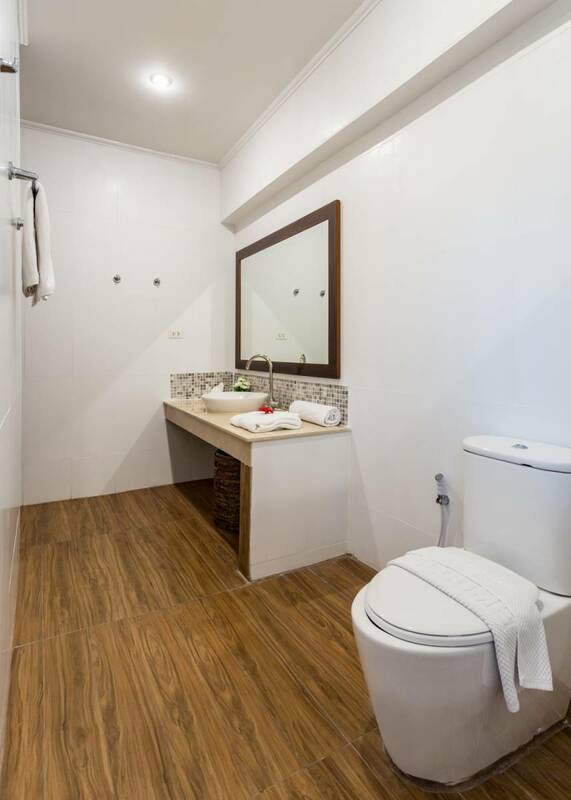 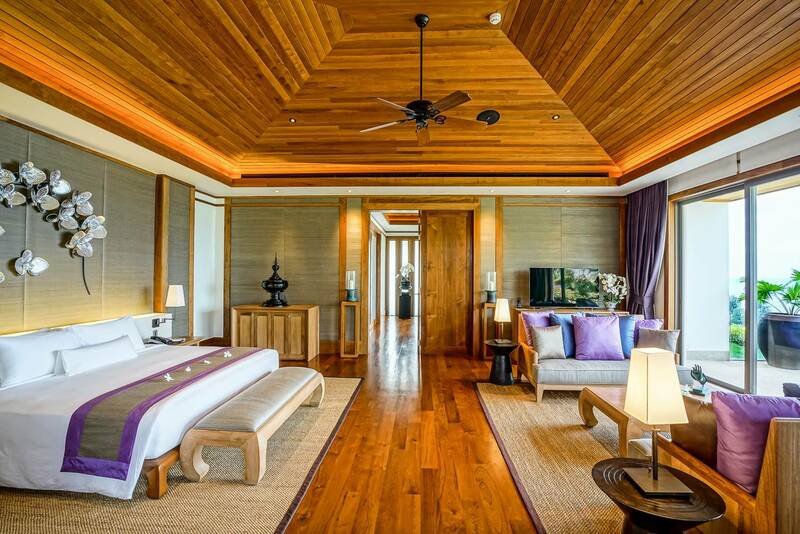 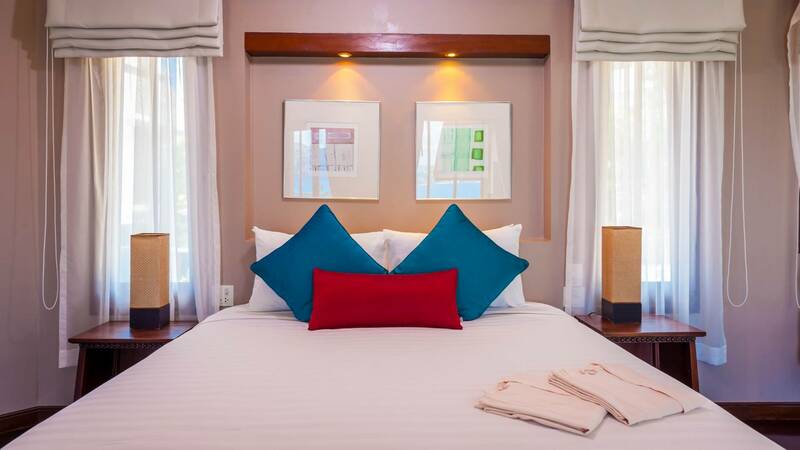 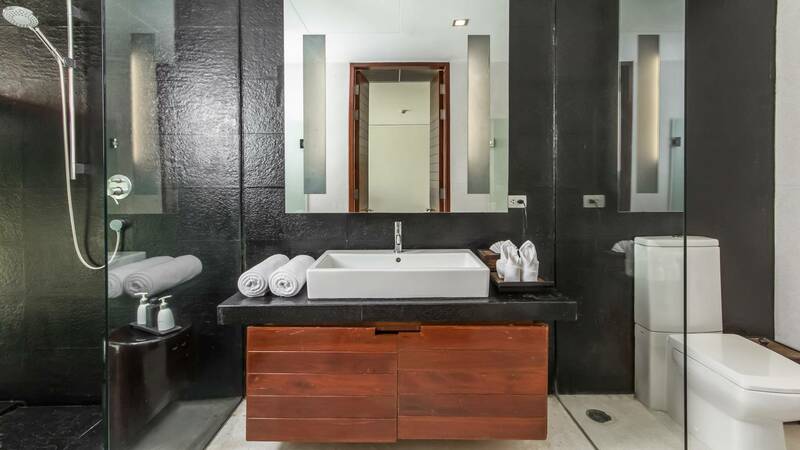 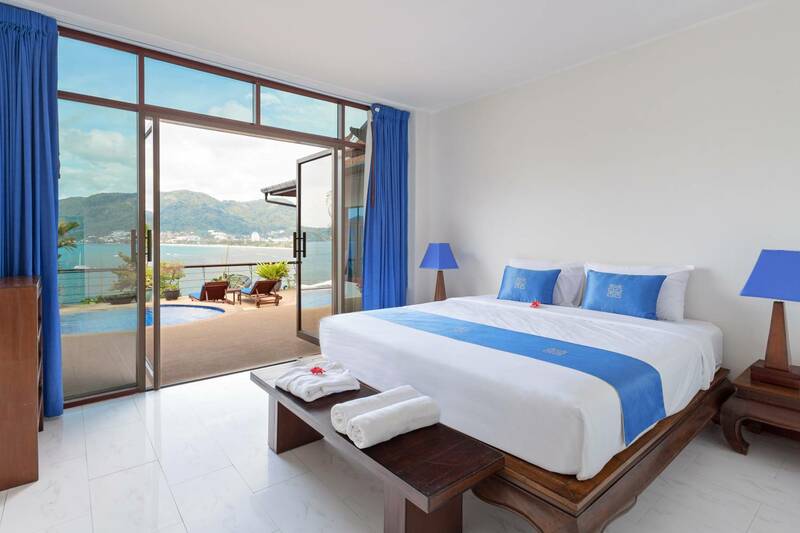 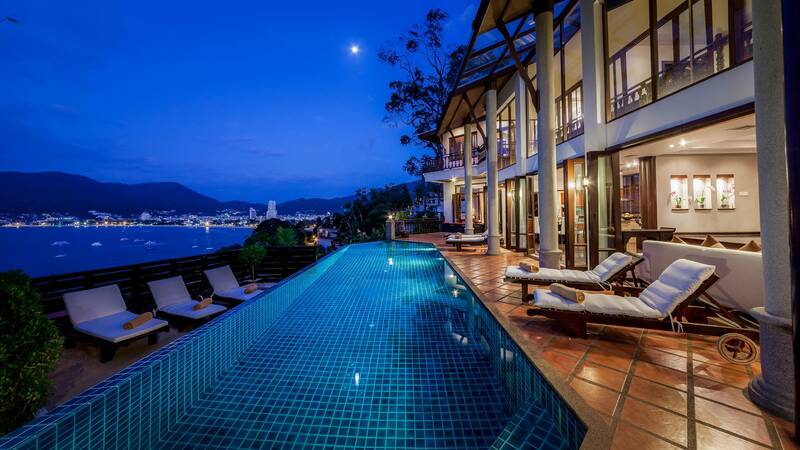 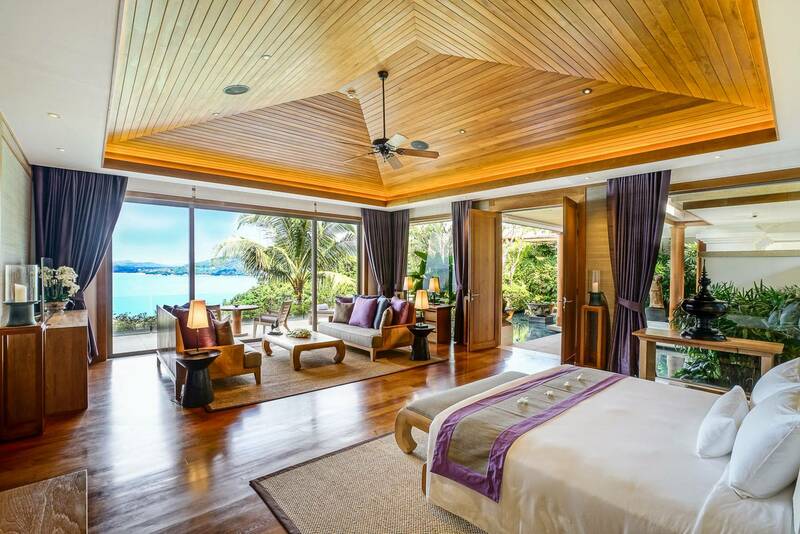 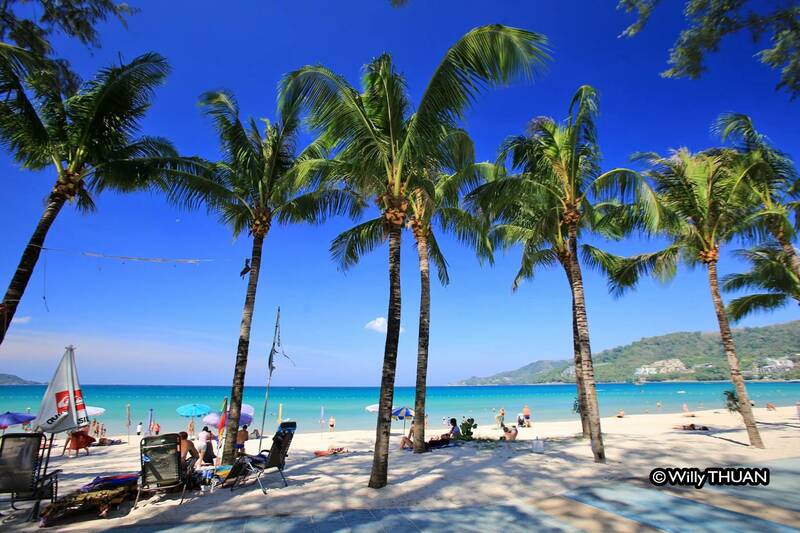 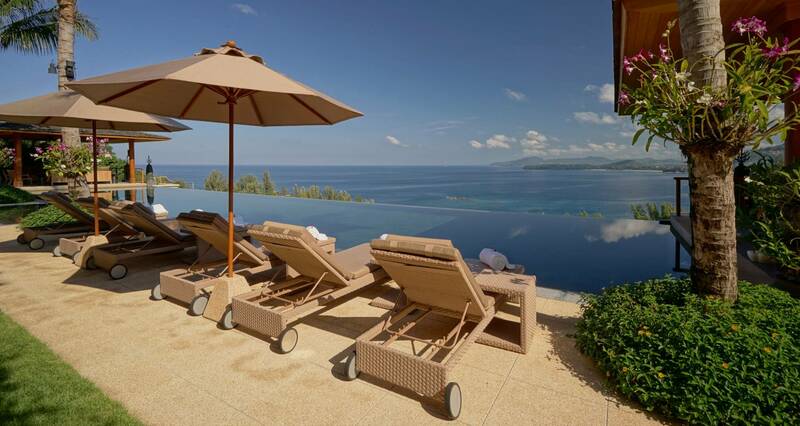 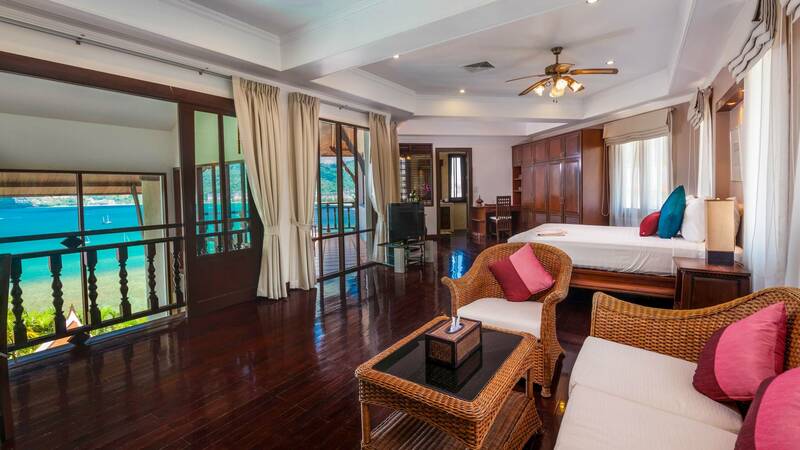 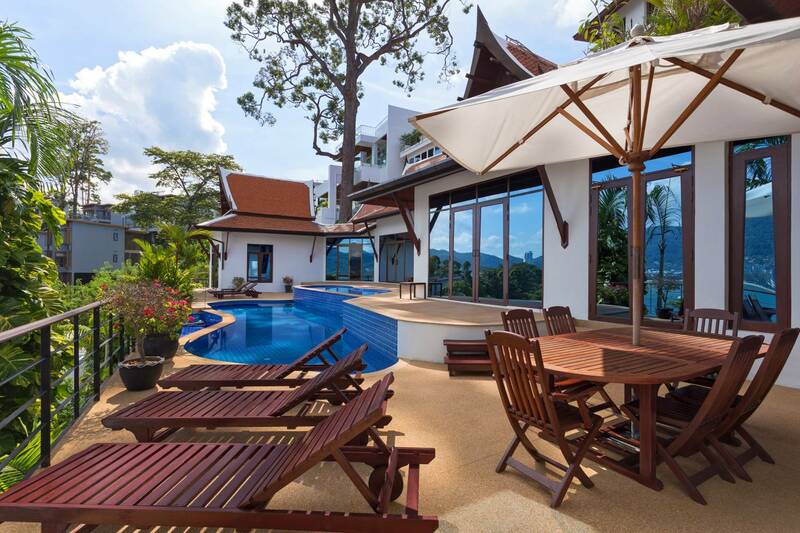 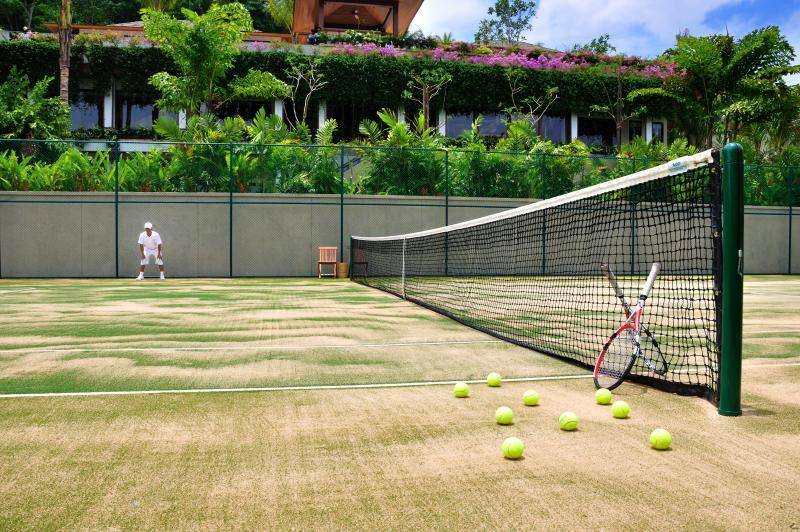 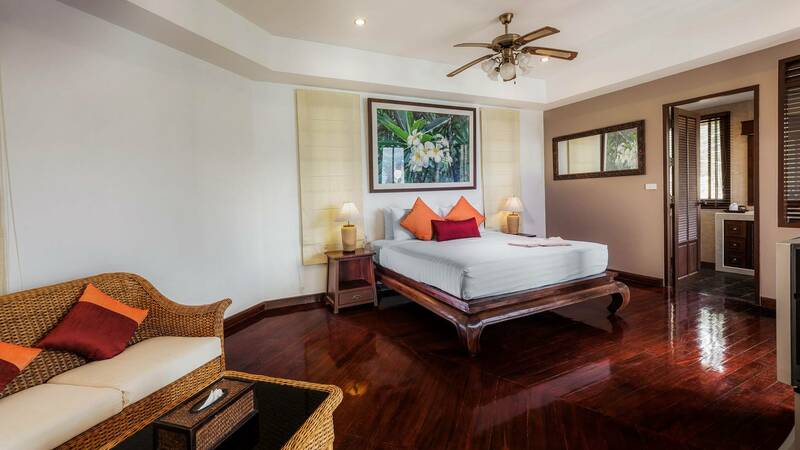 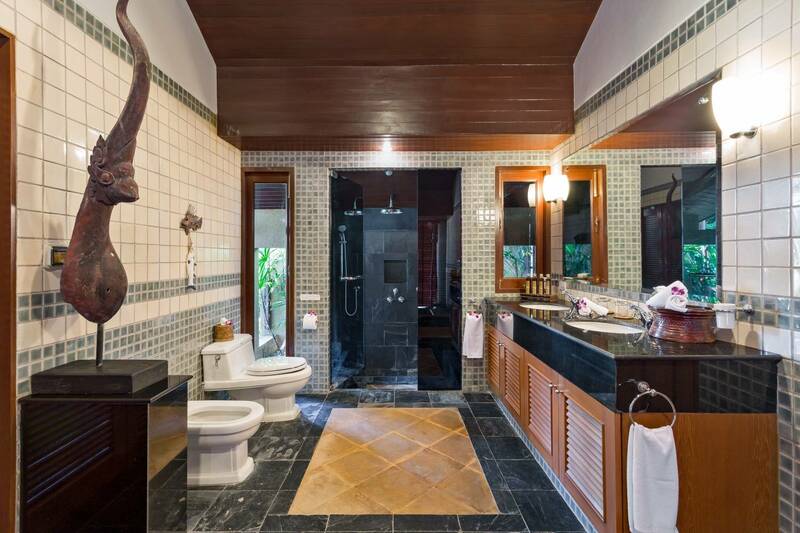 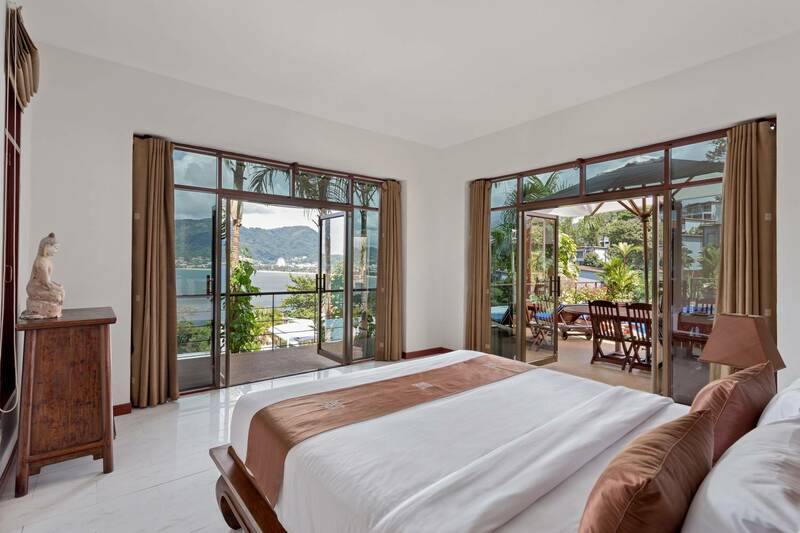 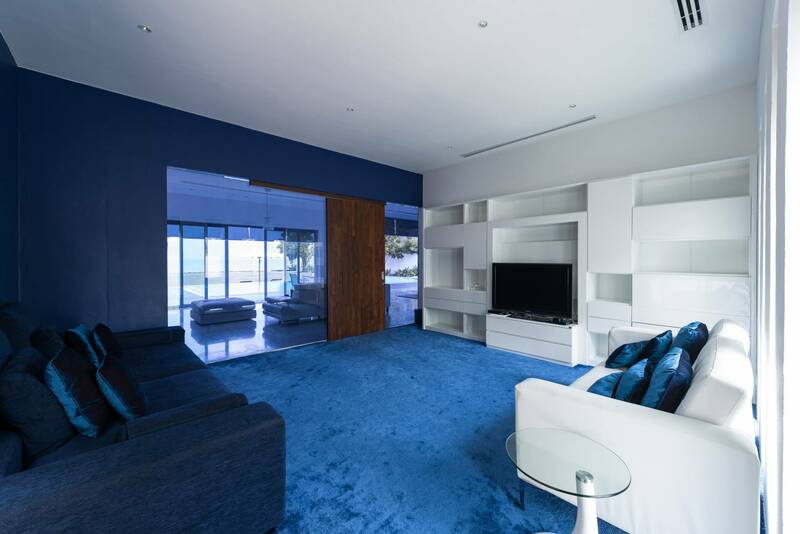 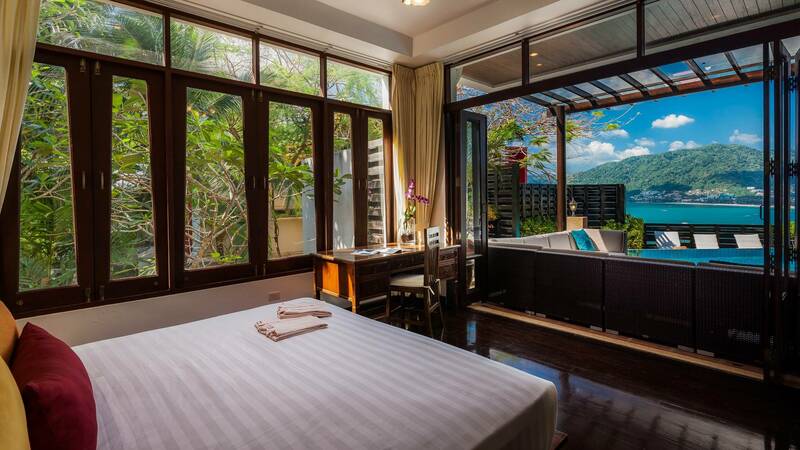 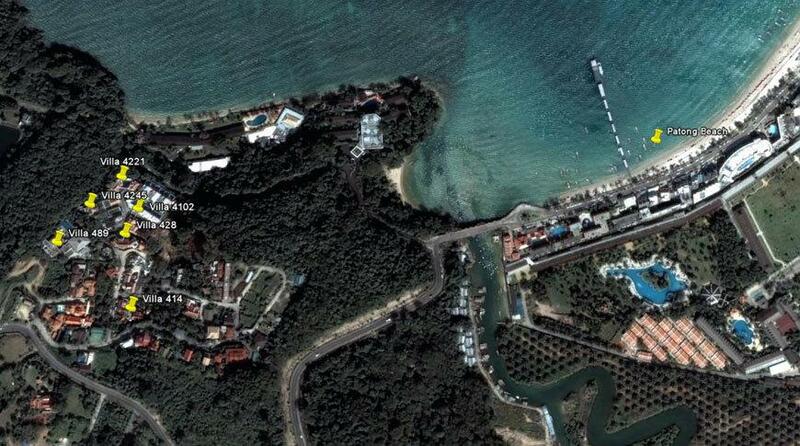 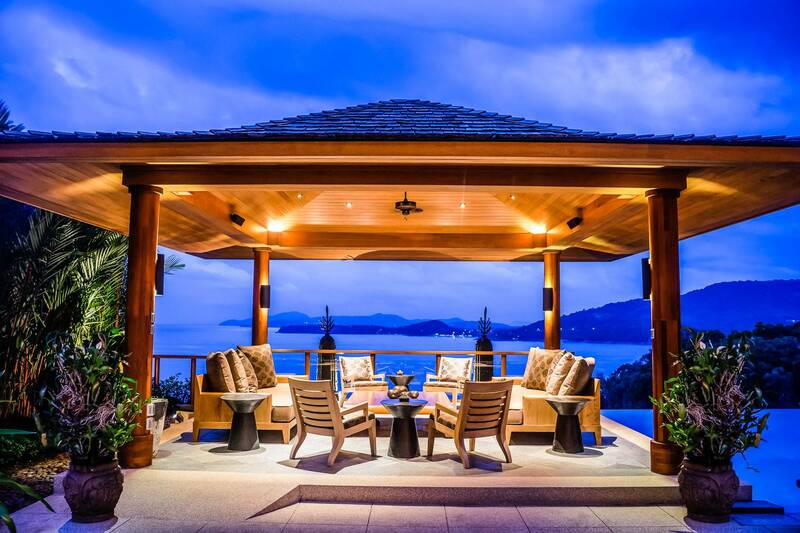 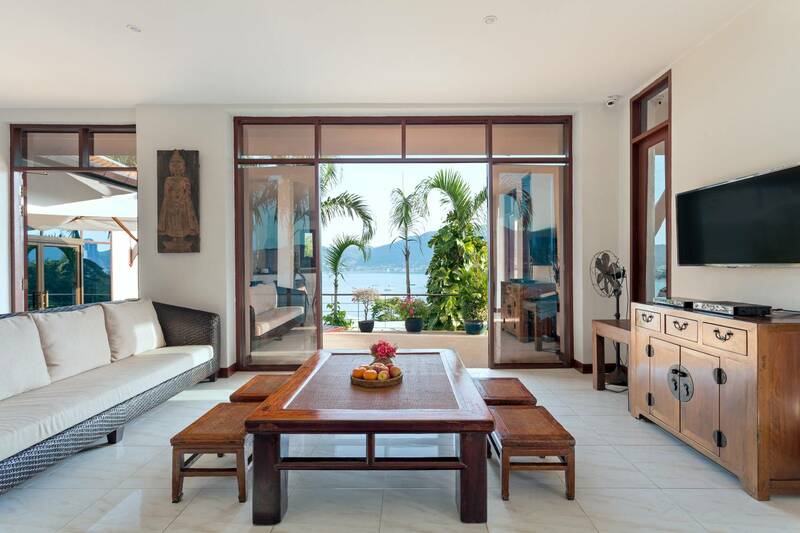 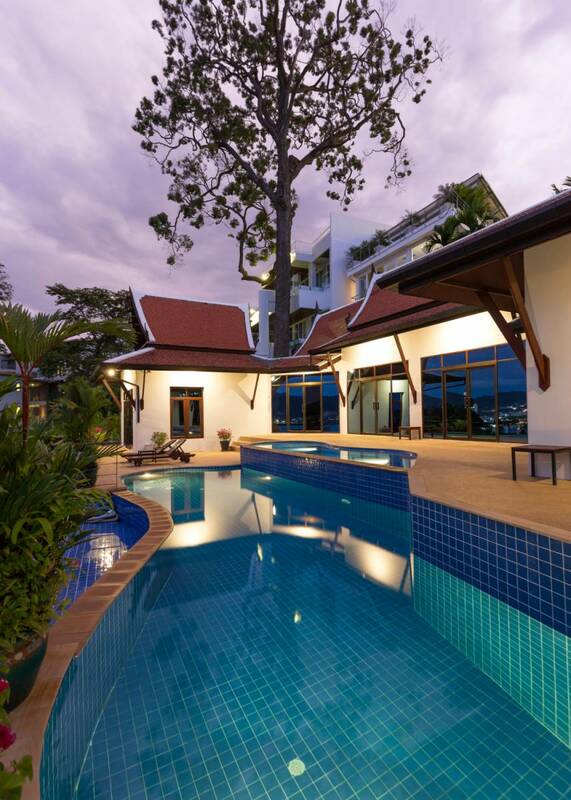 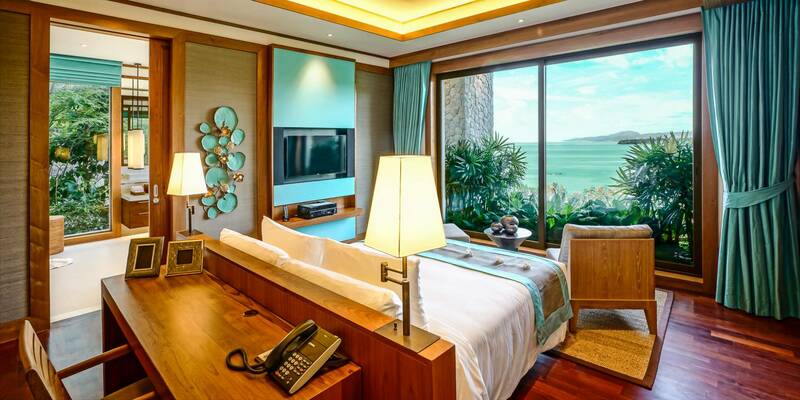 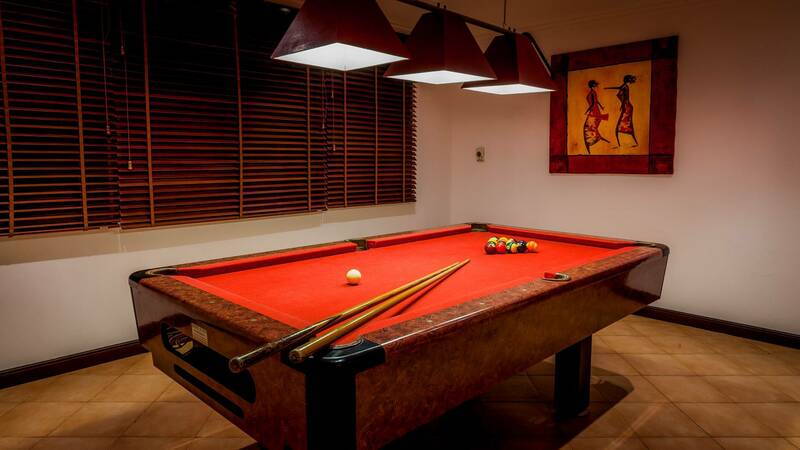 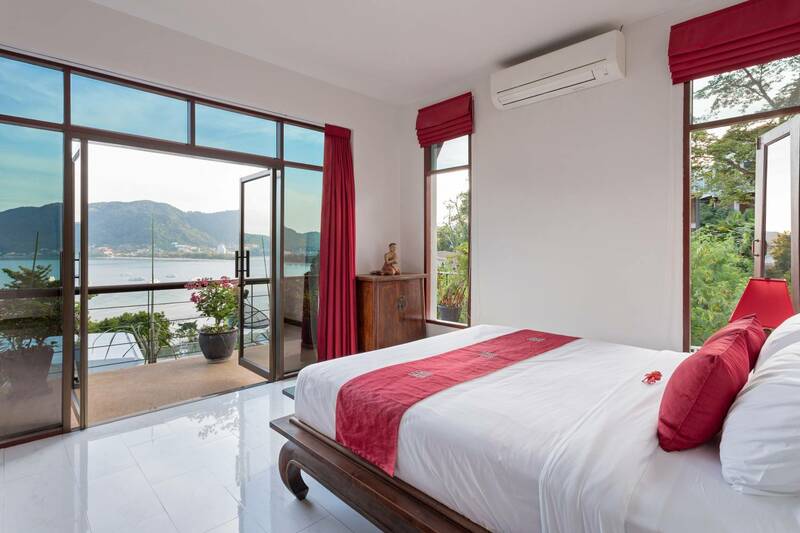 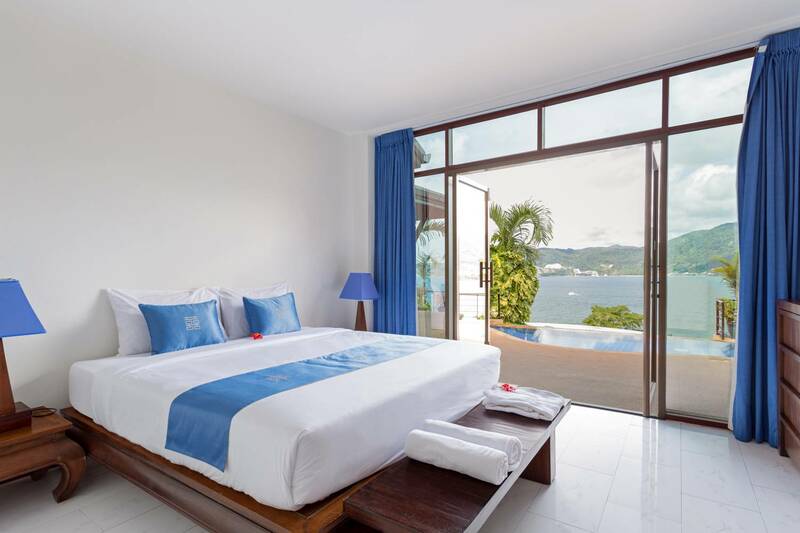 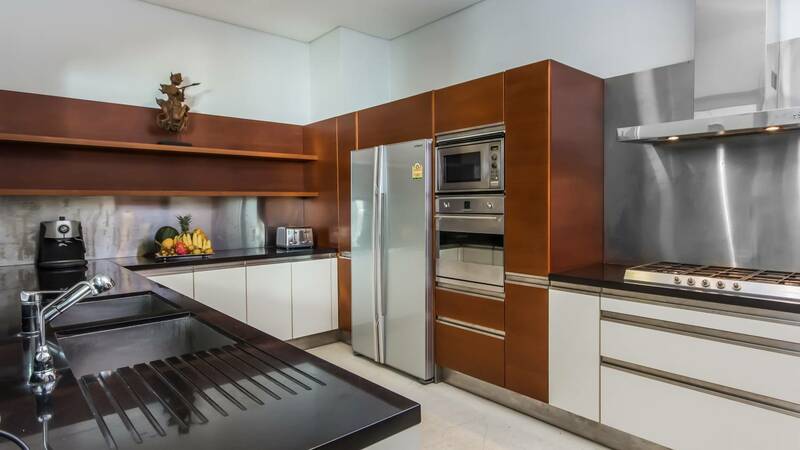 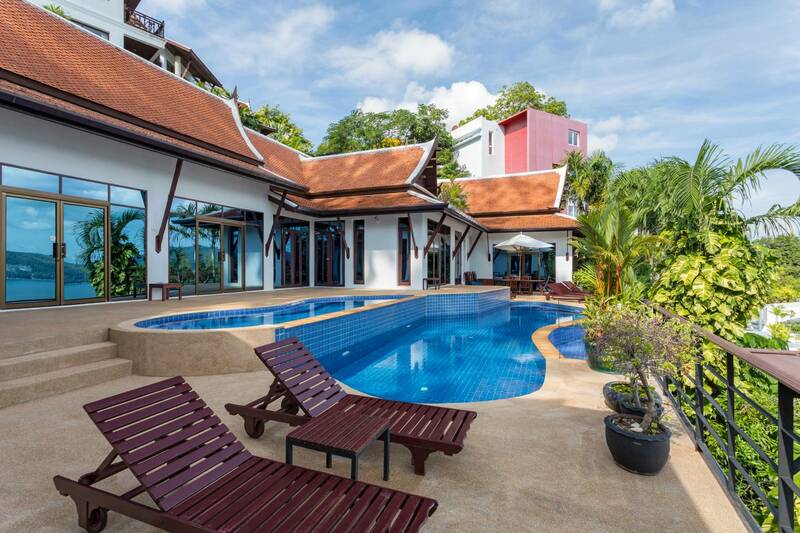 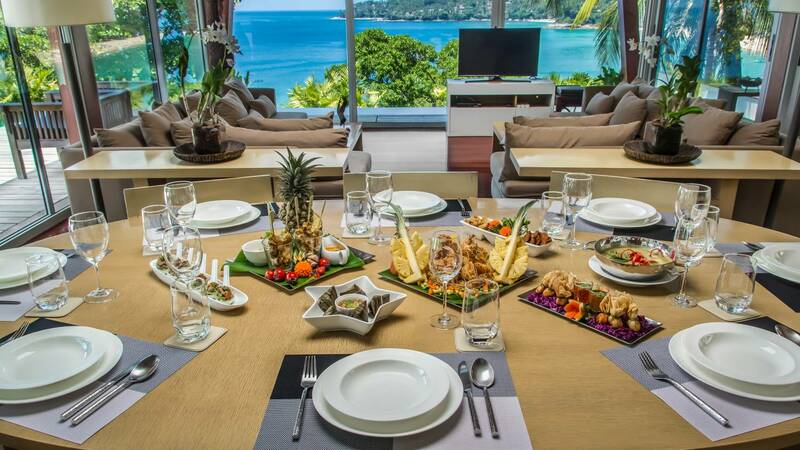 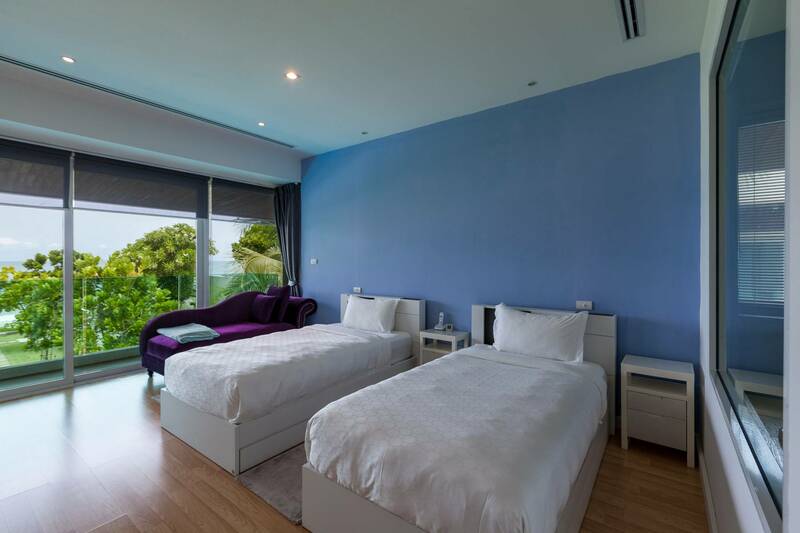 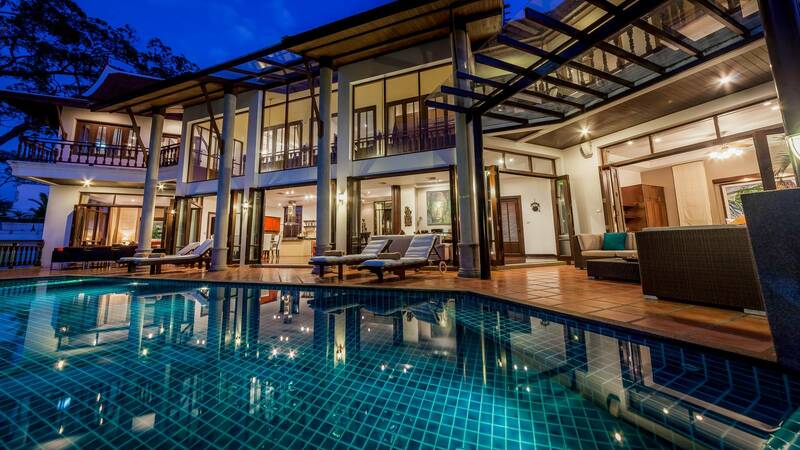 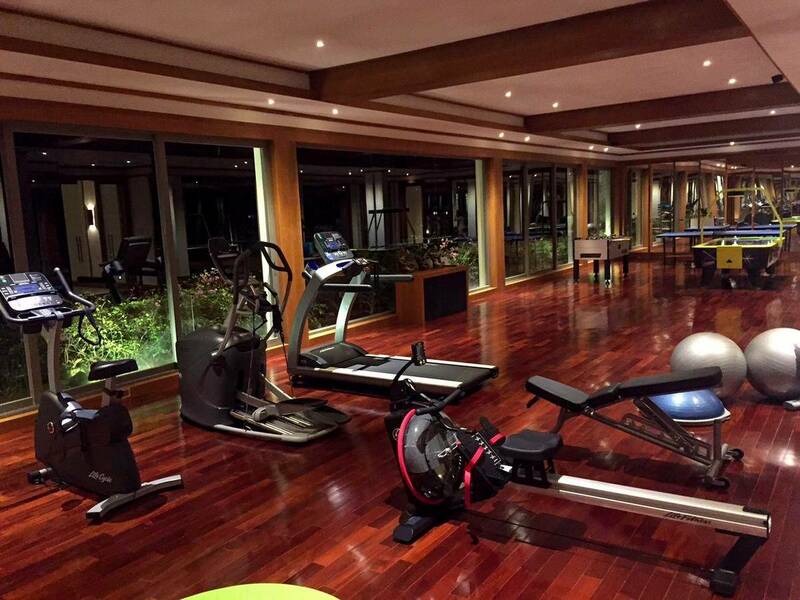 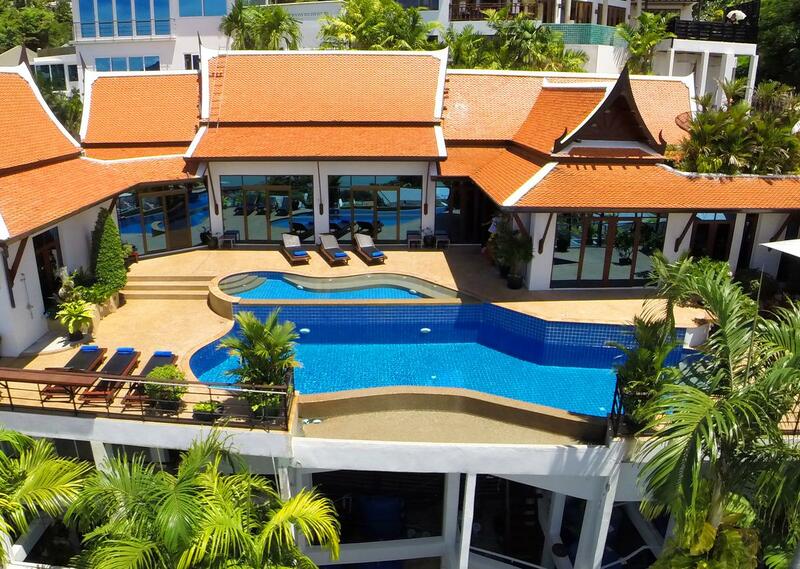 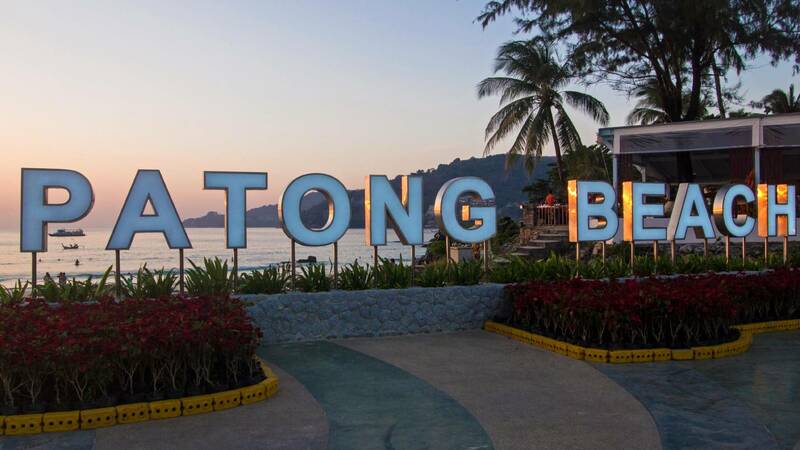 This Luxury Villa is conveniently located at the southern end of Patong, high on the hillside overlooking Patong Bay. 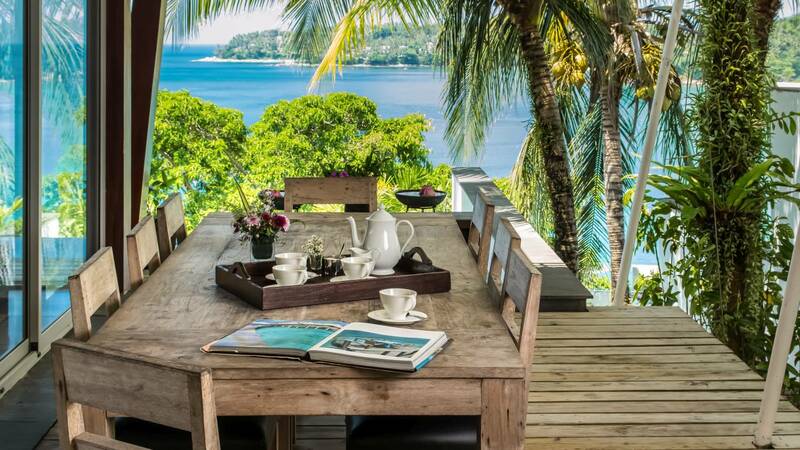 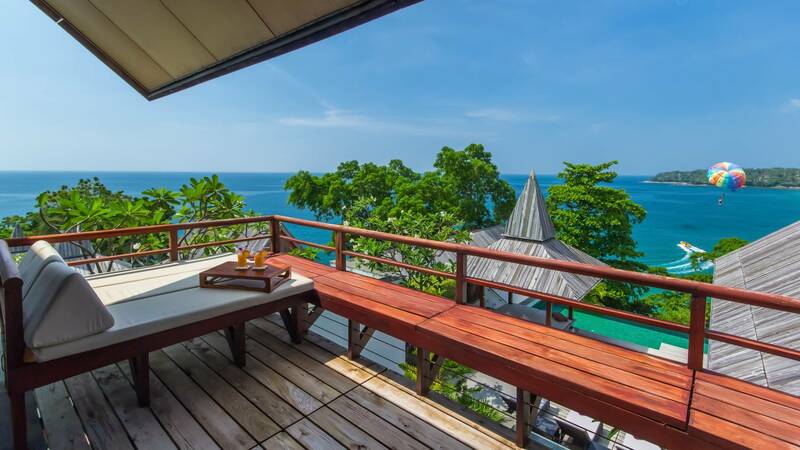 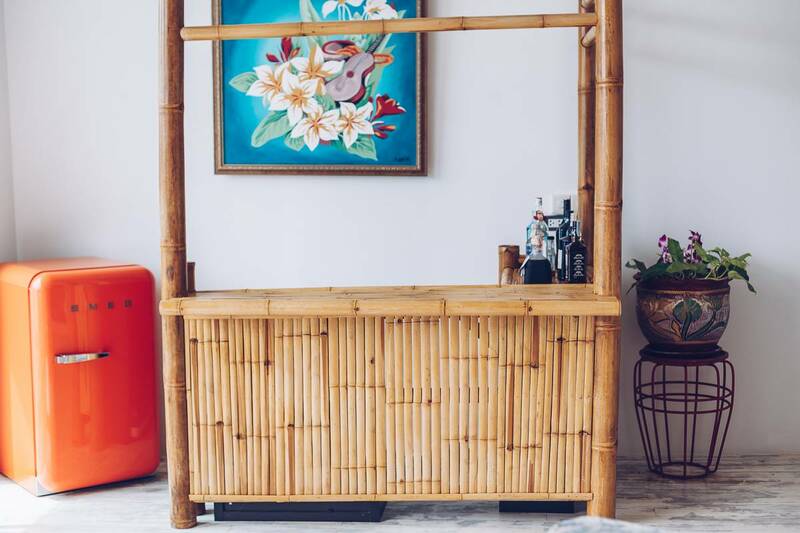 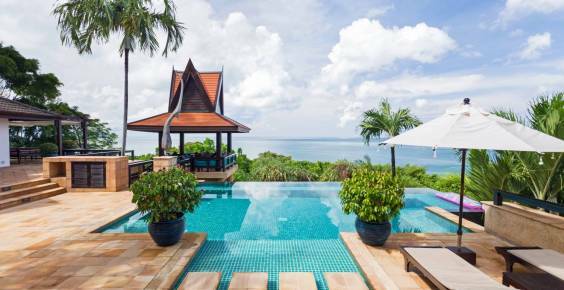 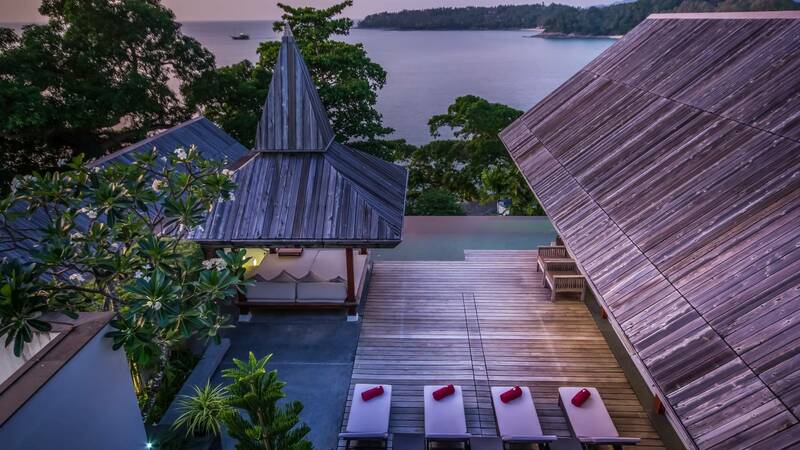 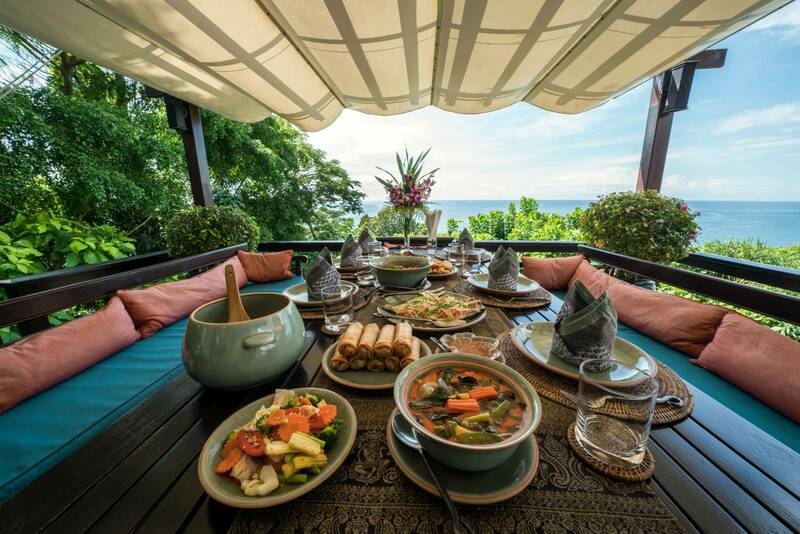 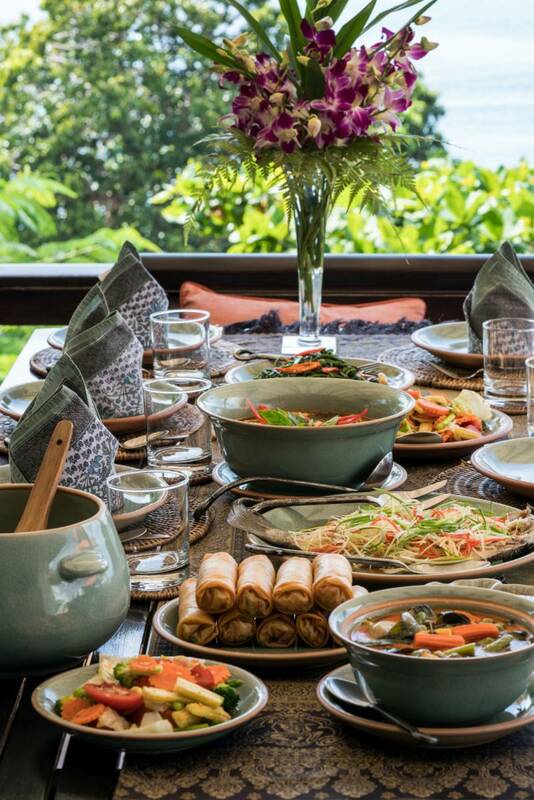 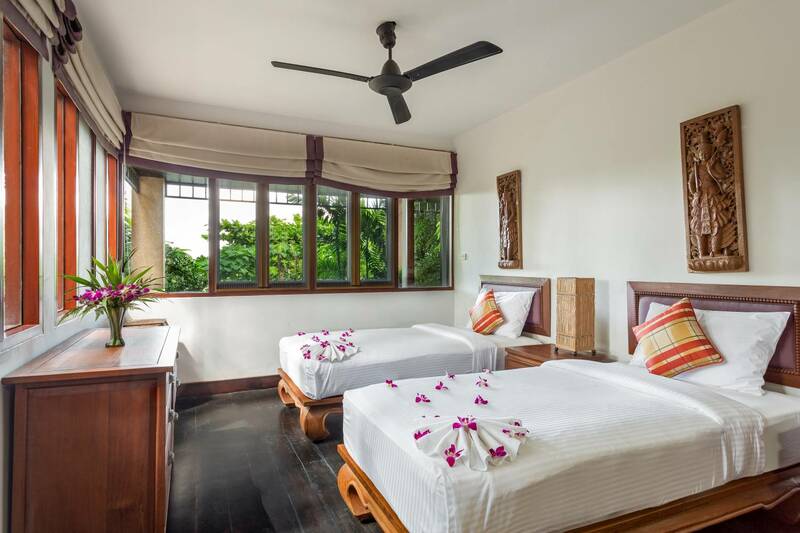 Baan Santisuk, our exclusively managed villa, perched on a lush green headland surrounded by the crystal-blue Andaman Sea and two white-sandy beaches. 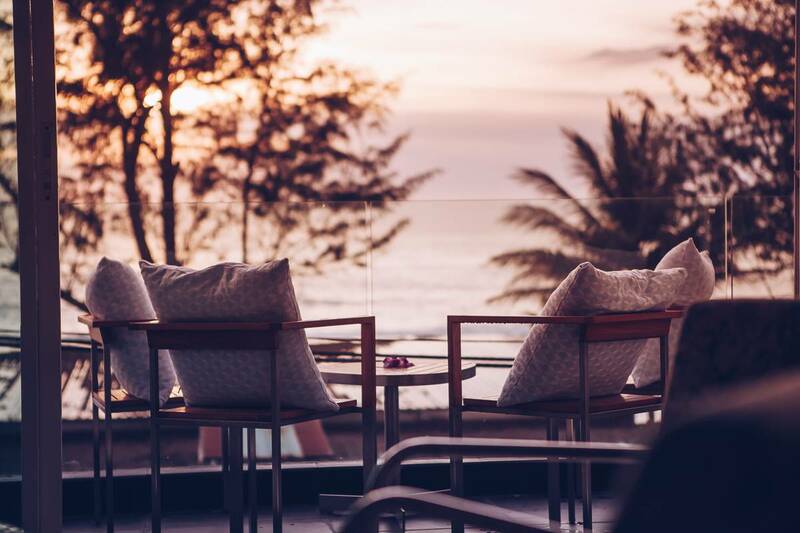 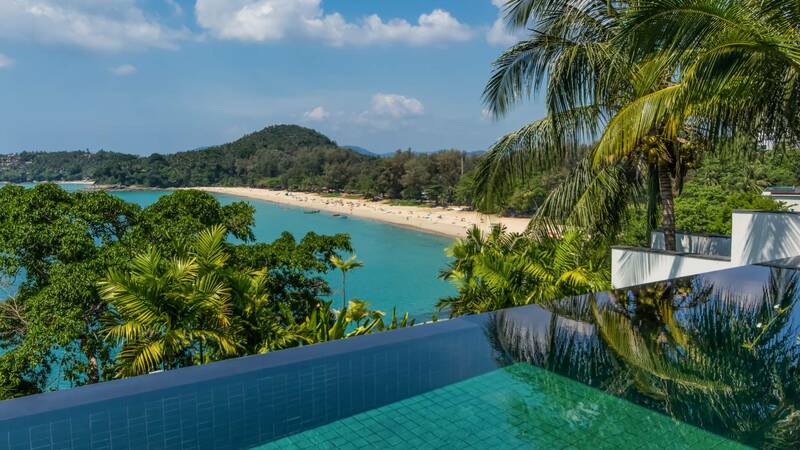 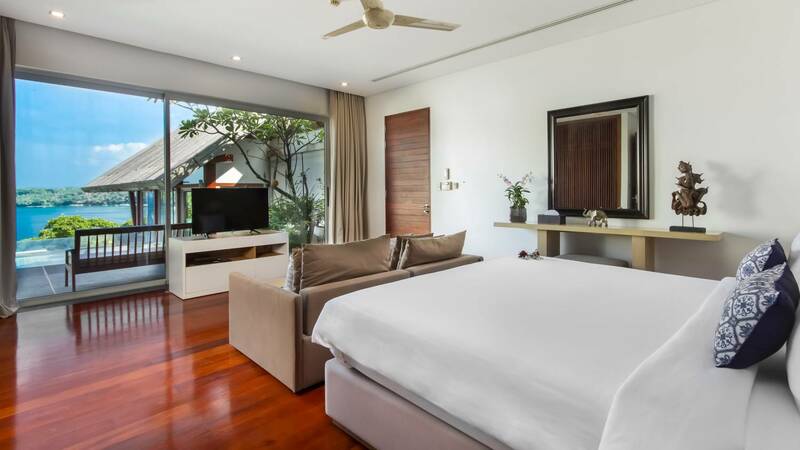 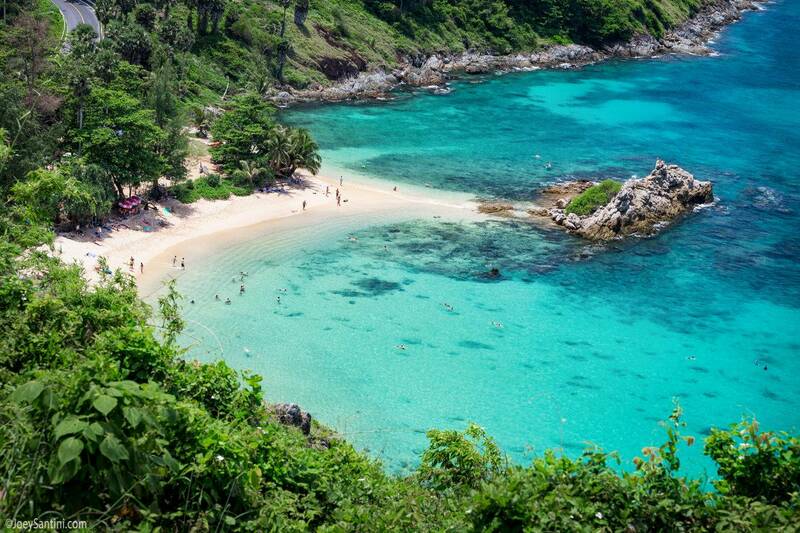 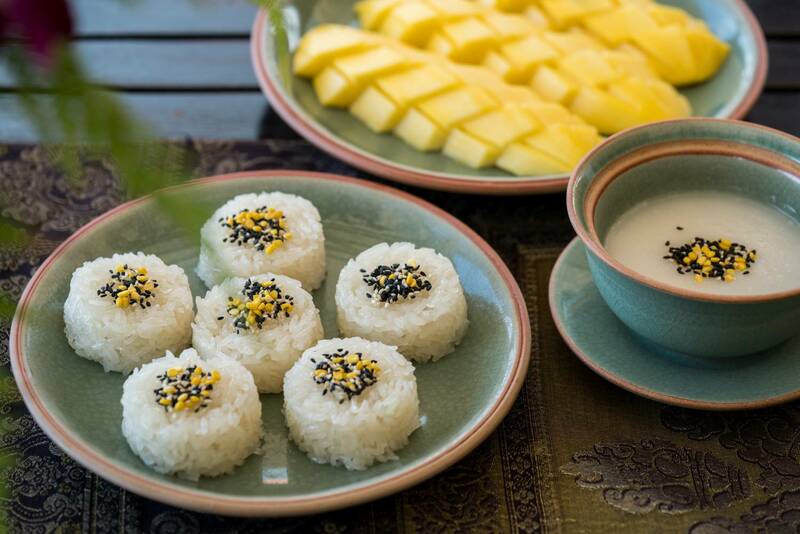 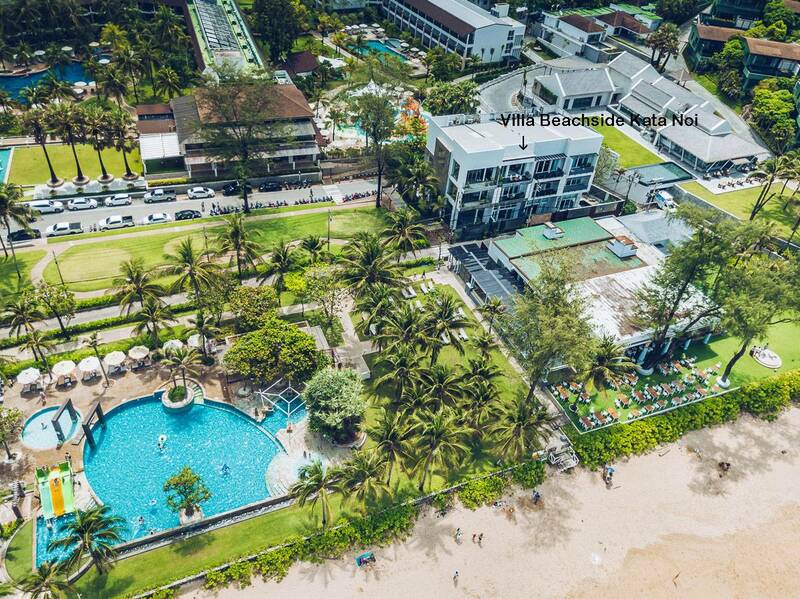 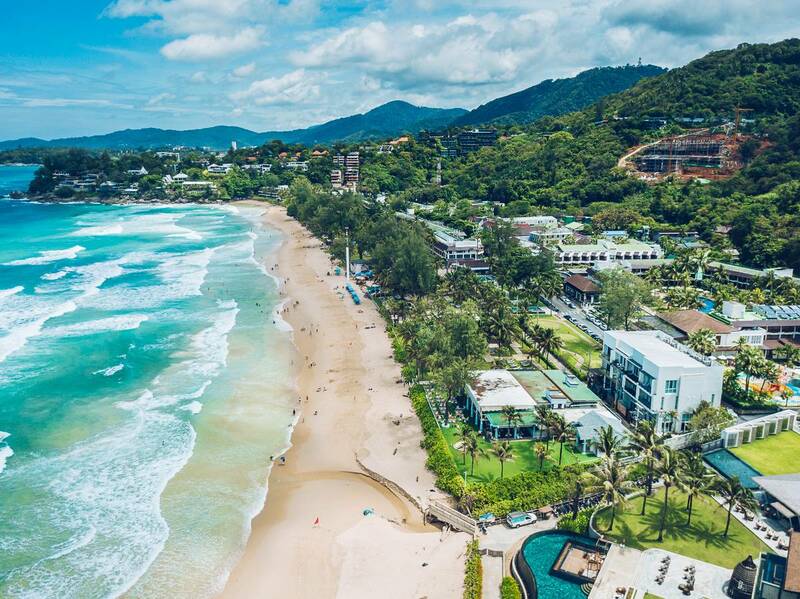 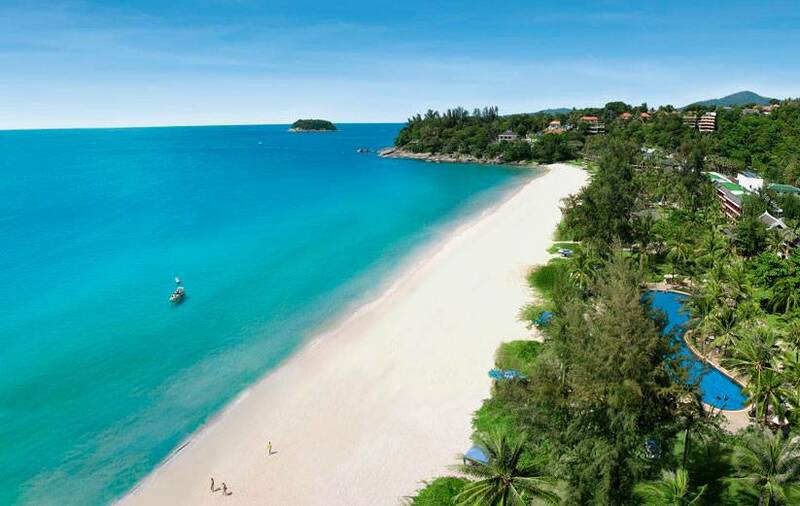 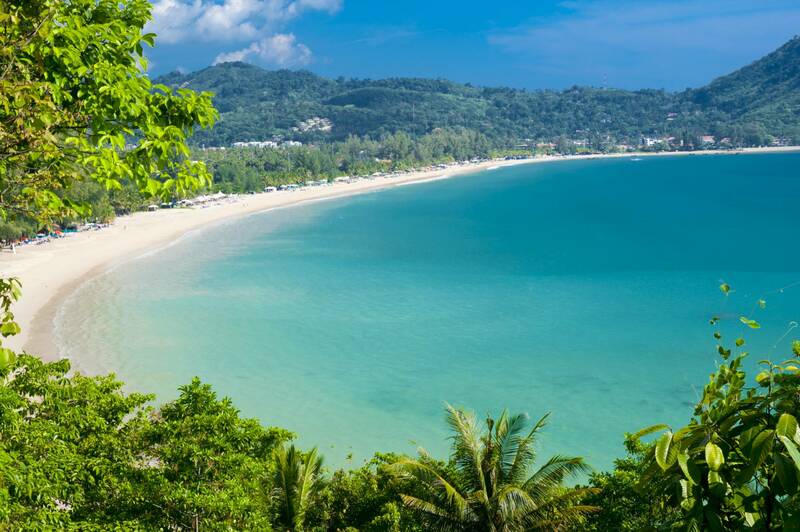 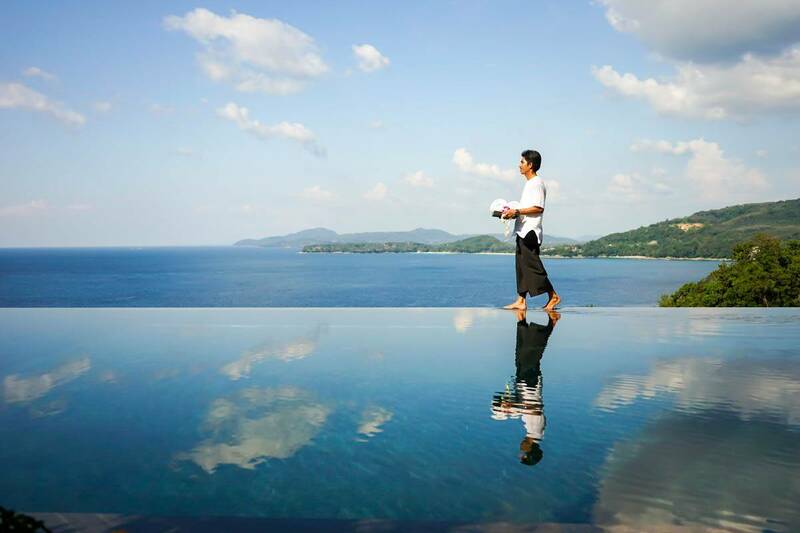 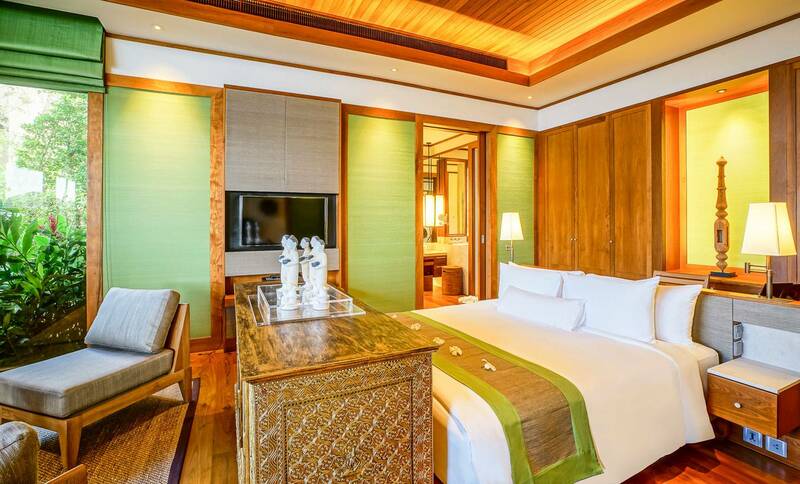 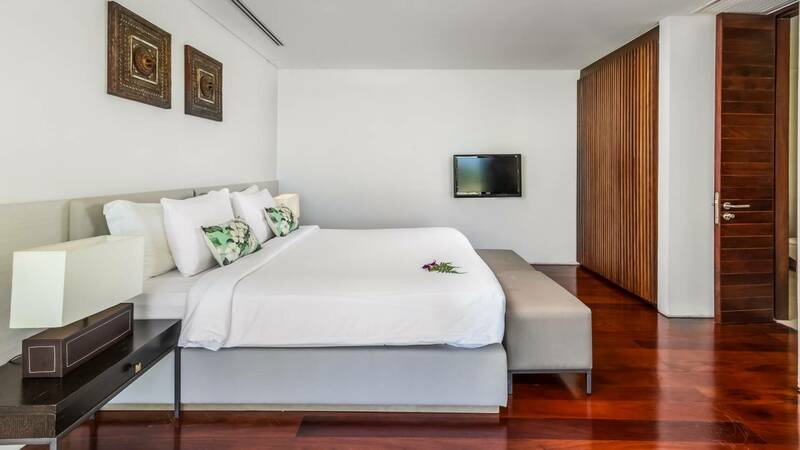 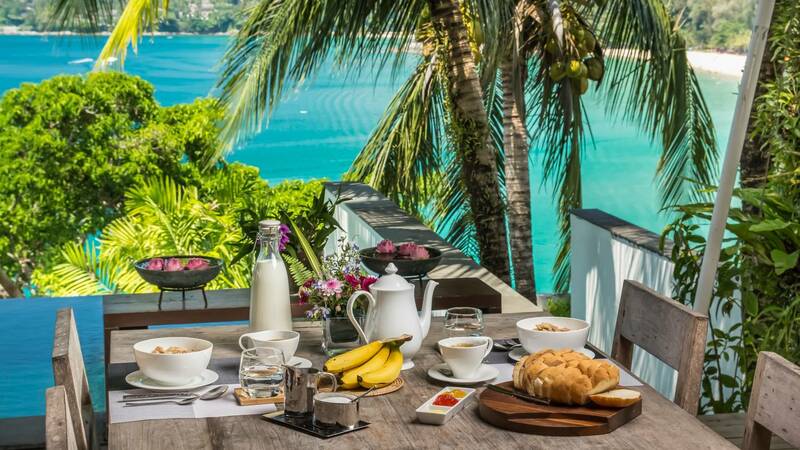 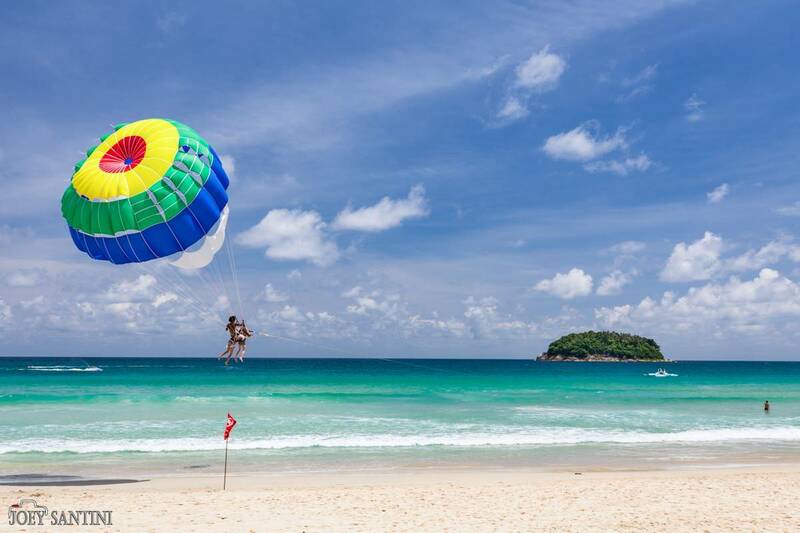 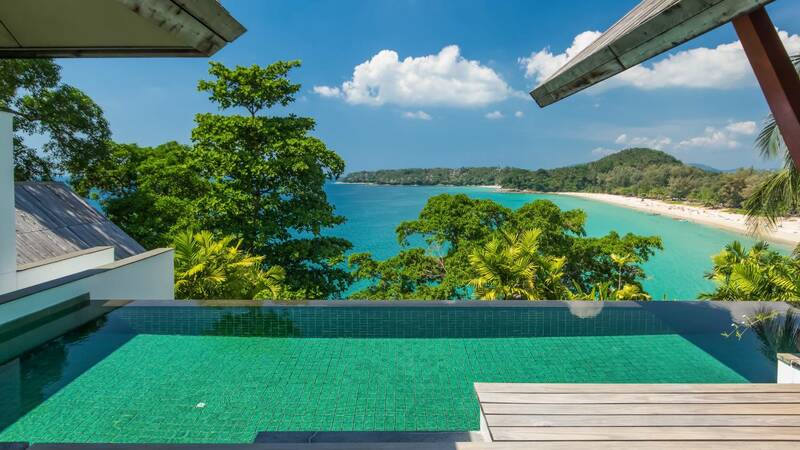 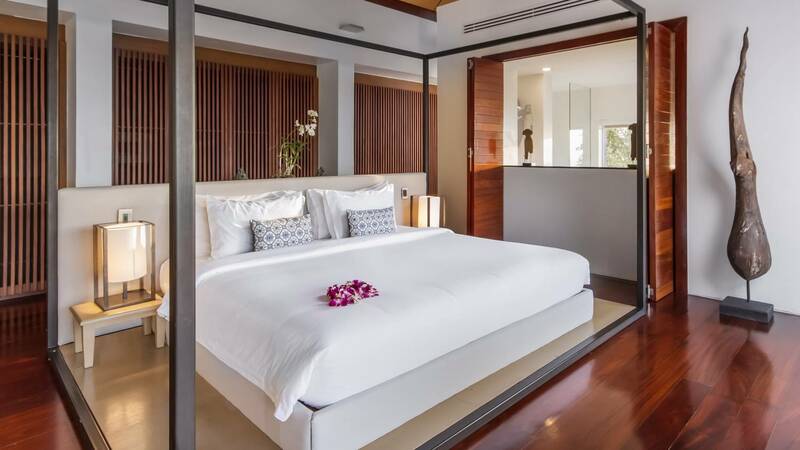 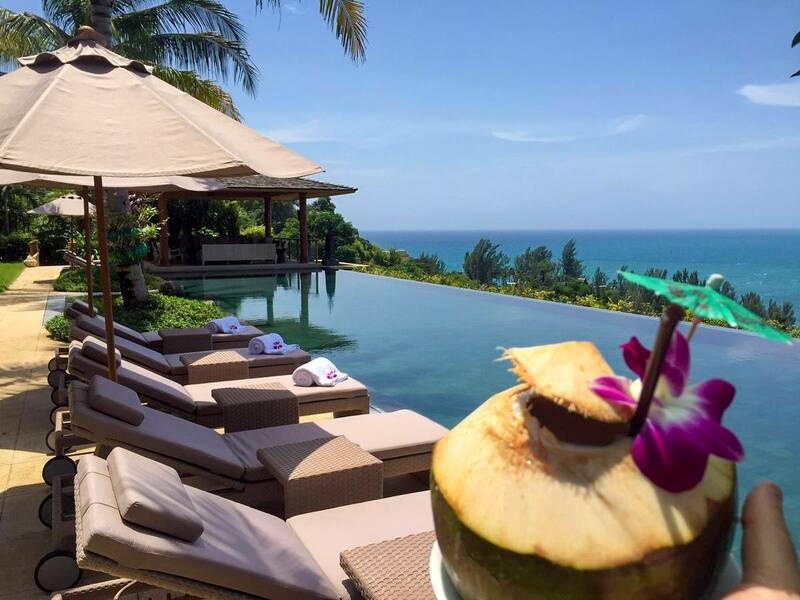 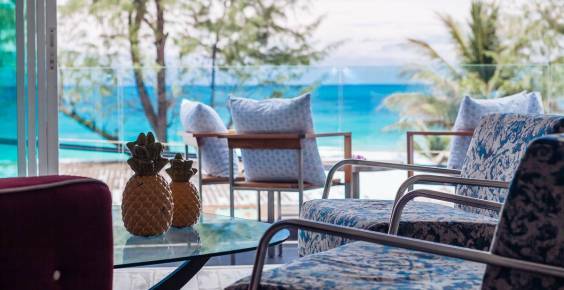 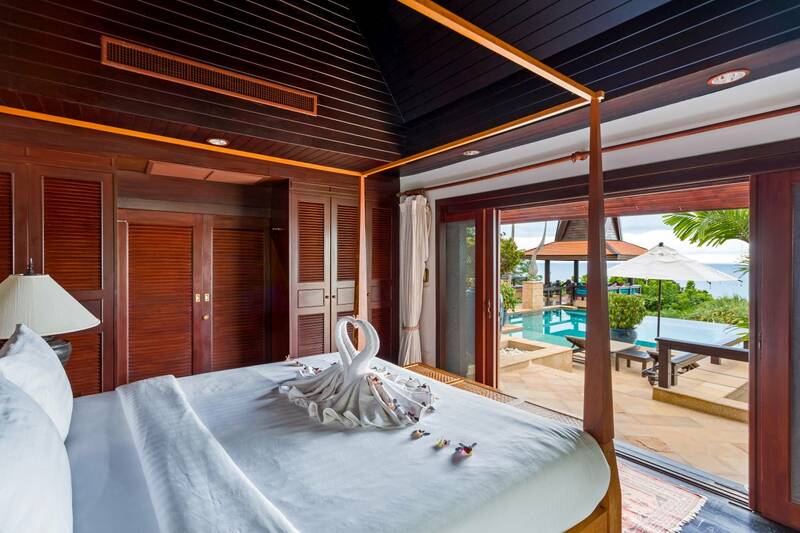 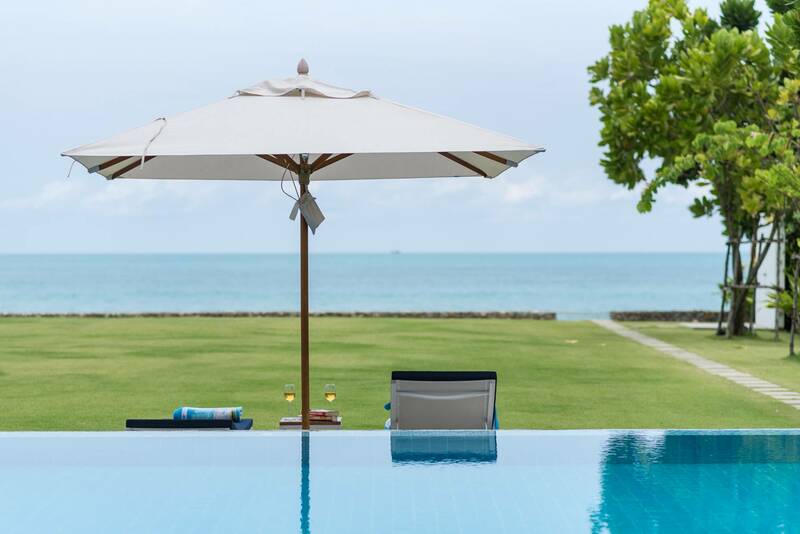 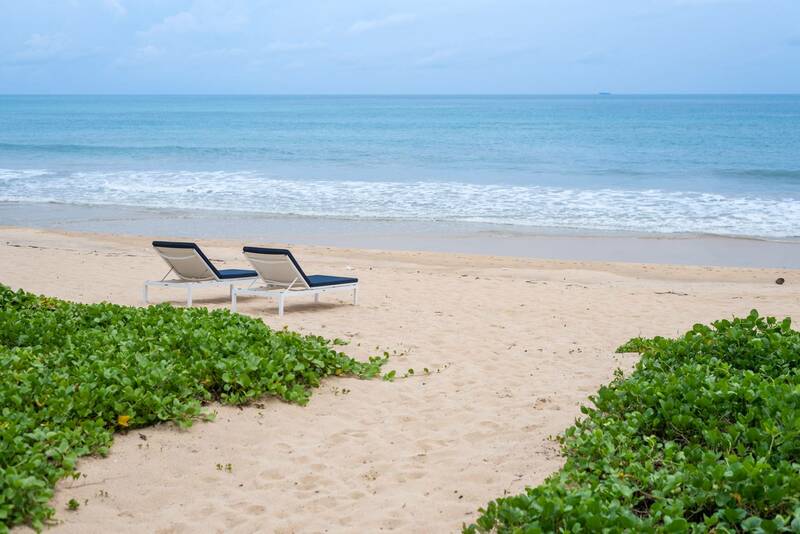 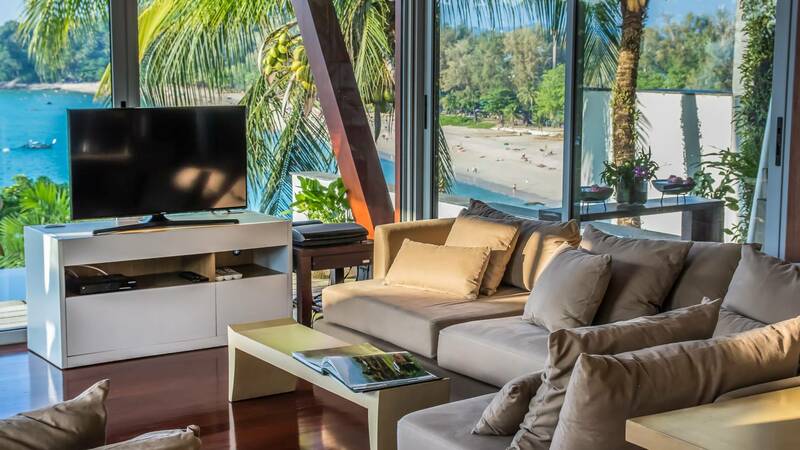 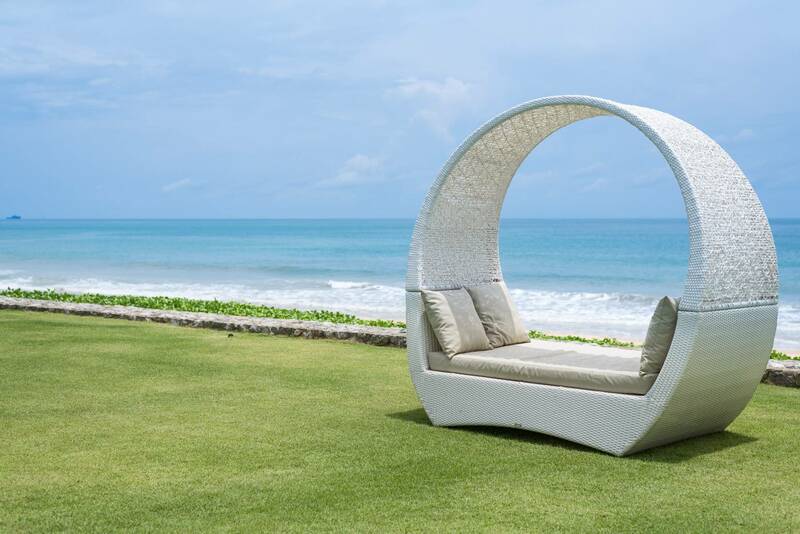 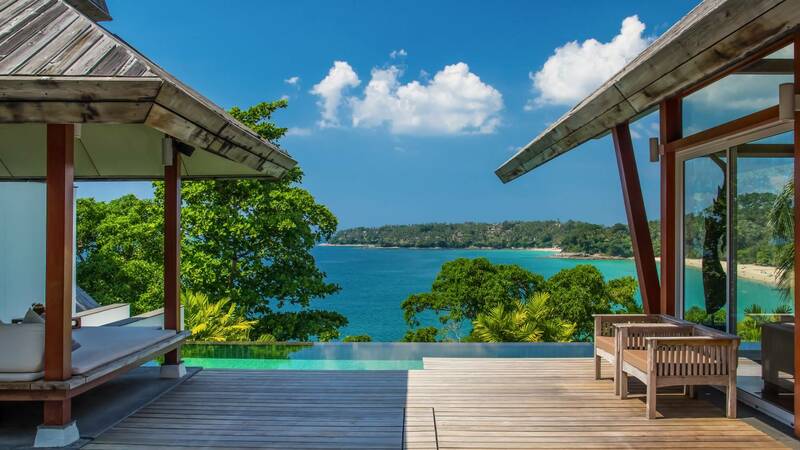 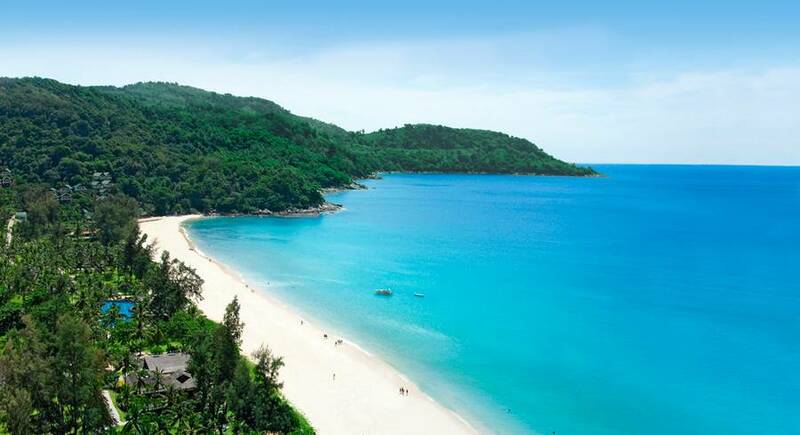 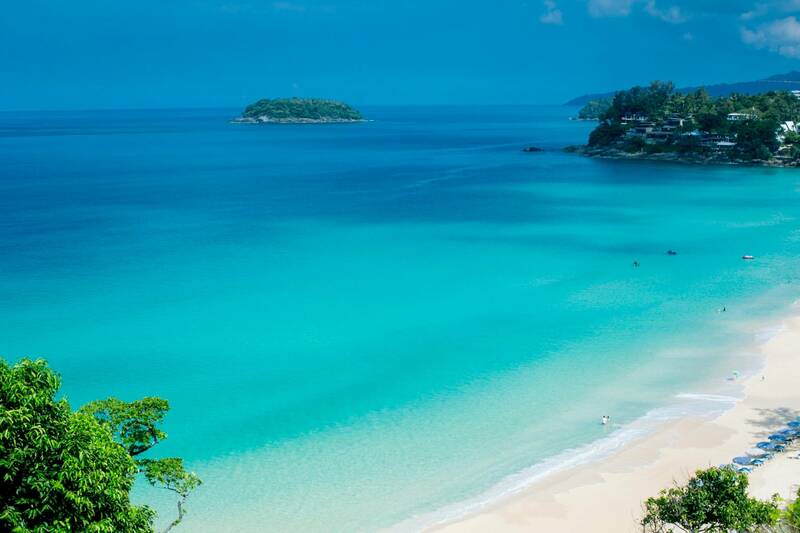 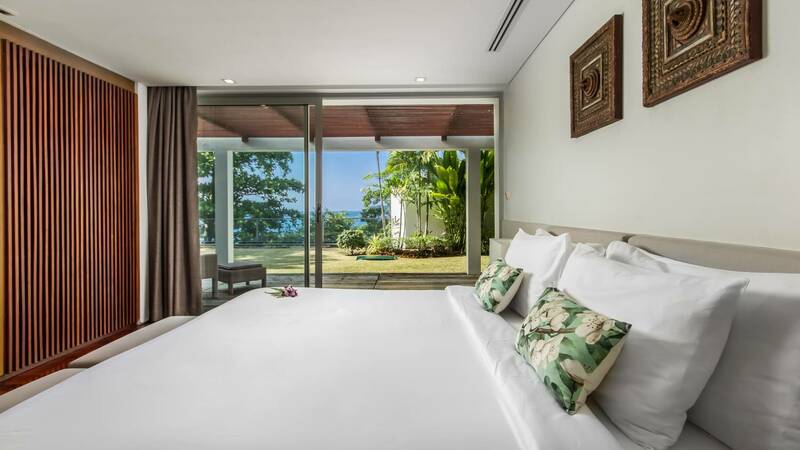 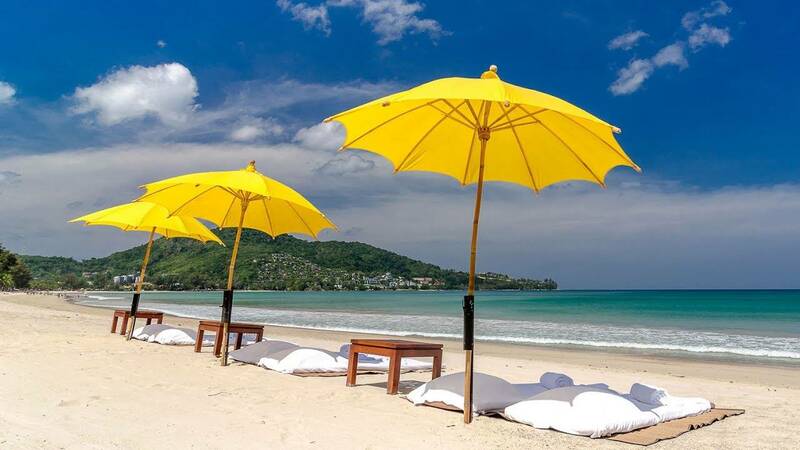 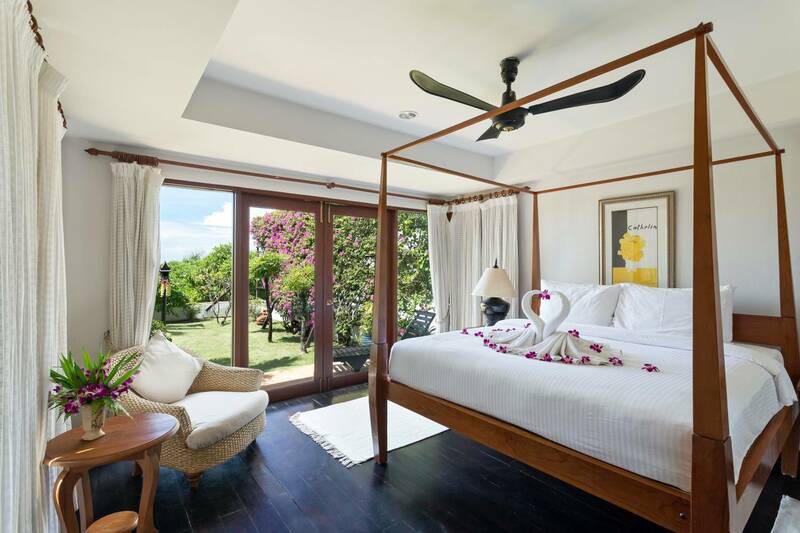 You�ll find it very hard to go home following your first class stay at the exclusive luxury Laemsingh Villa 3, with stunning views over Surin Beach and the iconic Amanpuri Resort. 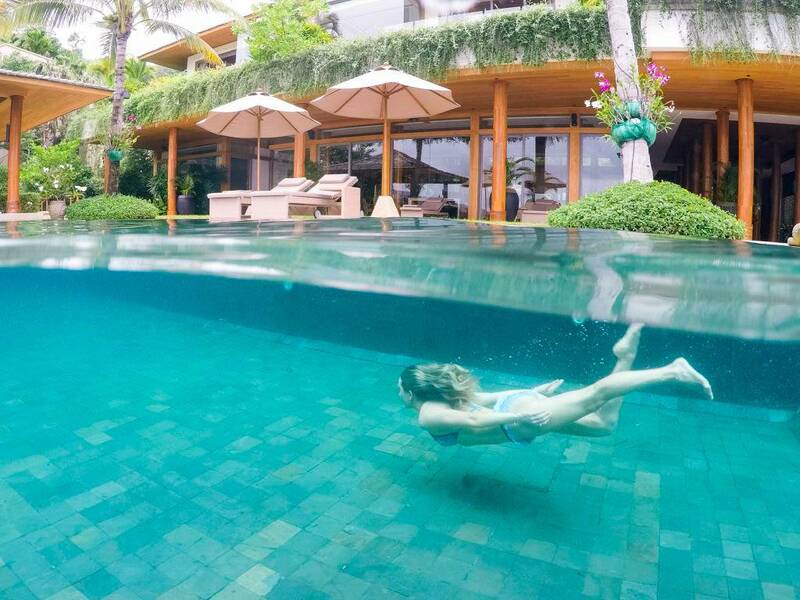 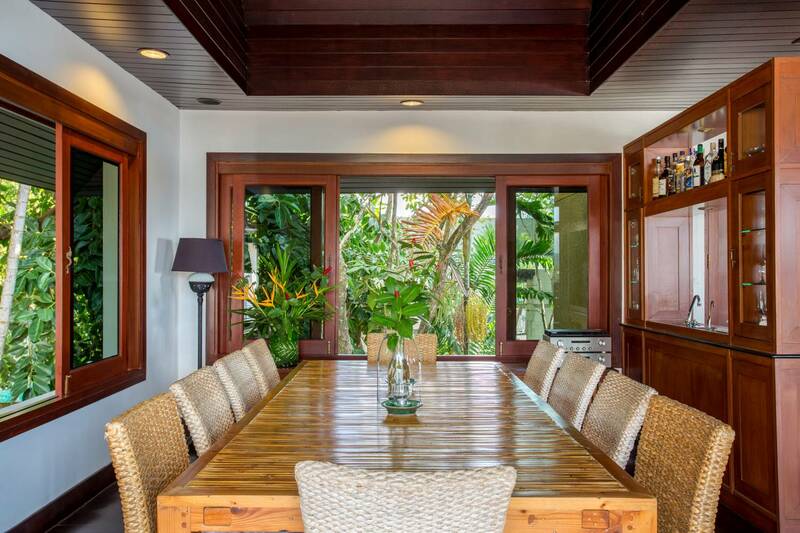 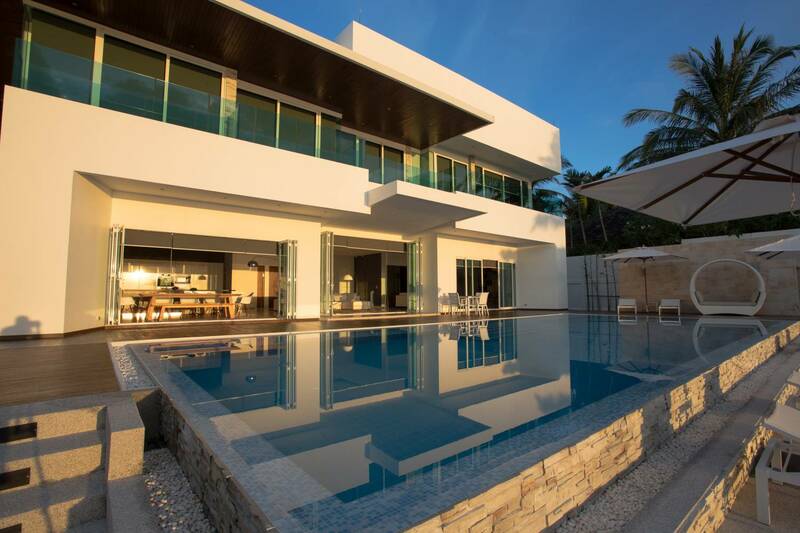 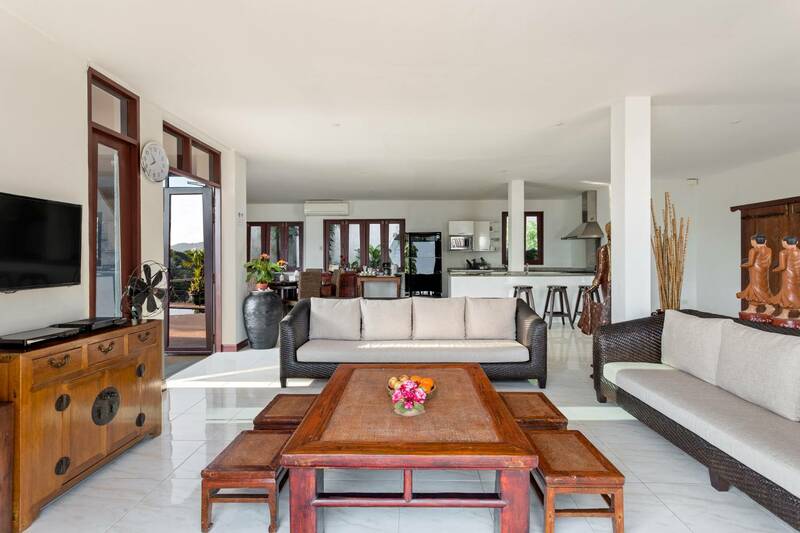 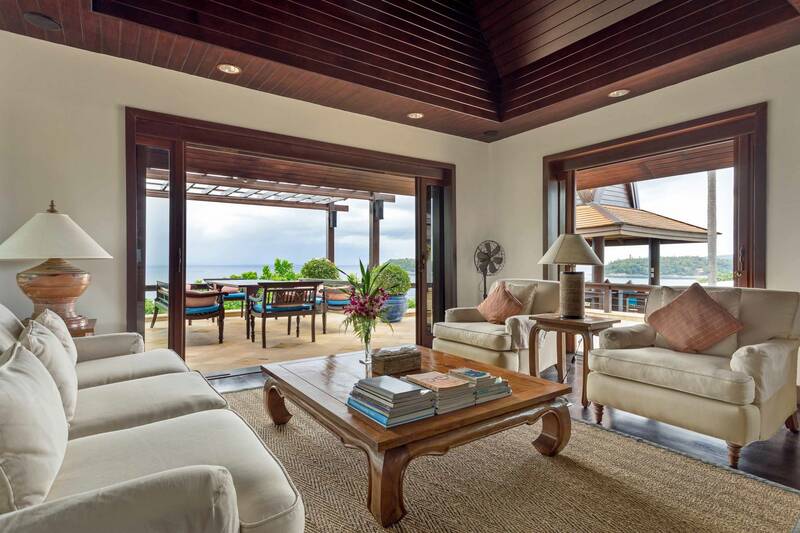 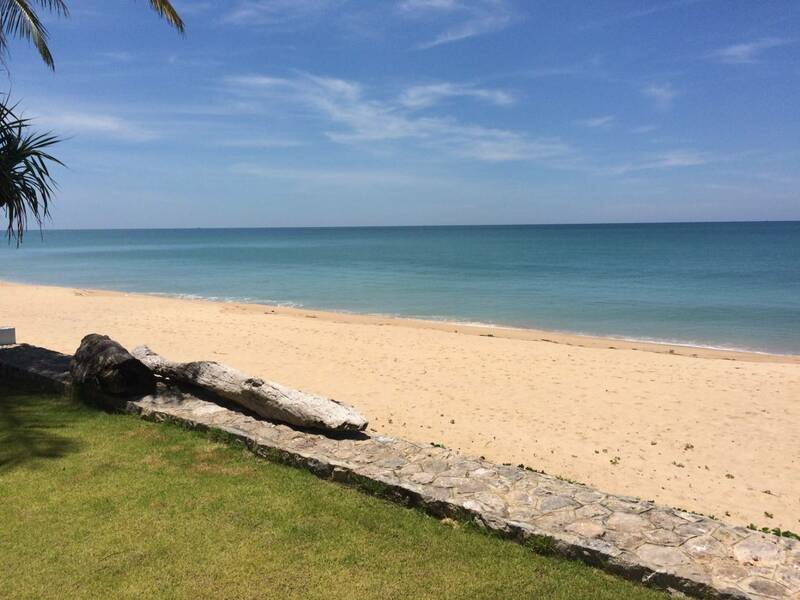 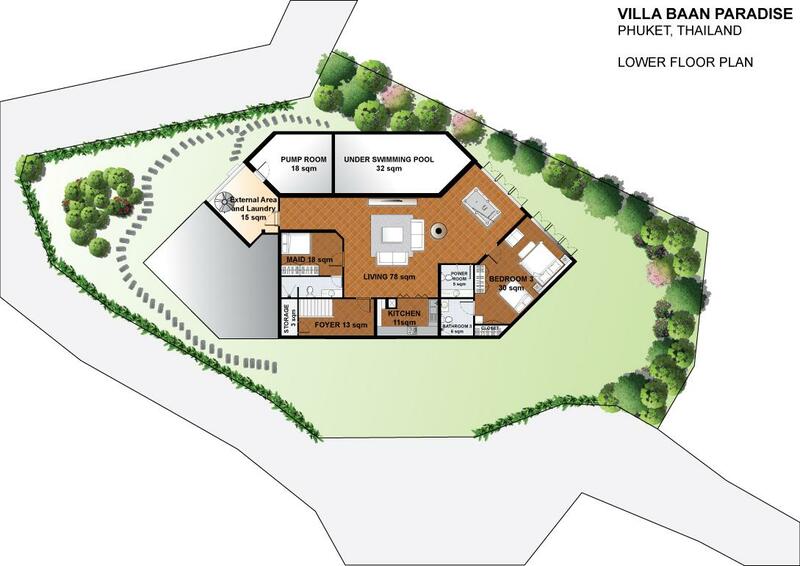 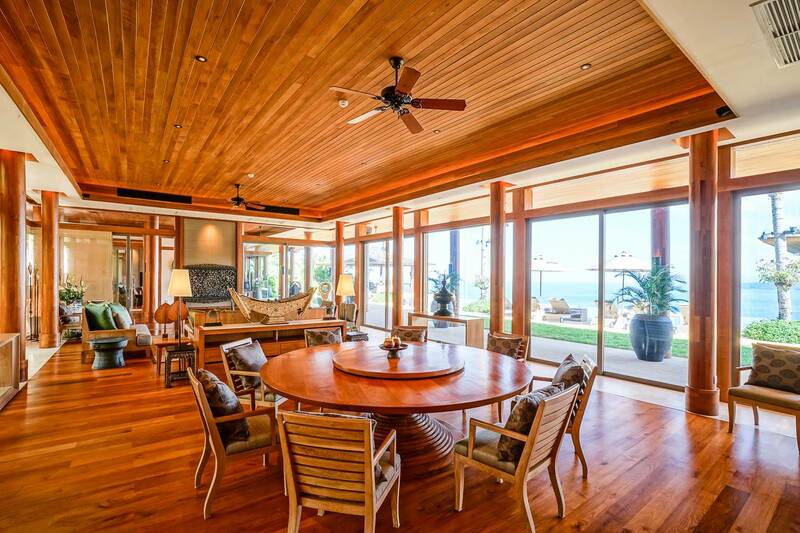 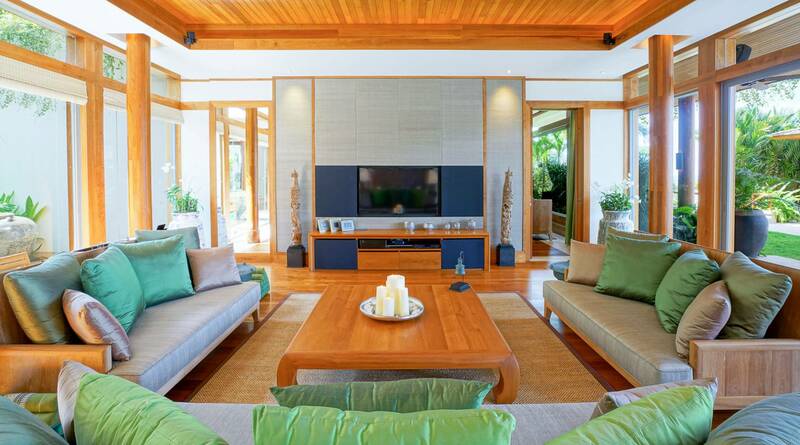 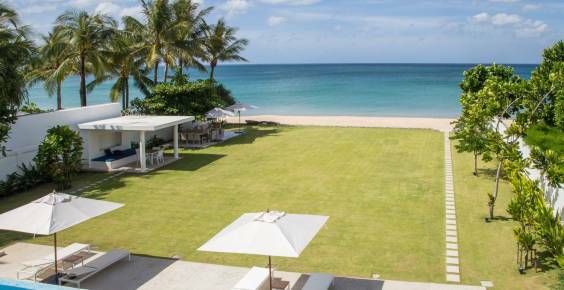 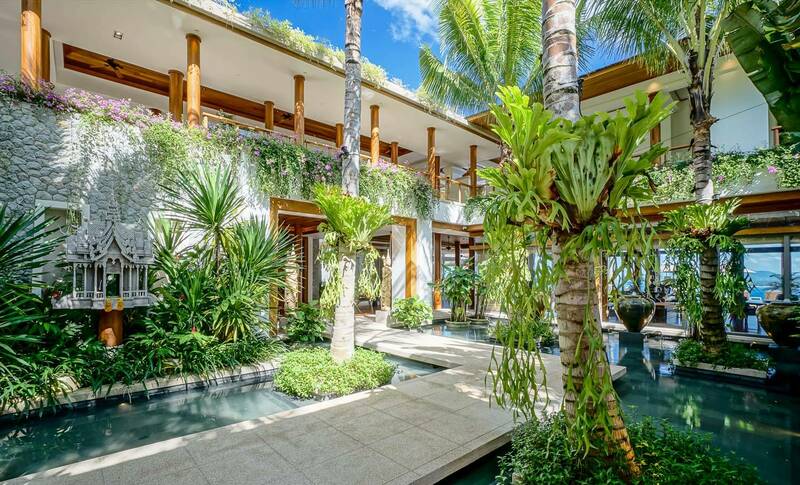 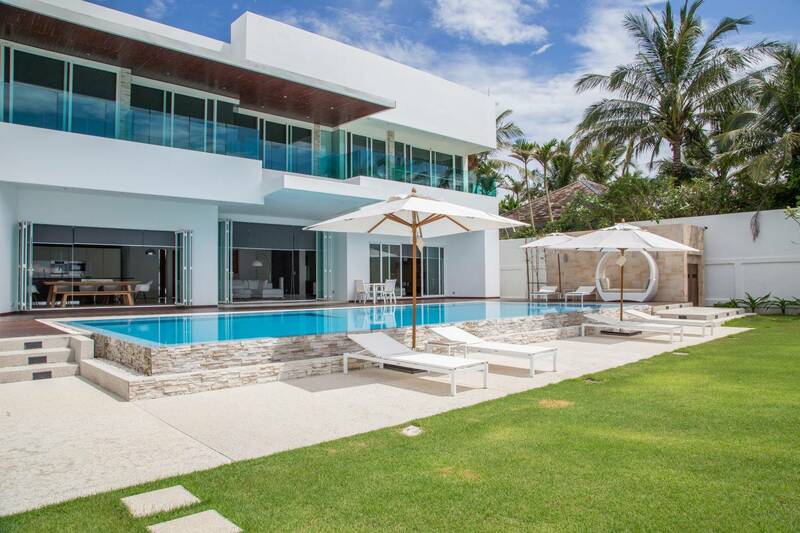 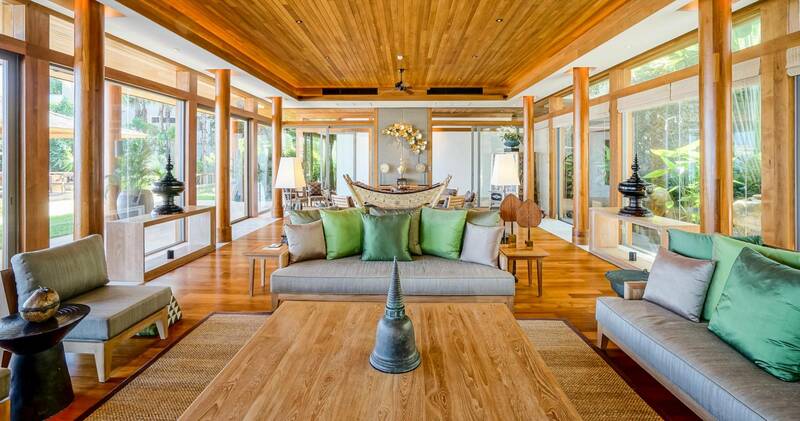 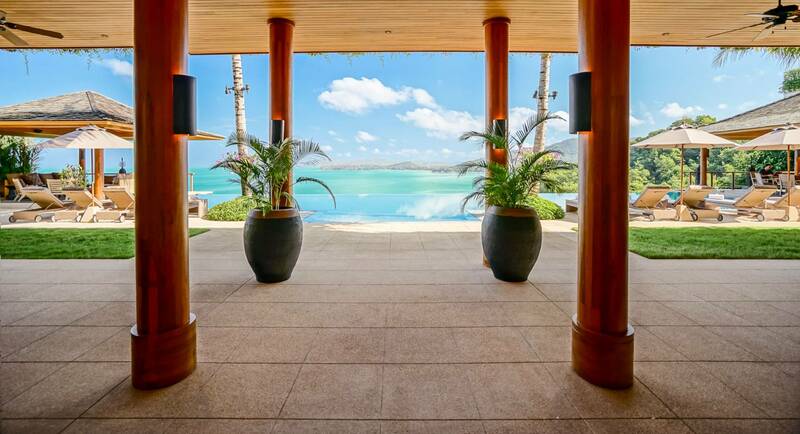 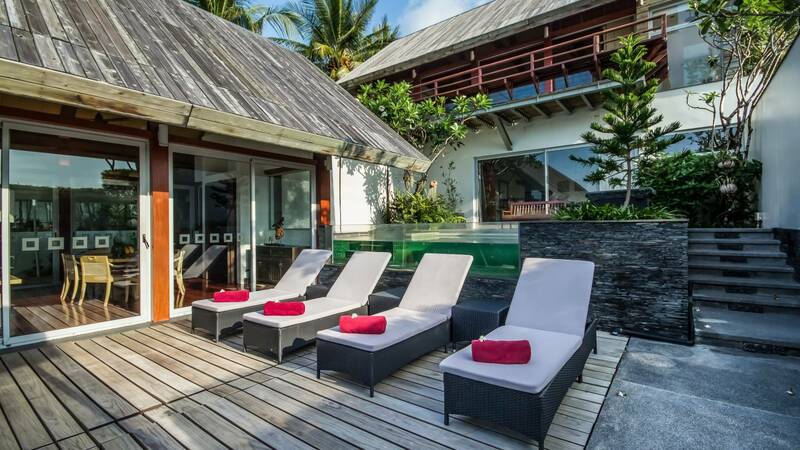 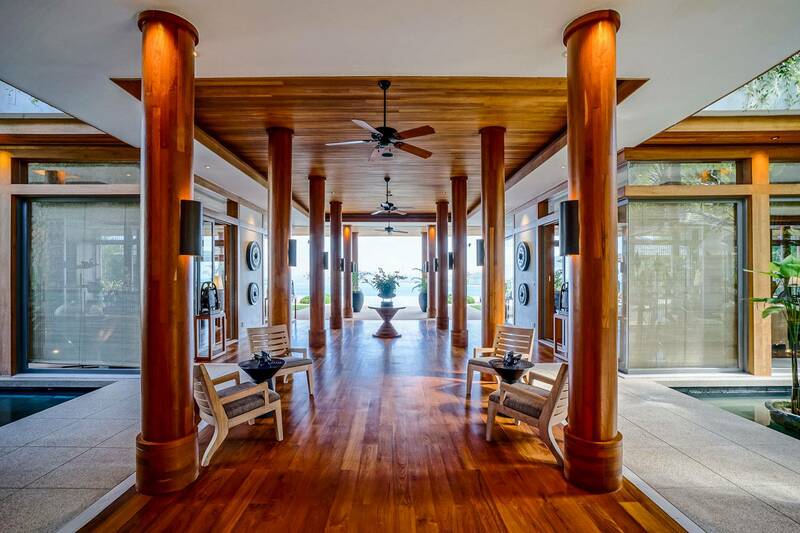 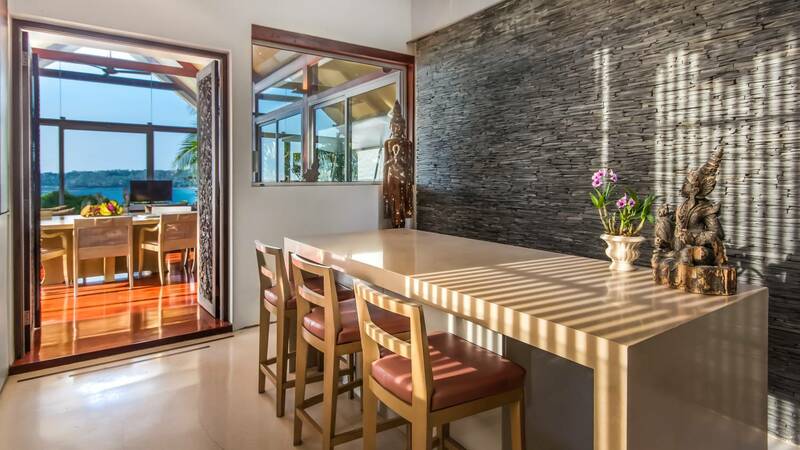 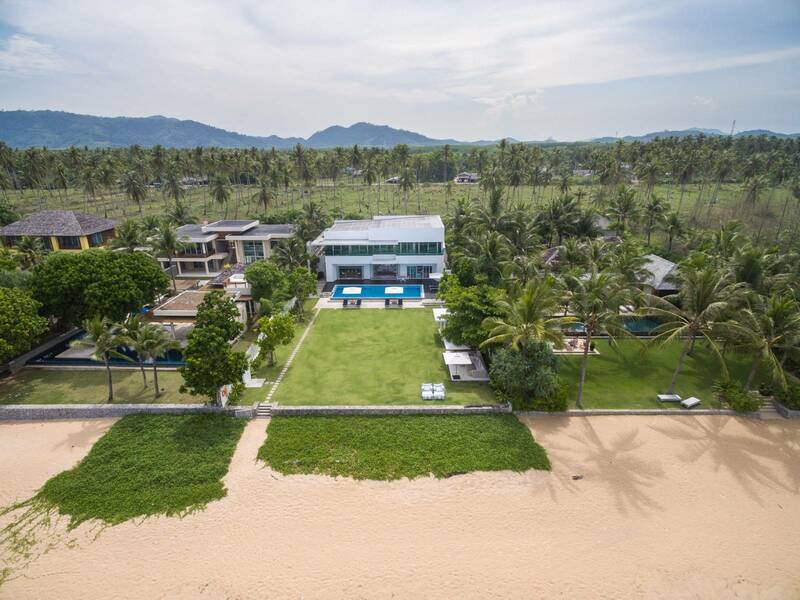 Villa Summer Estate is a newly built modern and luxurious house on absolute and unspoiled beachfront in Natai. 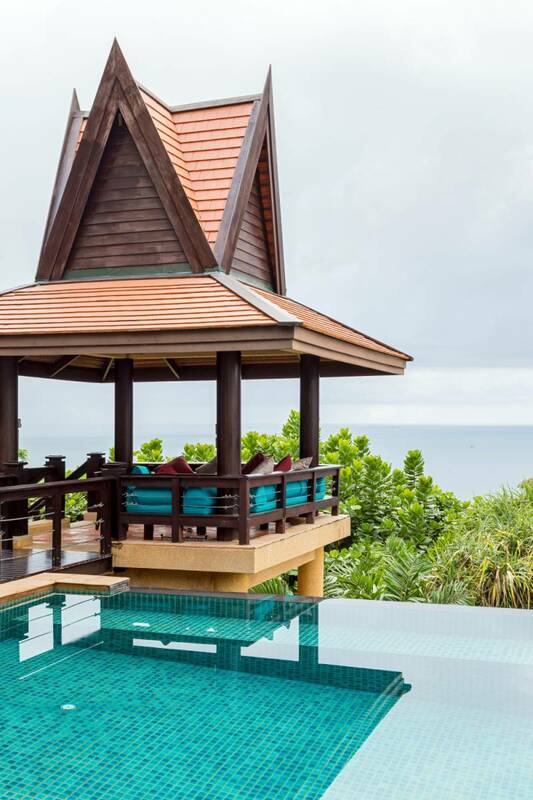 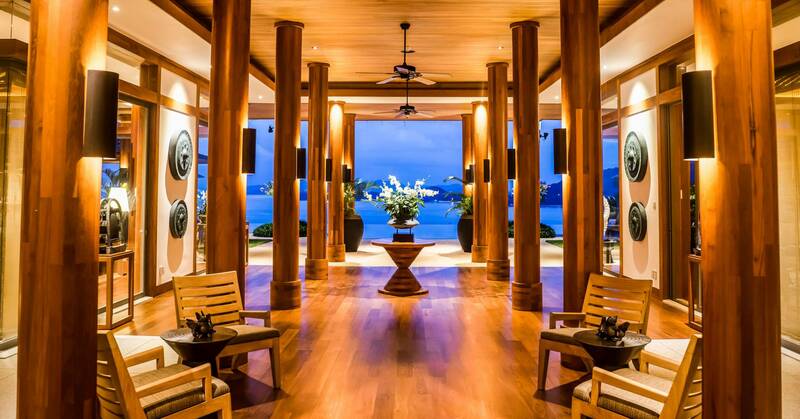 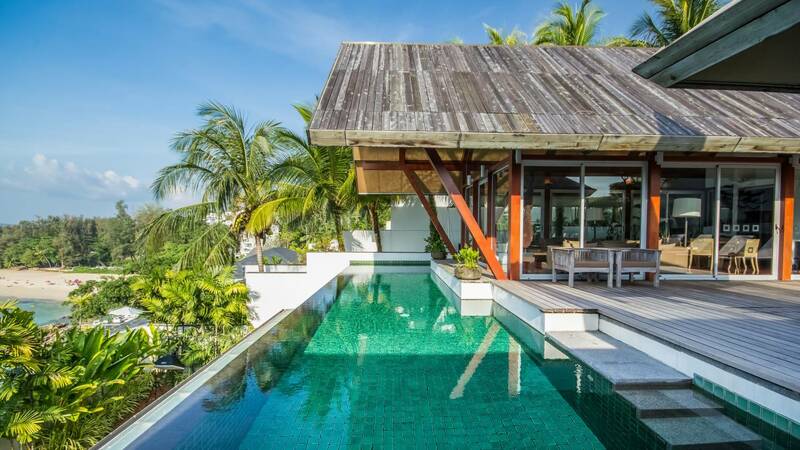 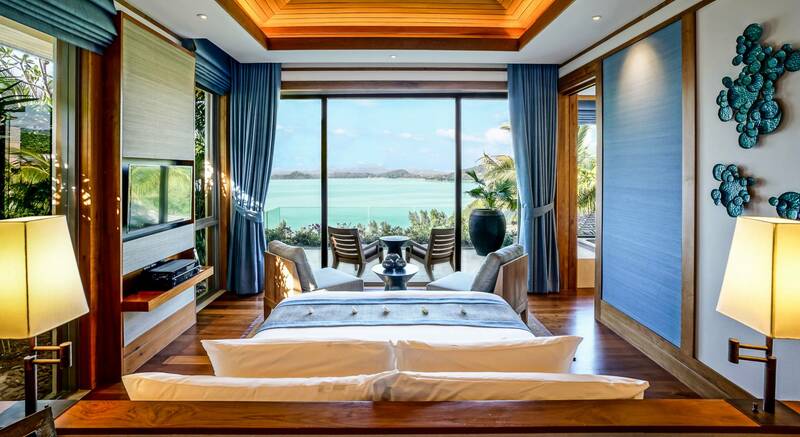 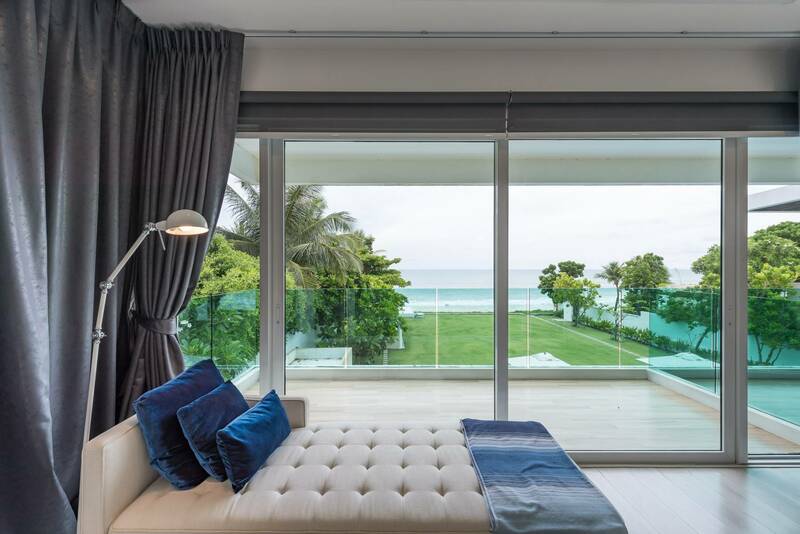 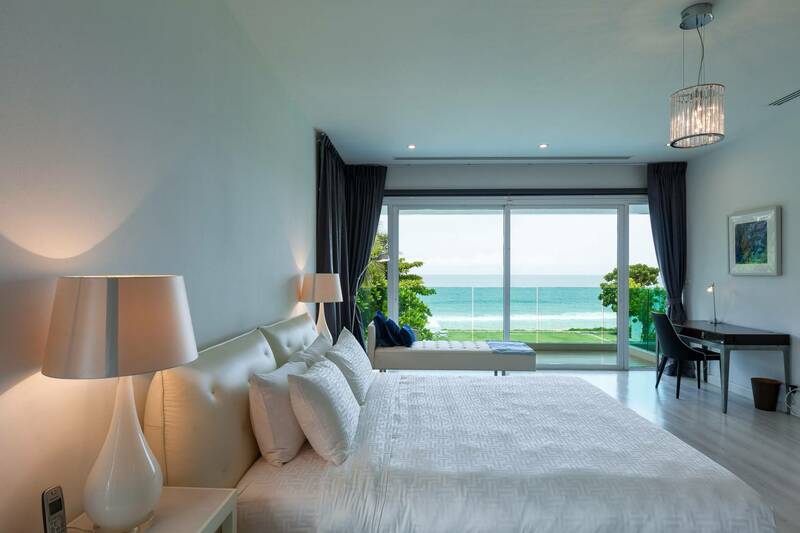 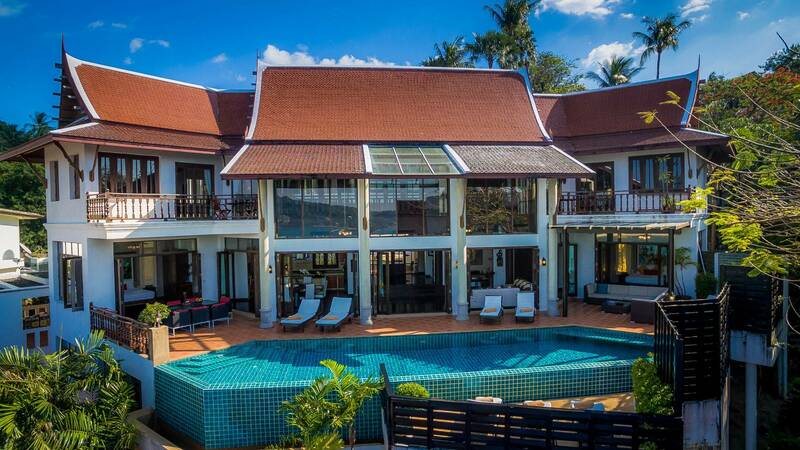 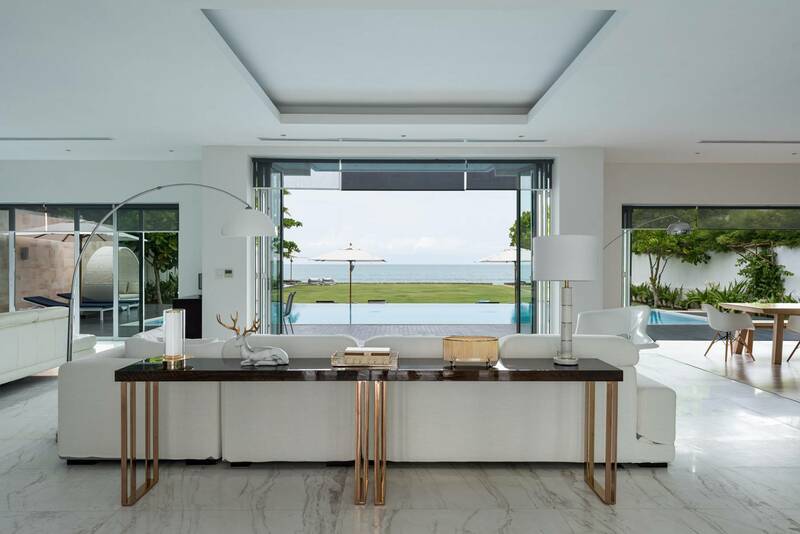 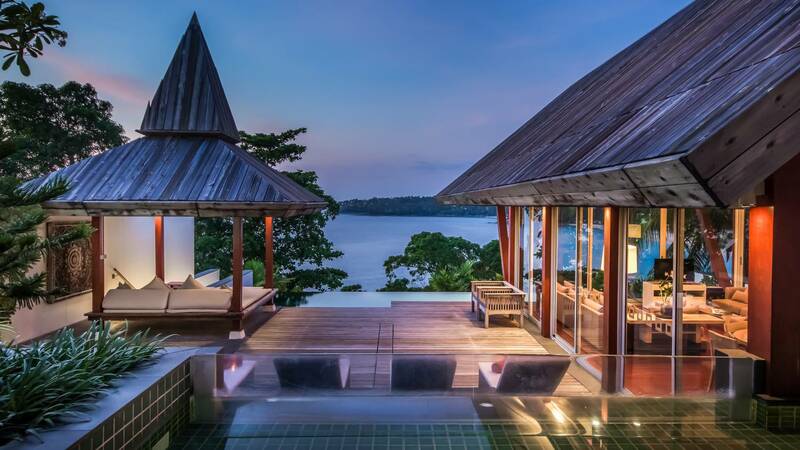 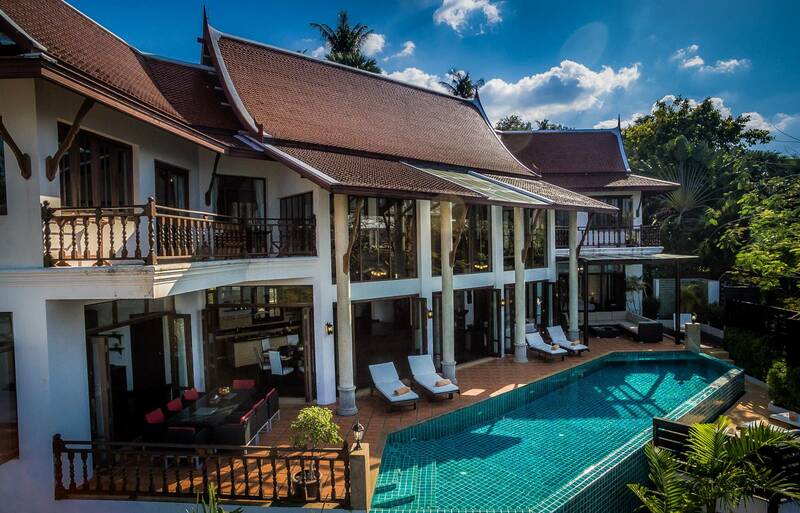 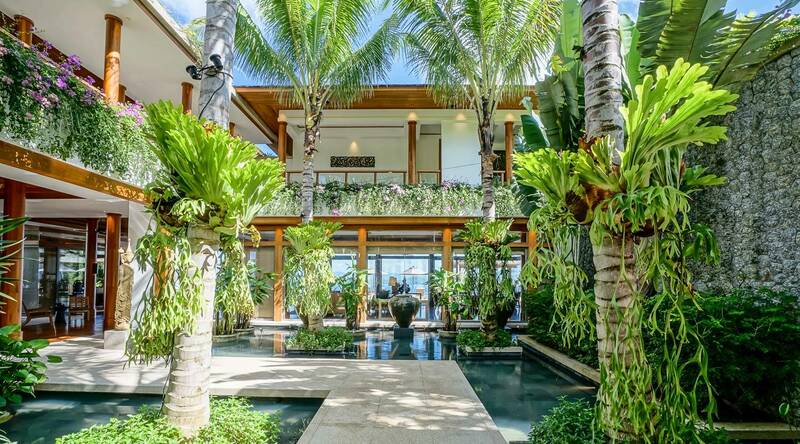 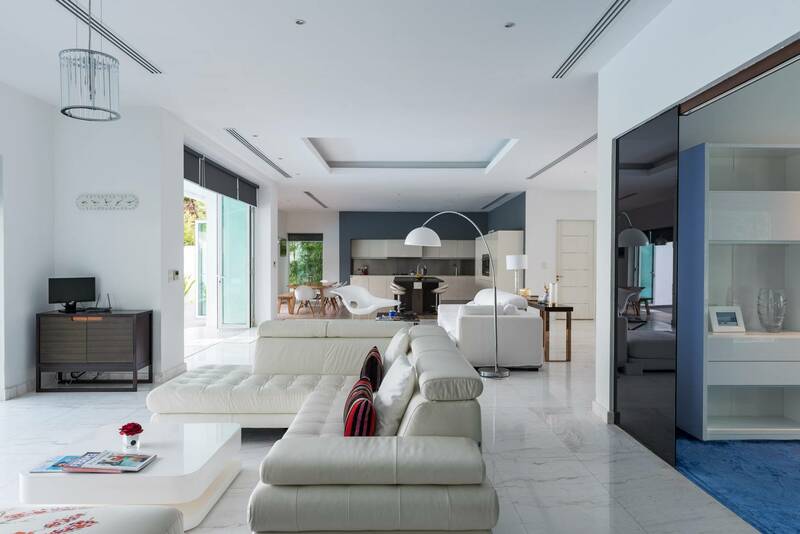 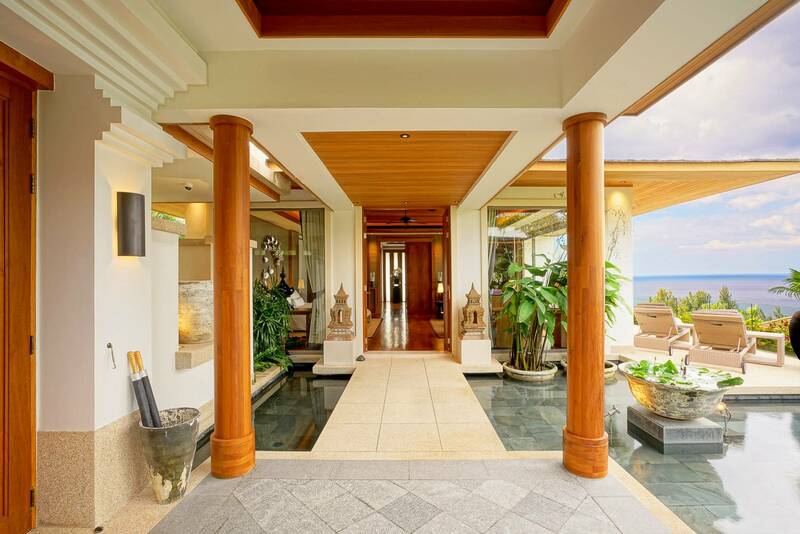 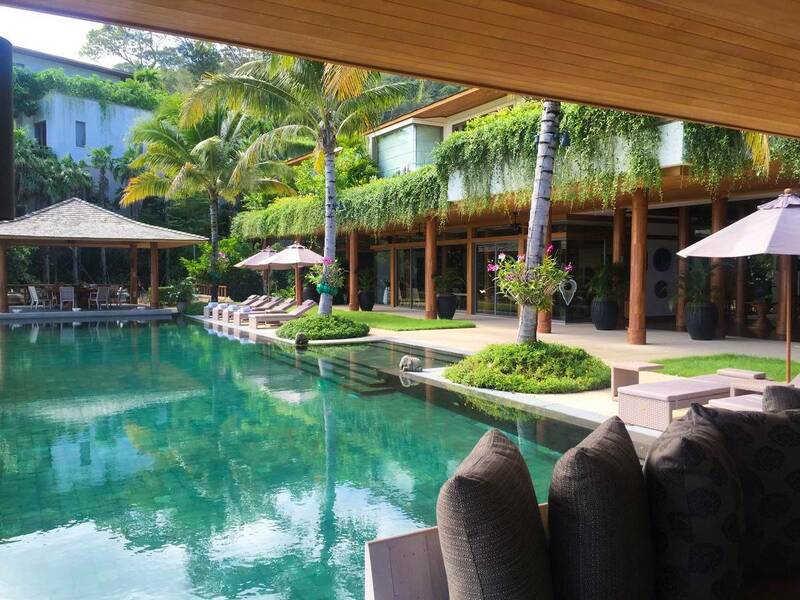 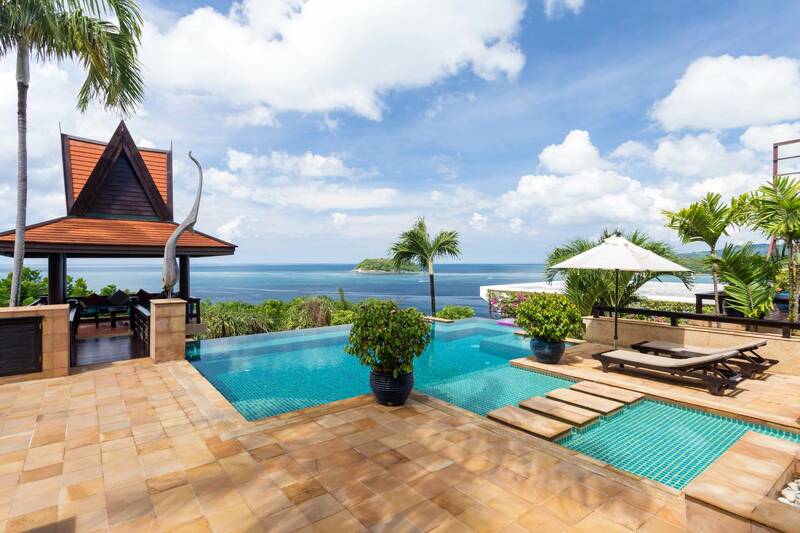 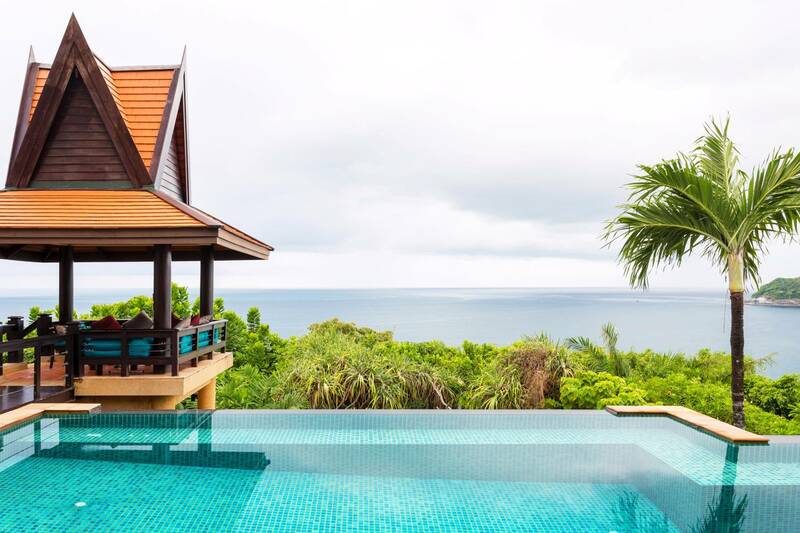 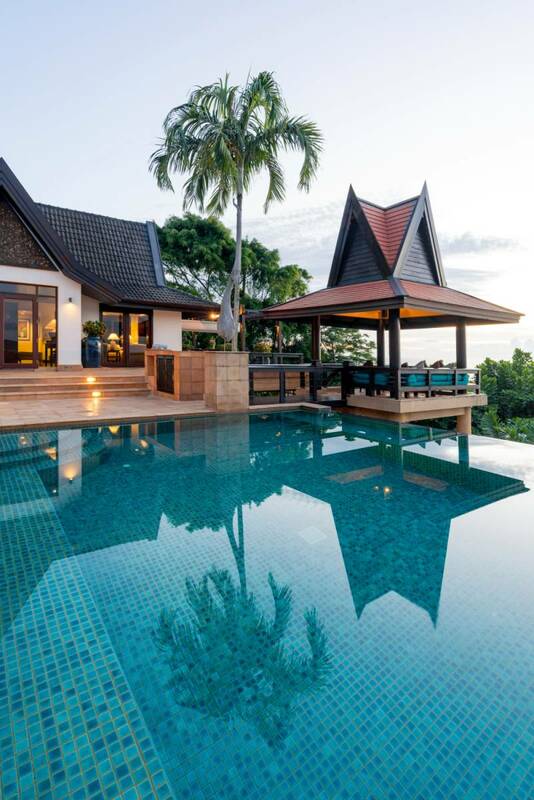 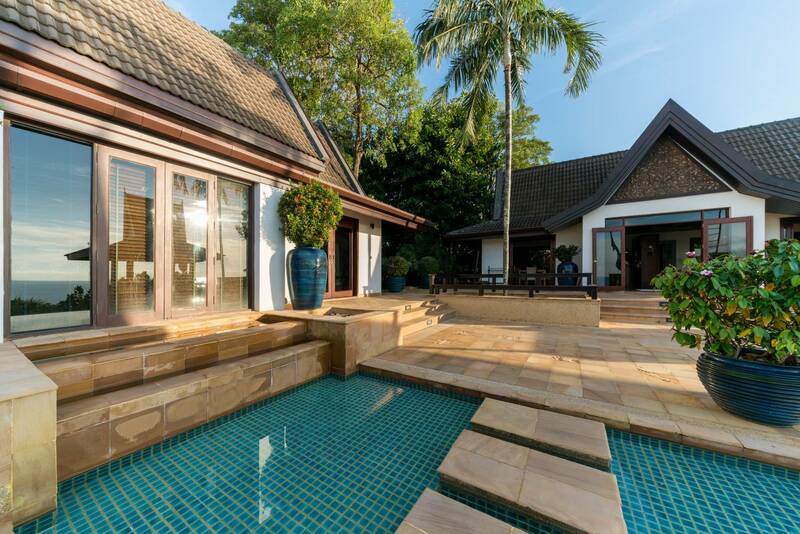 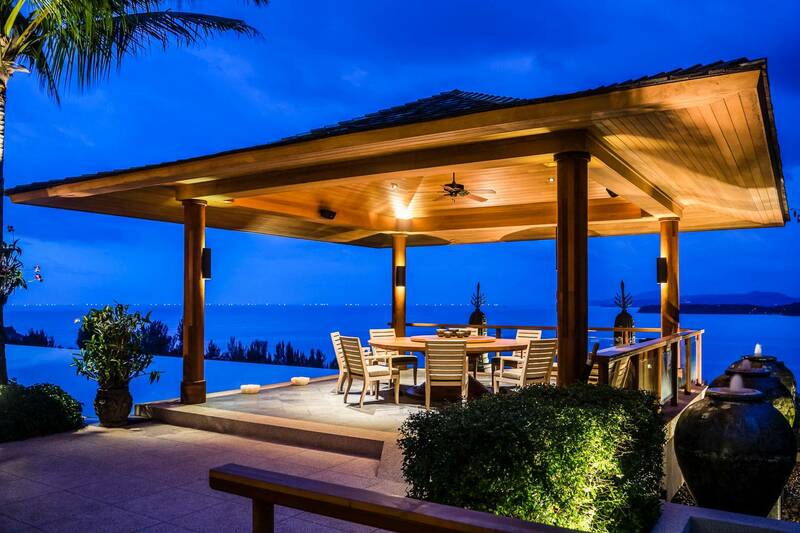 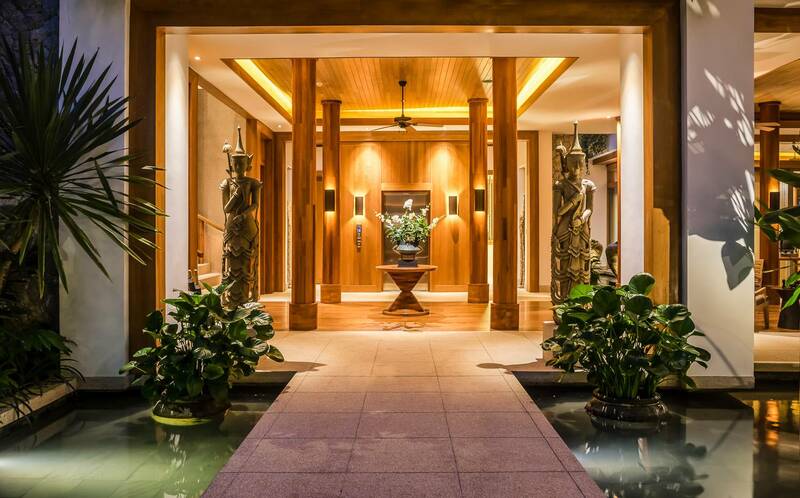 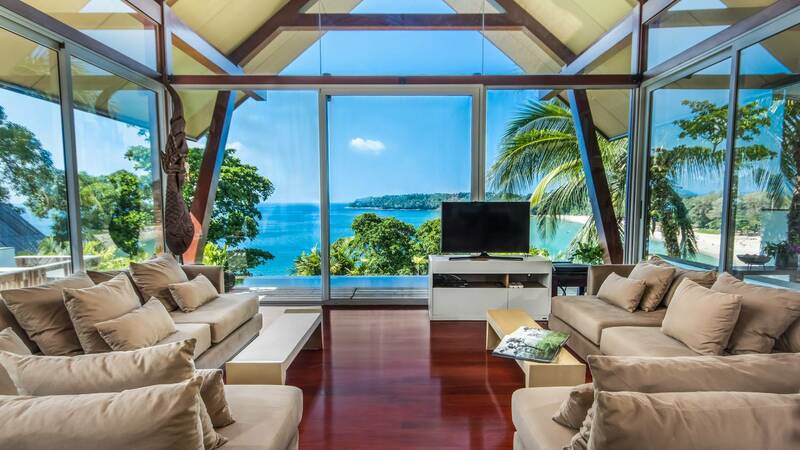 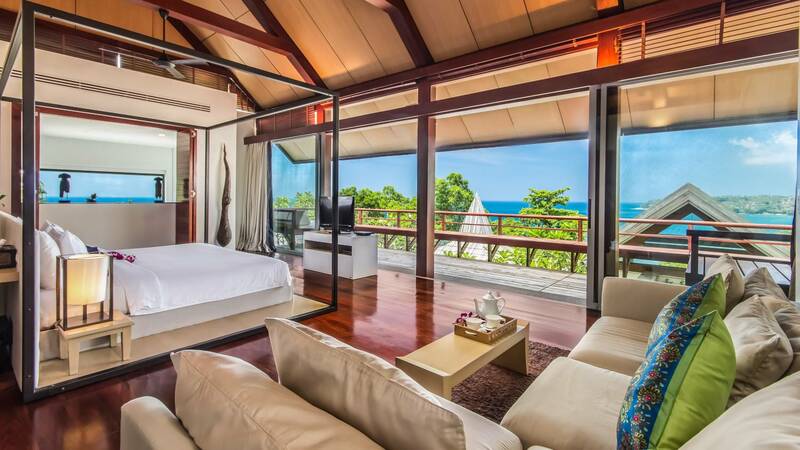 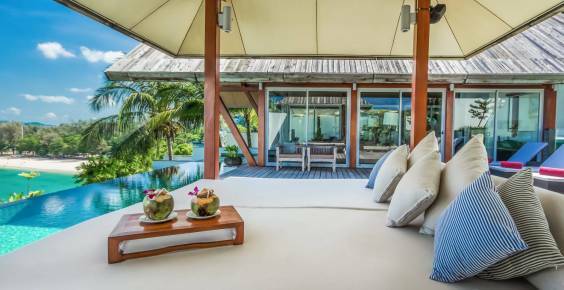 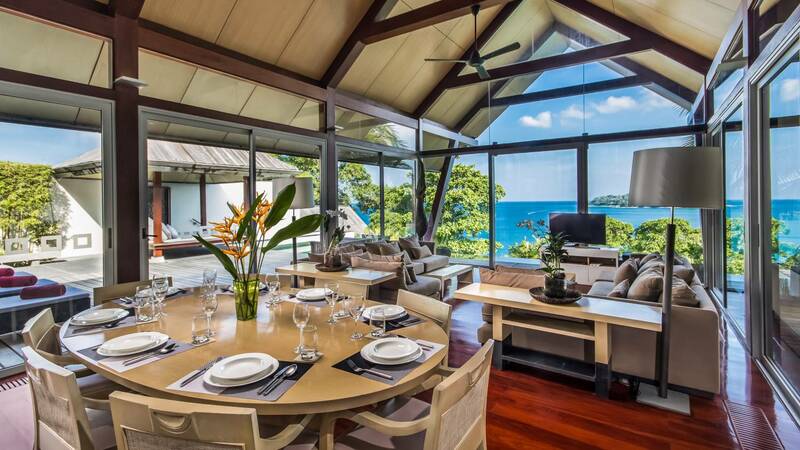 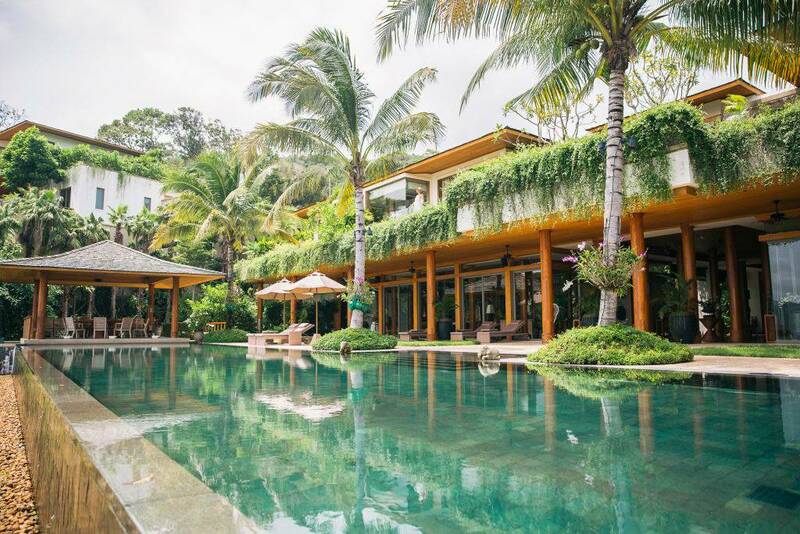 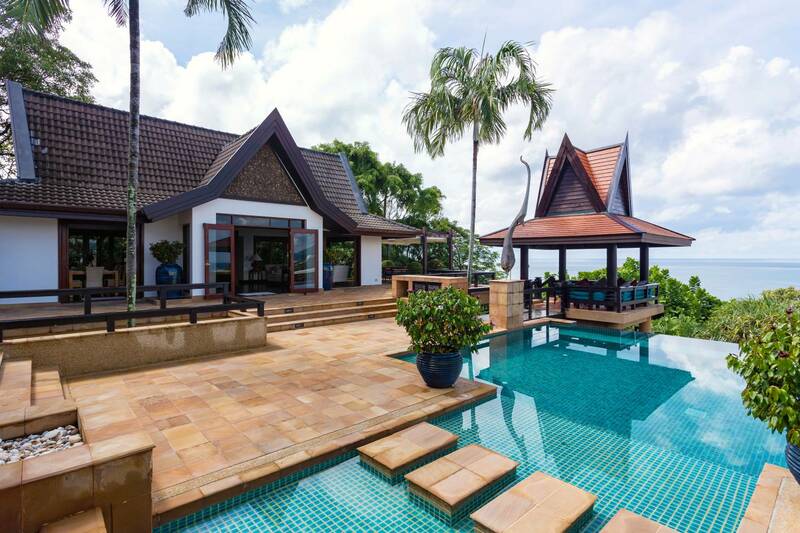 This amazing luxurious paradise Villa boasts over 3,400sqm of exclusive ocean frontage, overlooking the Andaman Sea on the pristine West coast of Phuket. 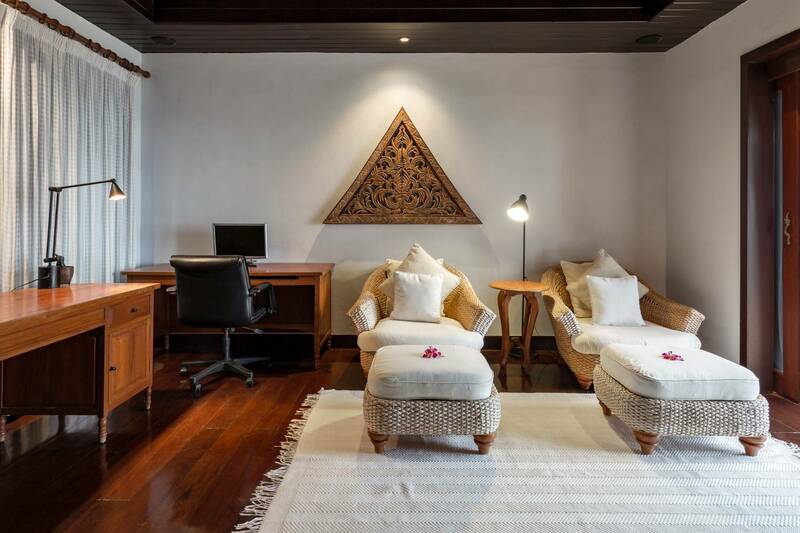 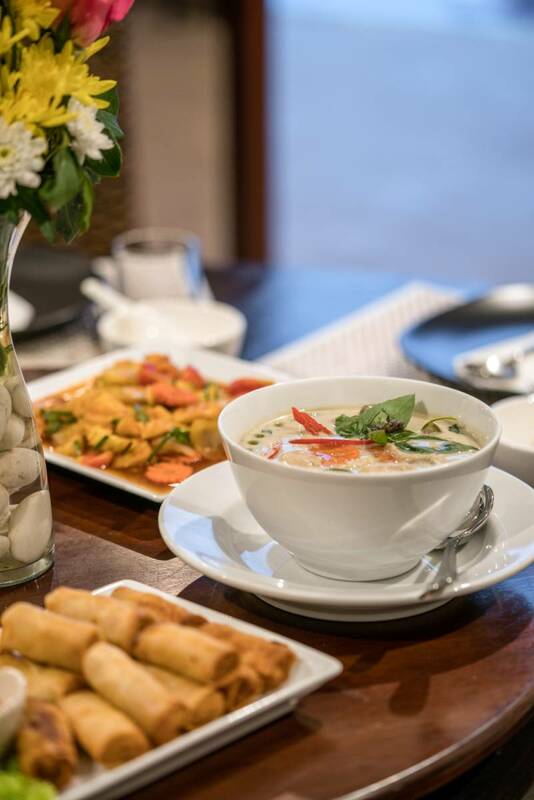 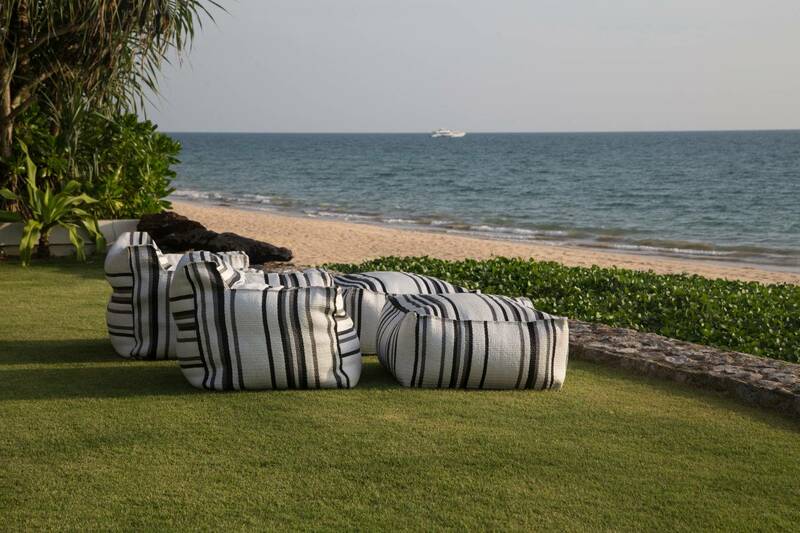 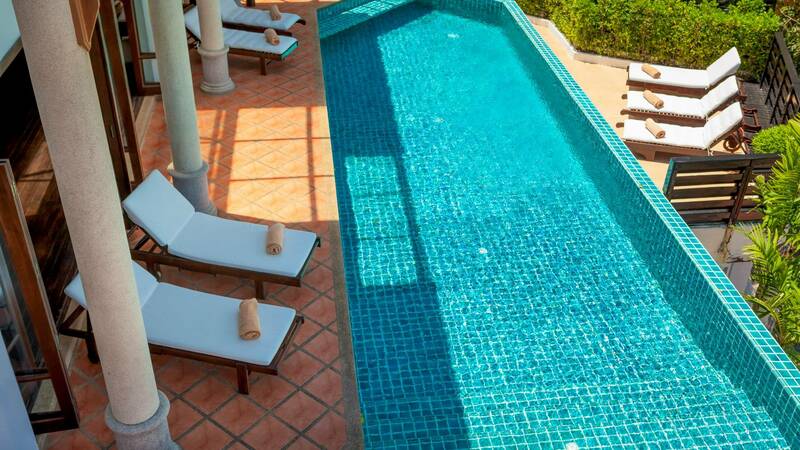 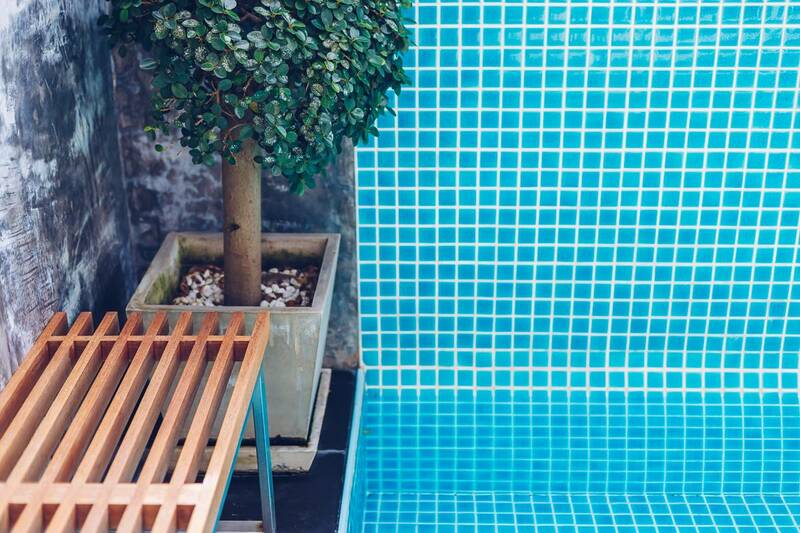 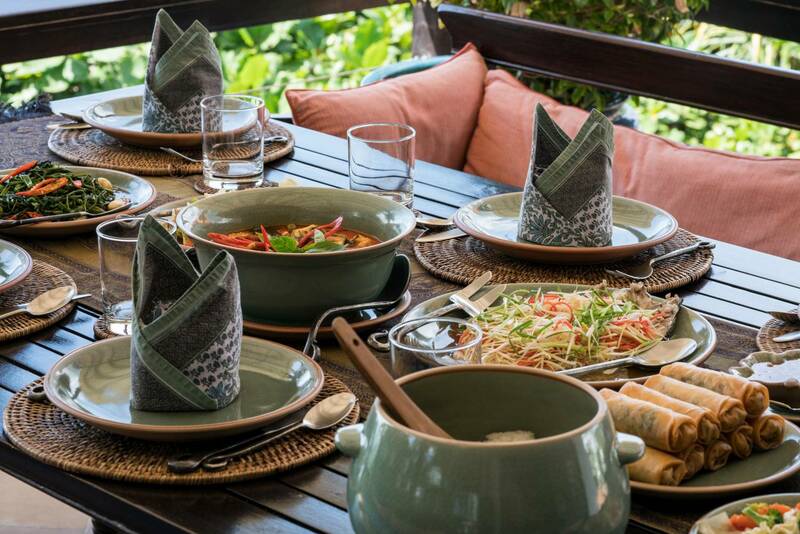 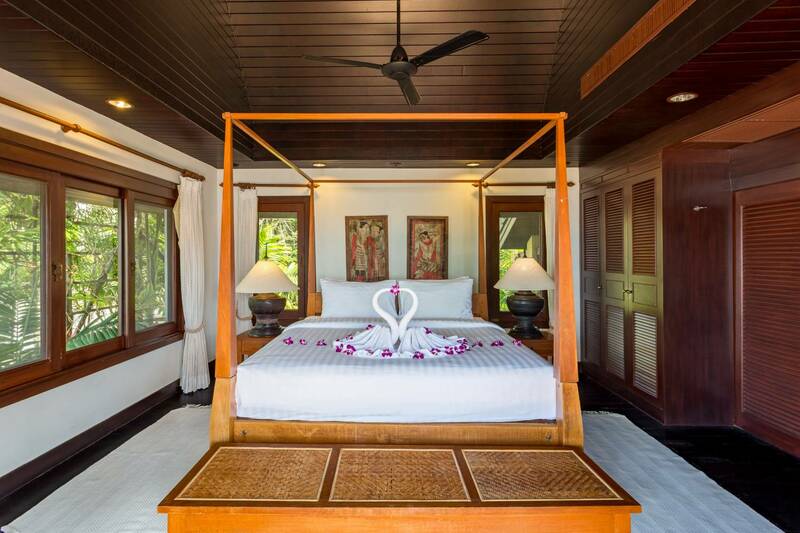 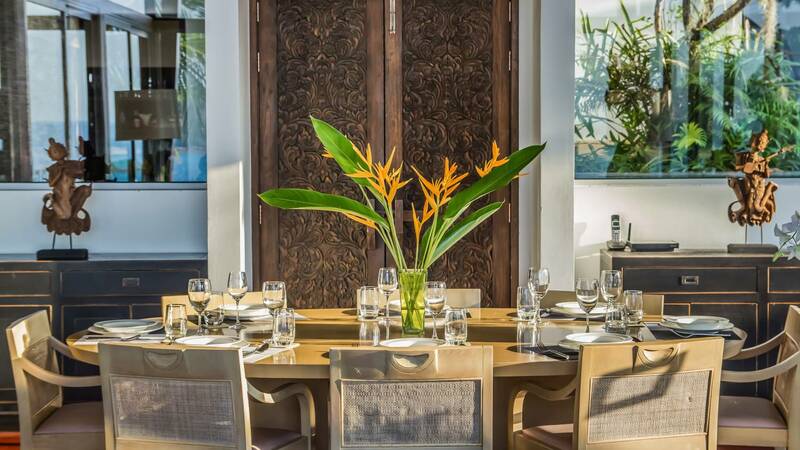 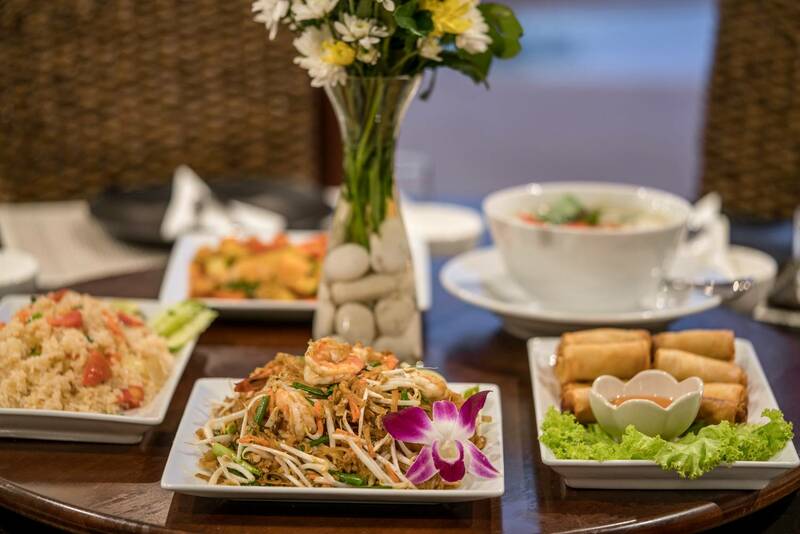 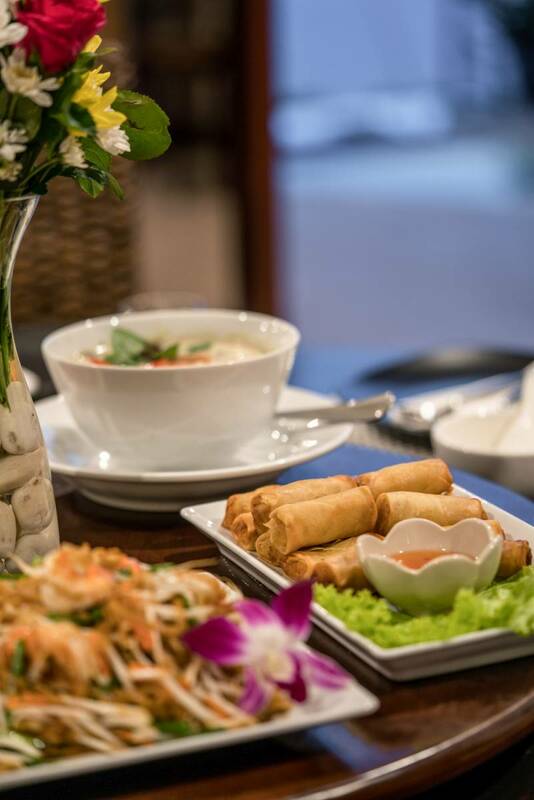 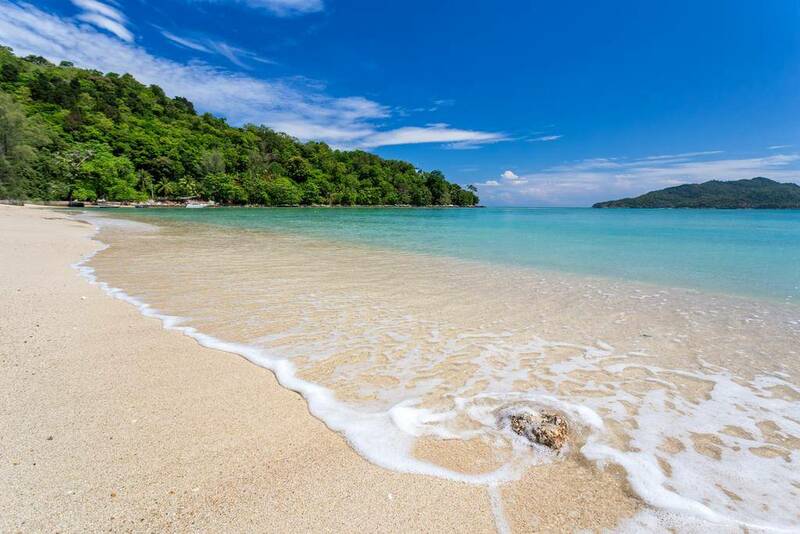 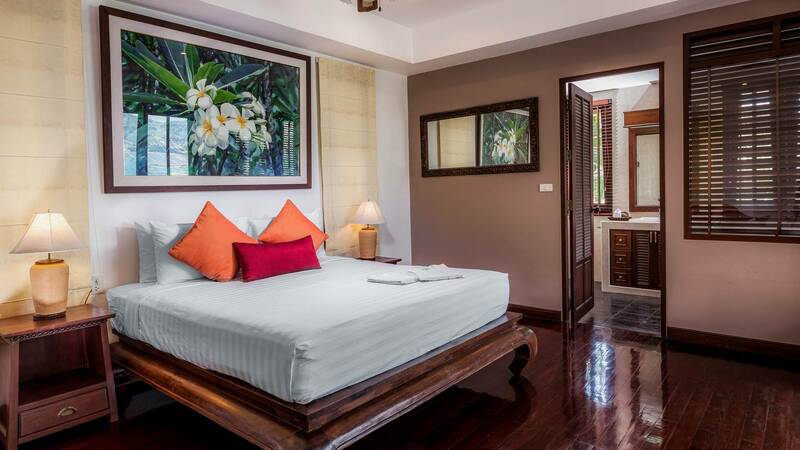 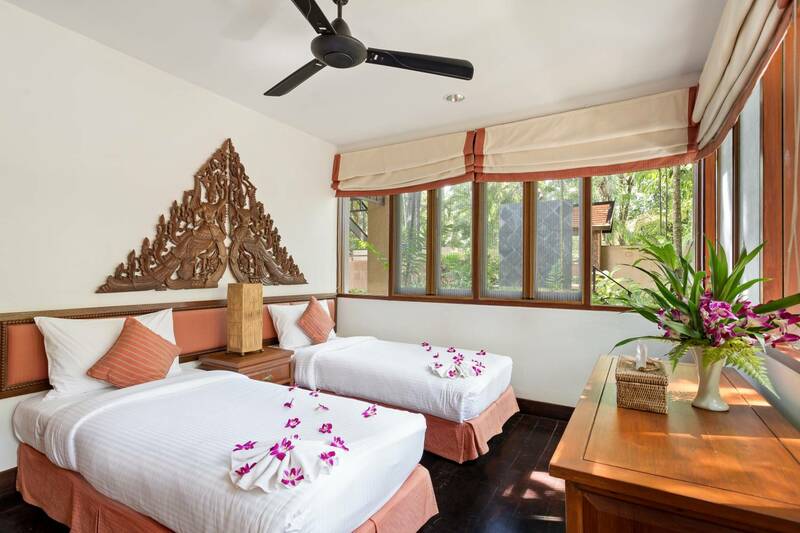 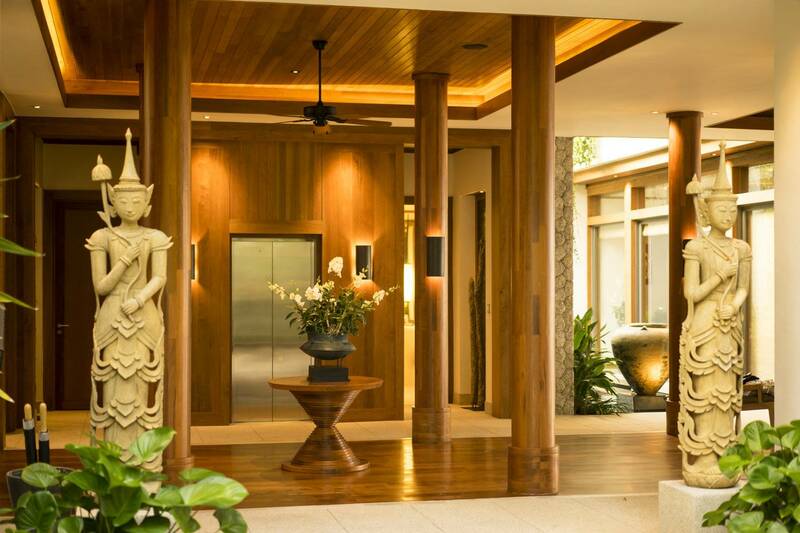 Welcome to Villa Beachside Kata Noi. 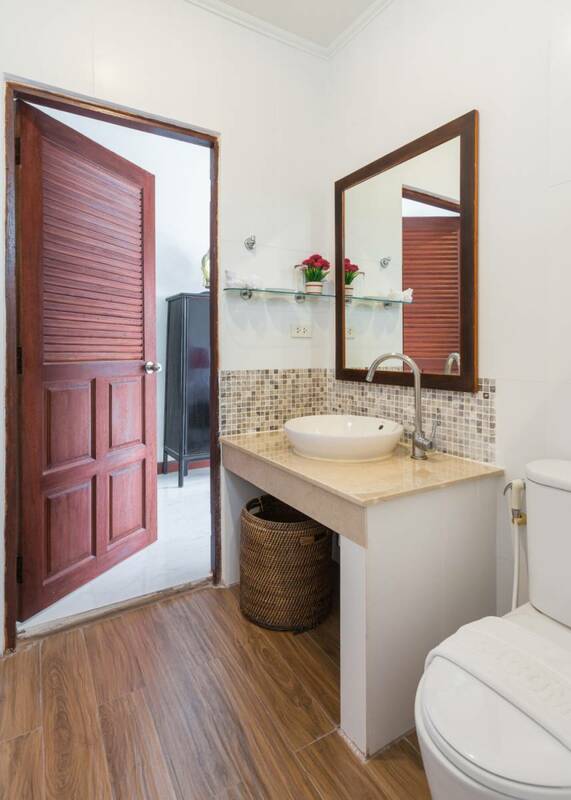 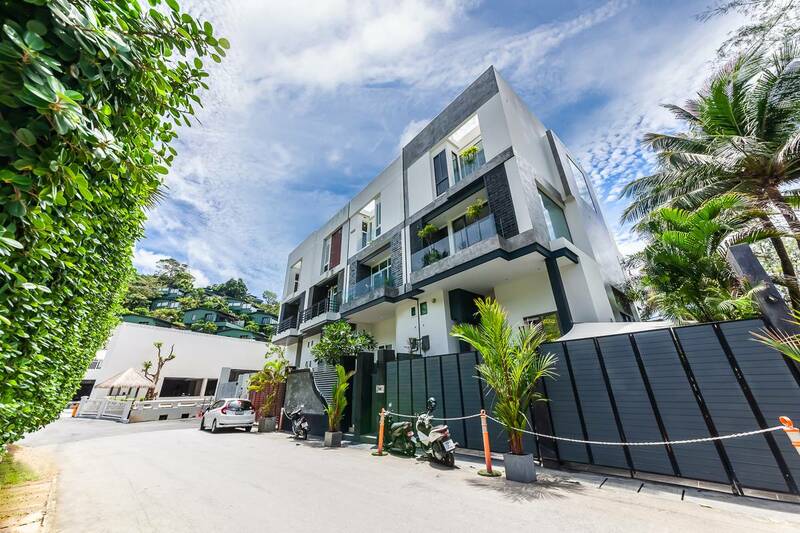 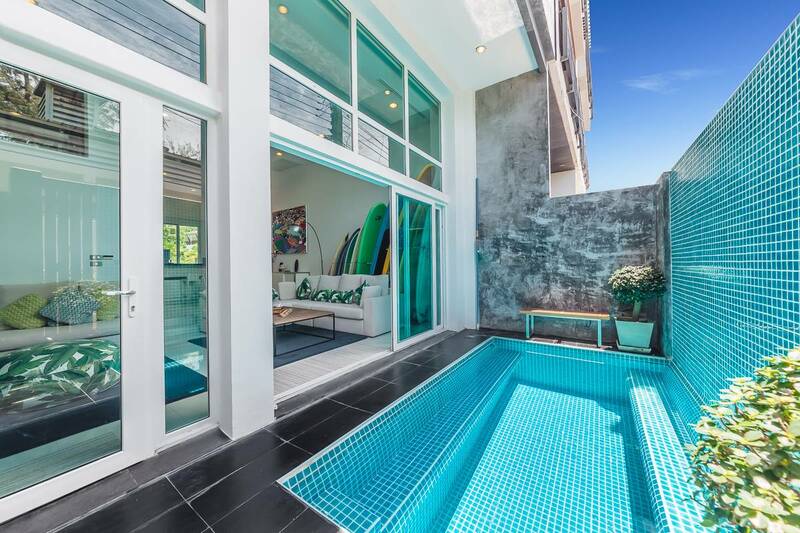 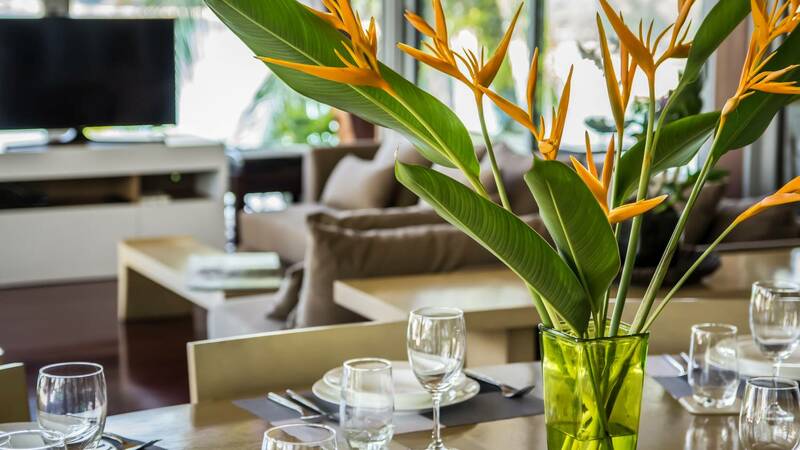 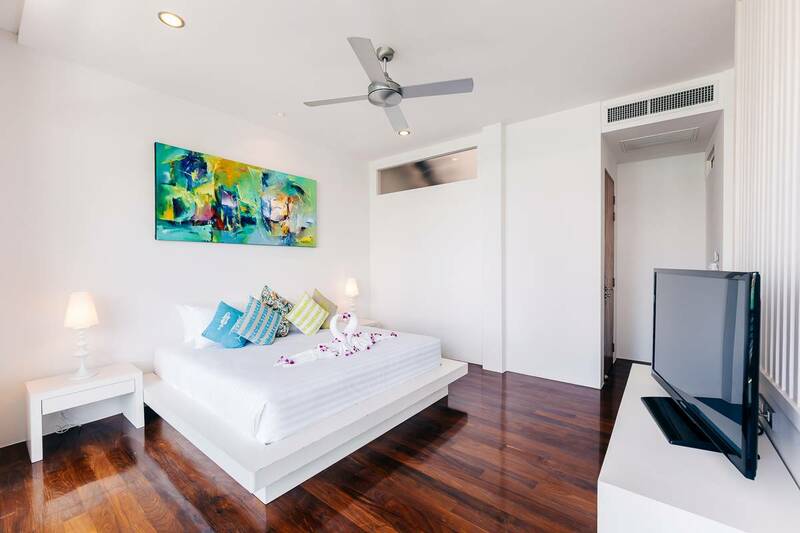 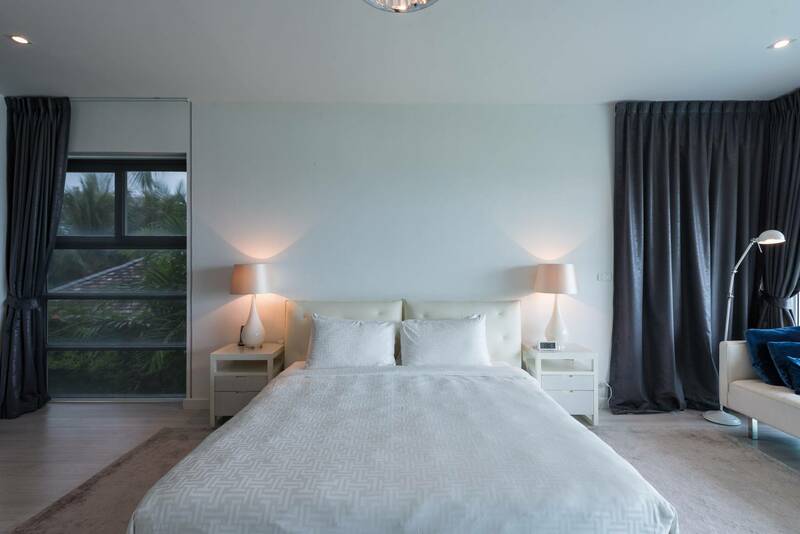 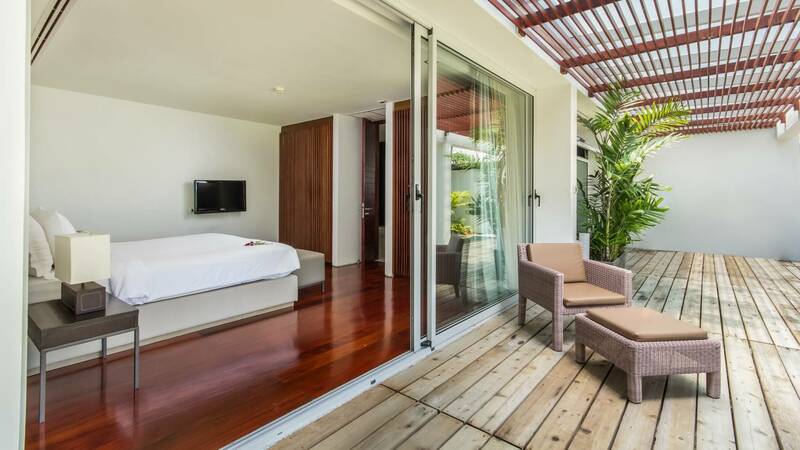 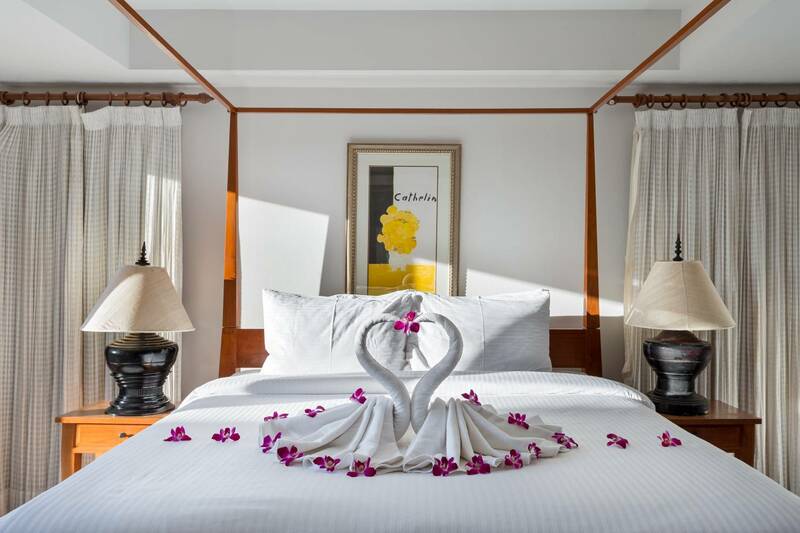 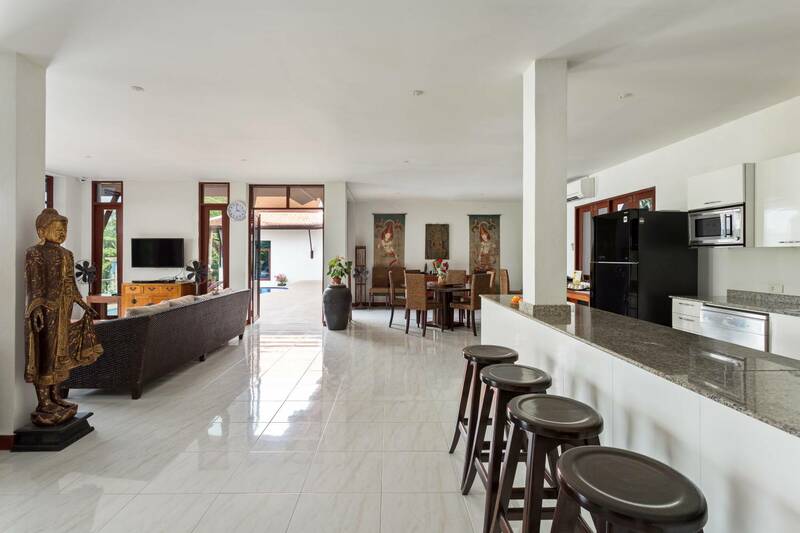 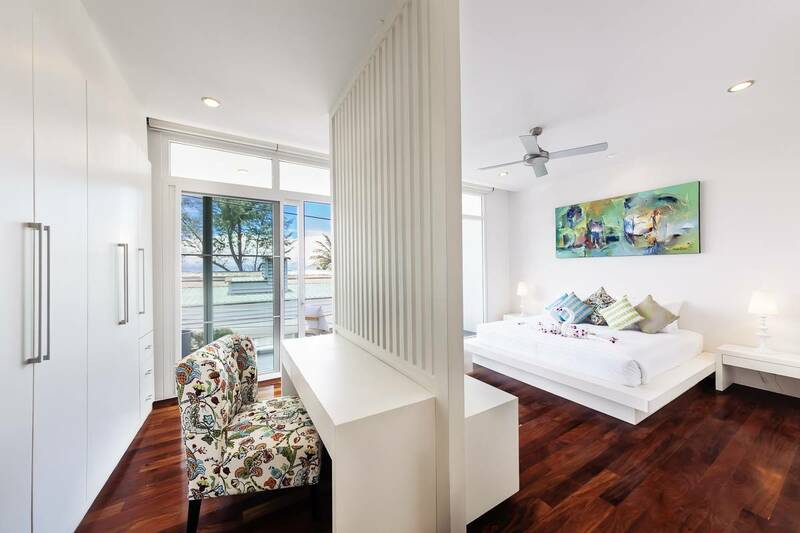 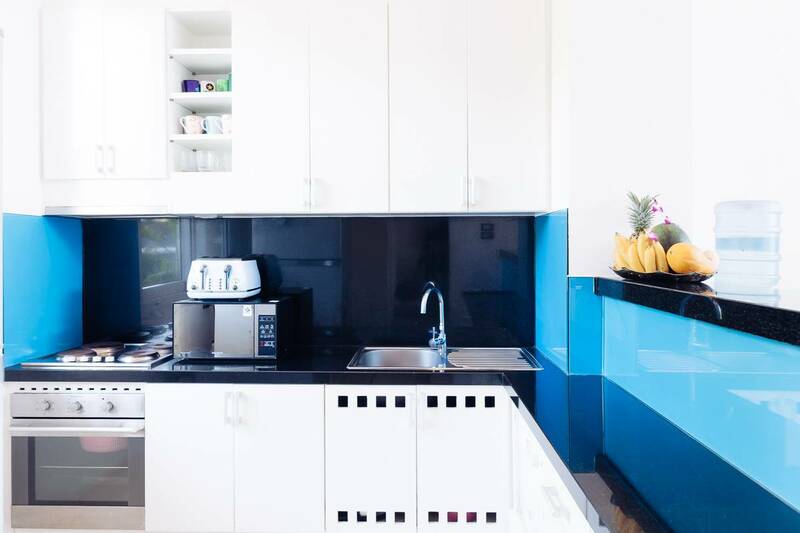 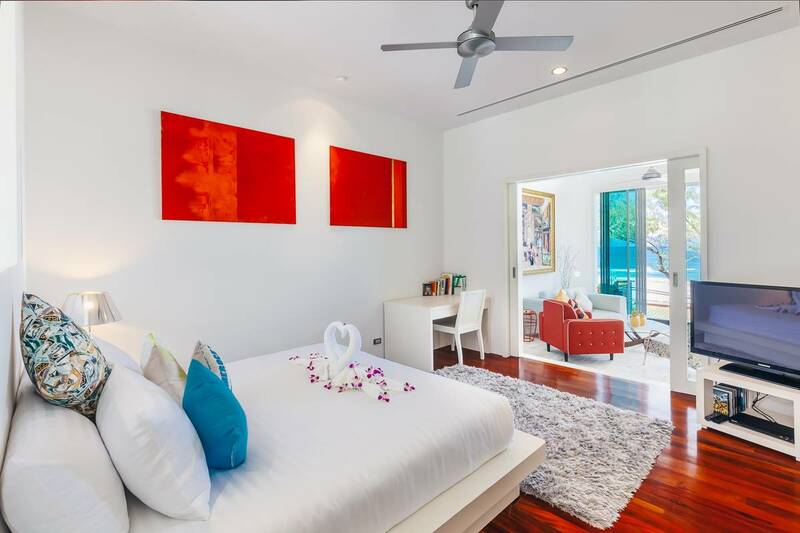 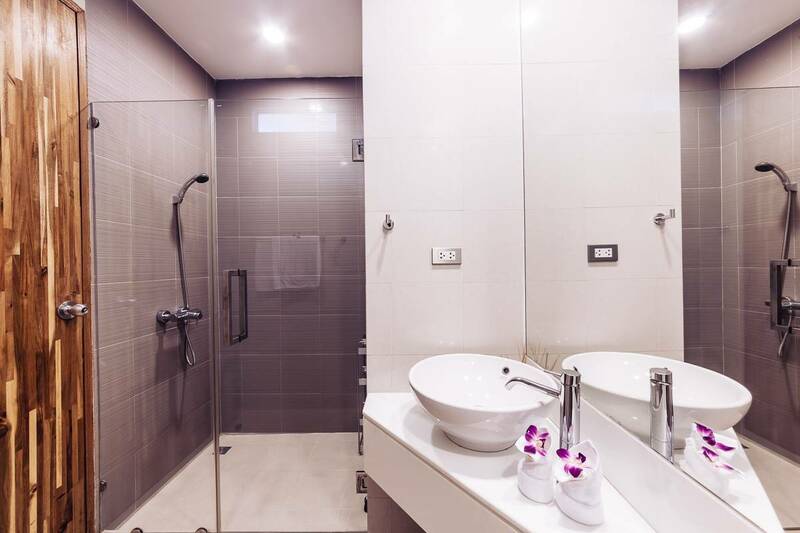 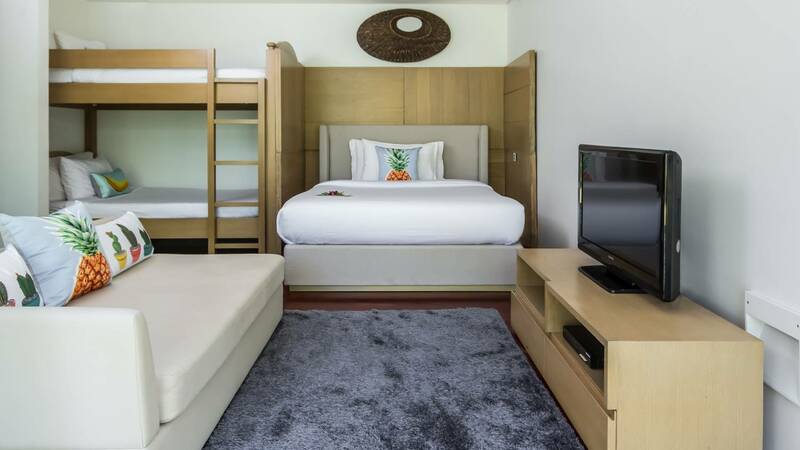 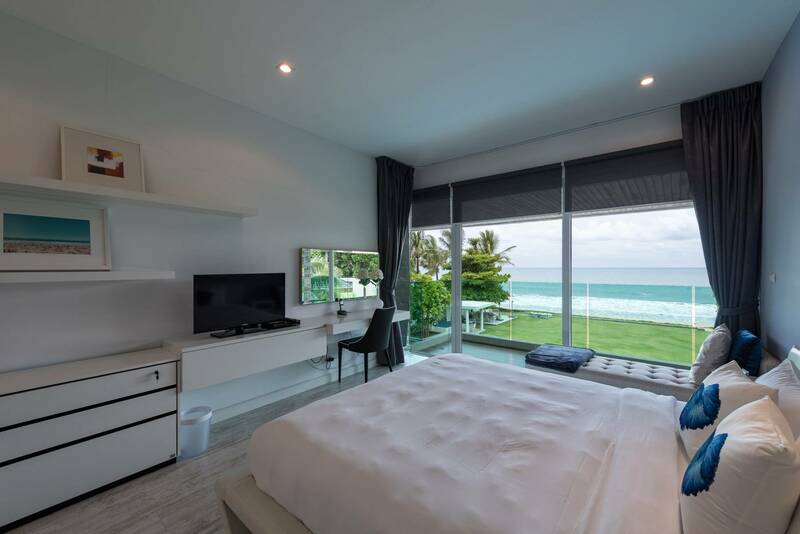 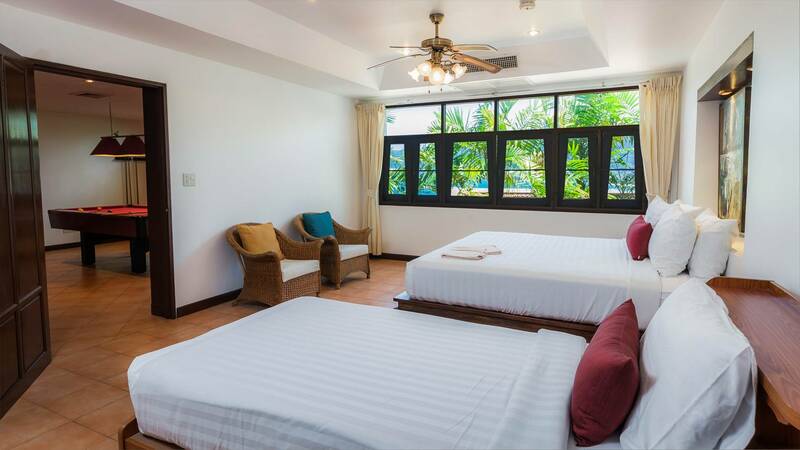 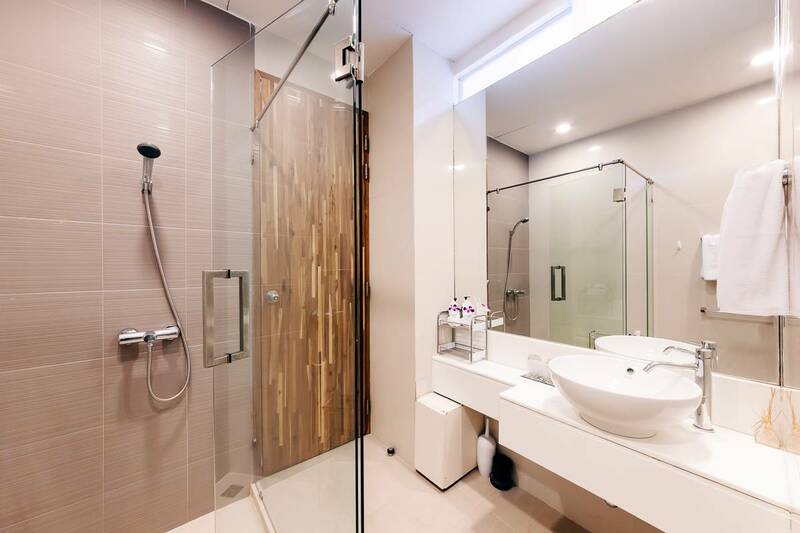 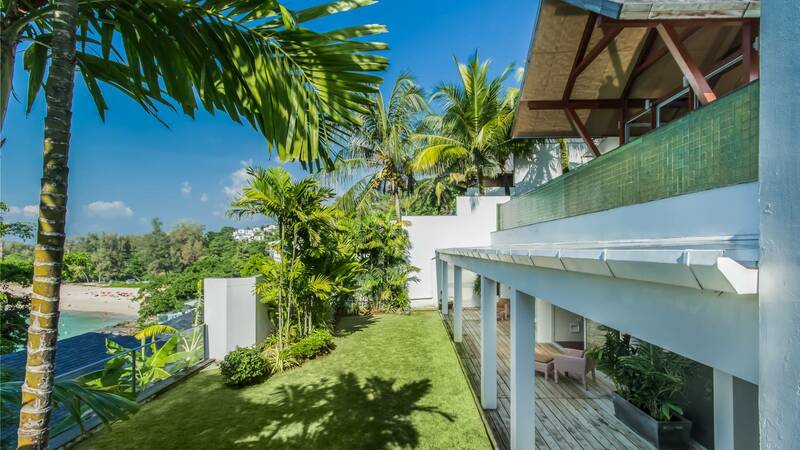 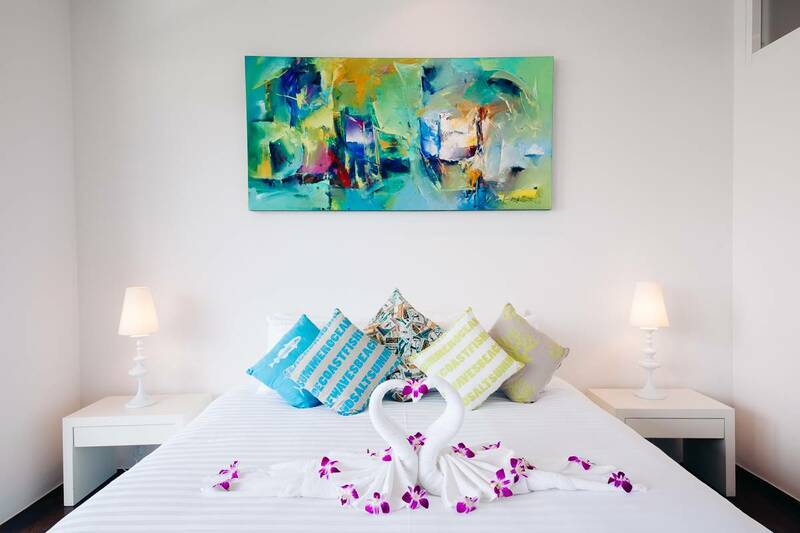 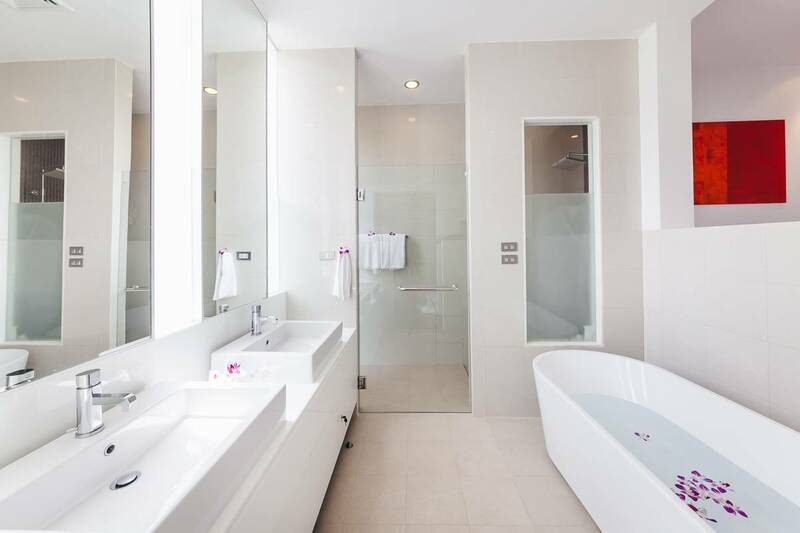 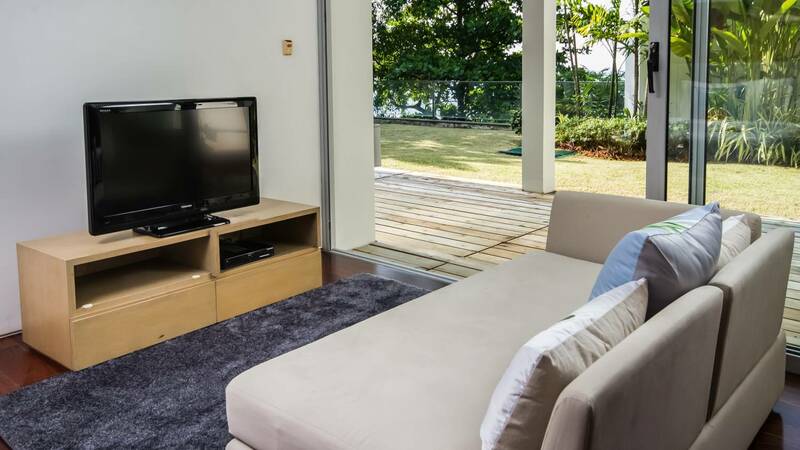 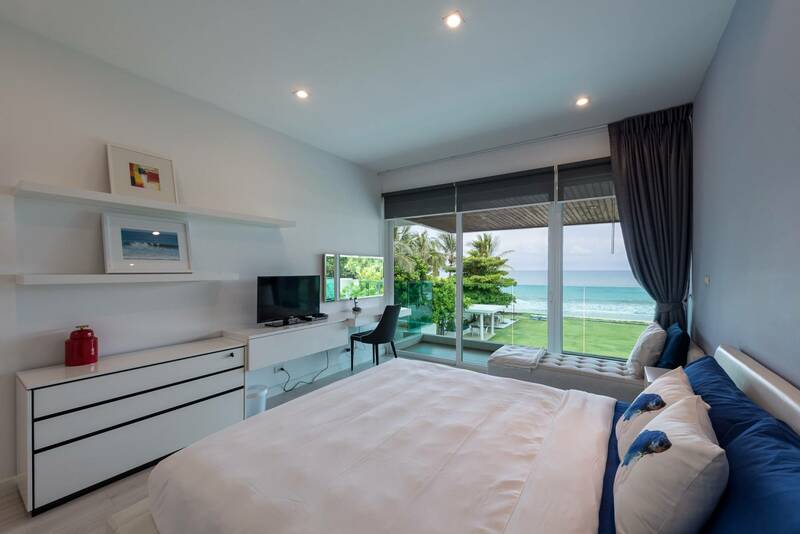 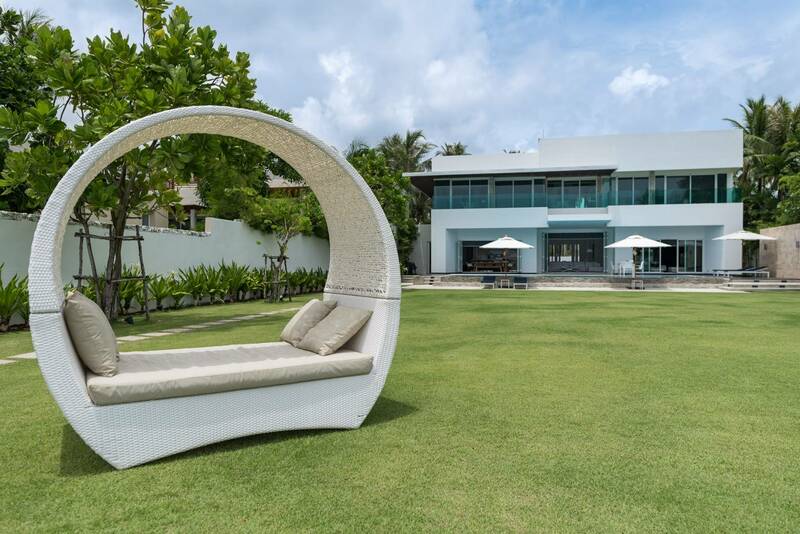 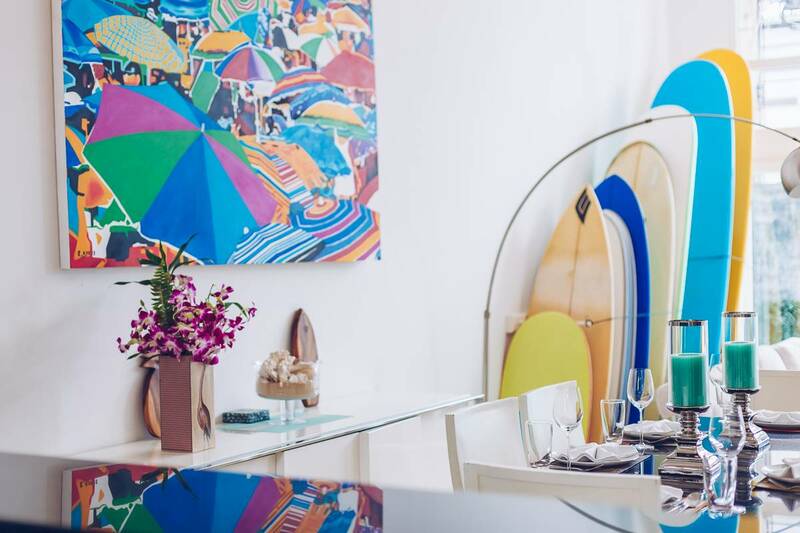 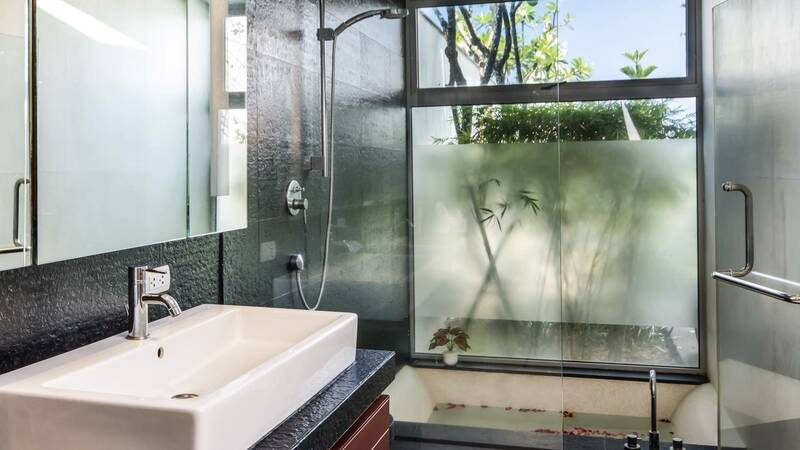 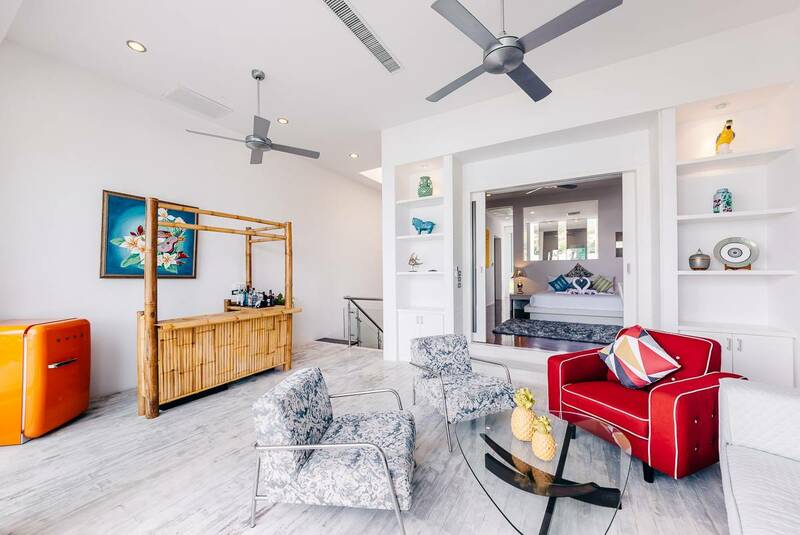 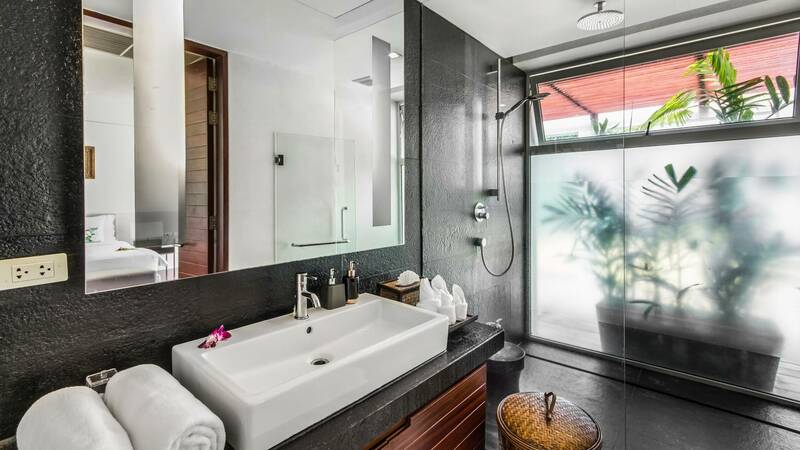 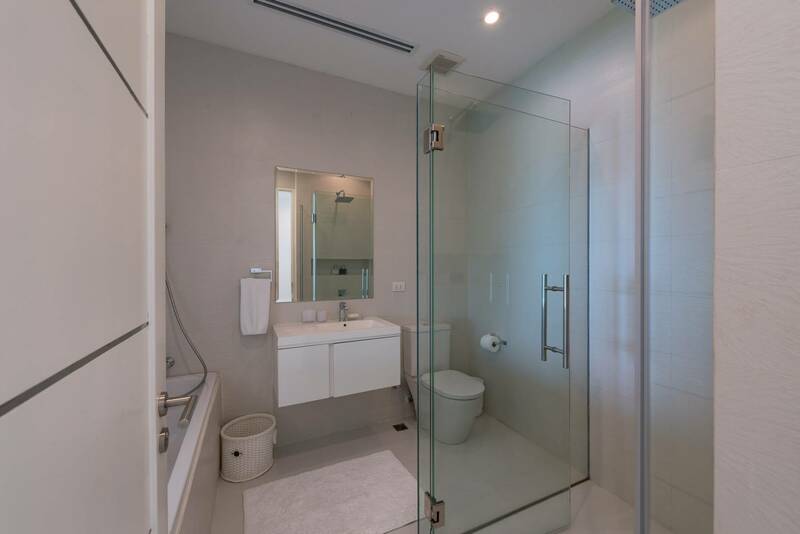 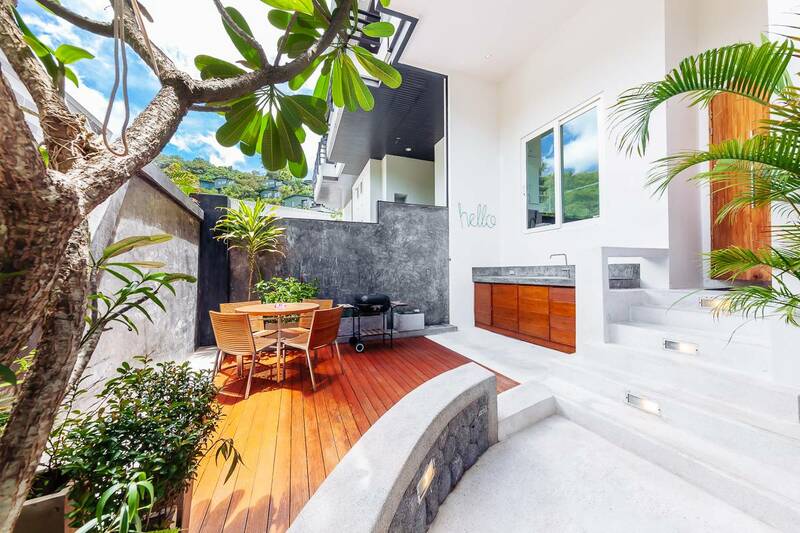 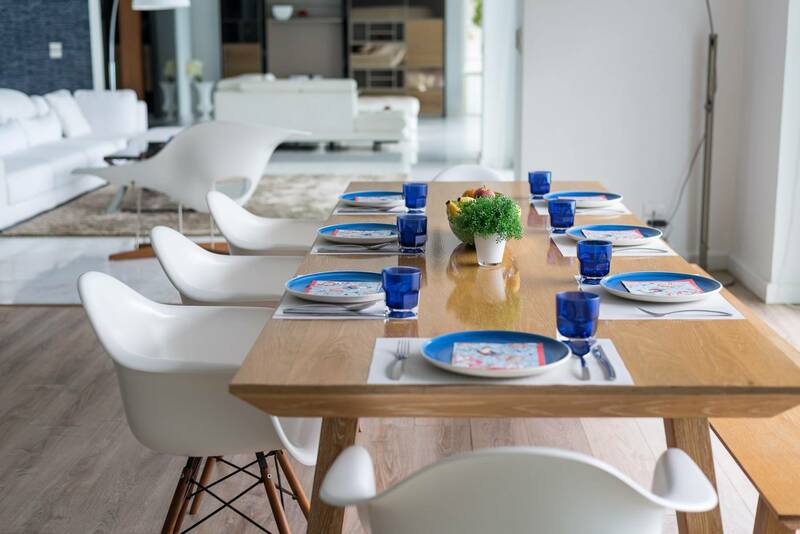 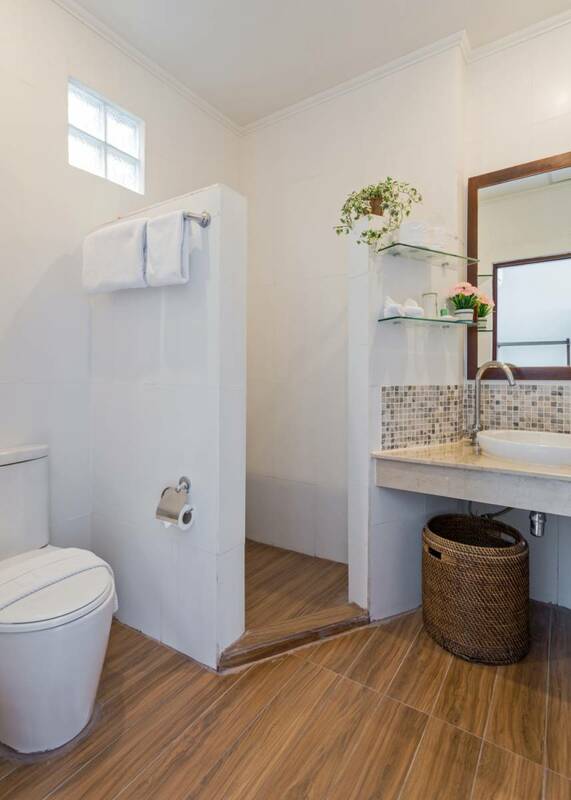 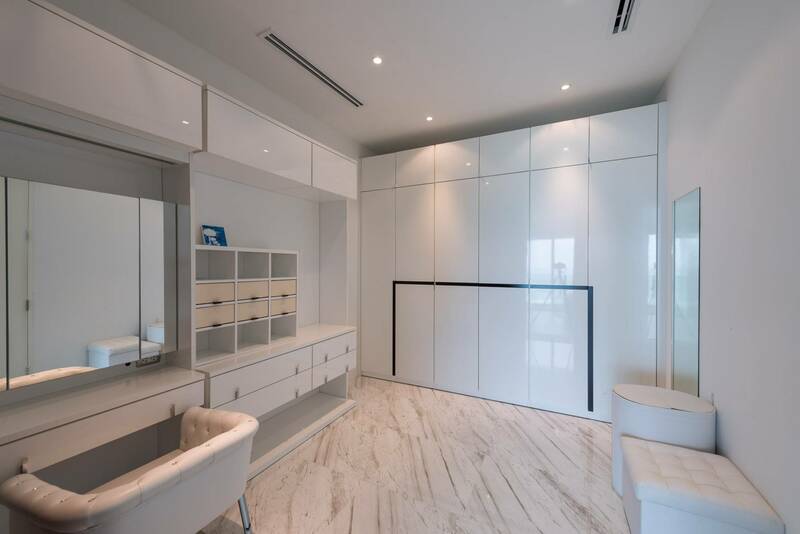 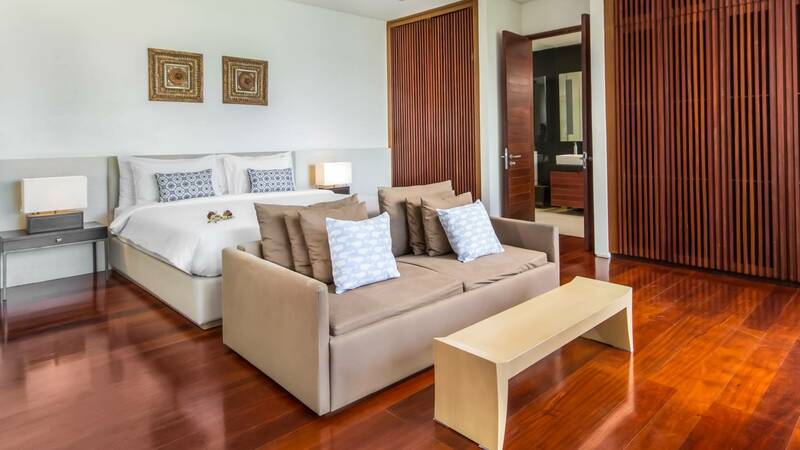 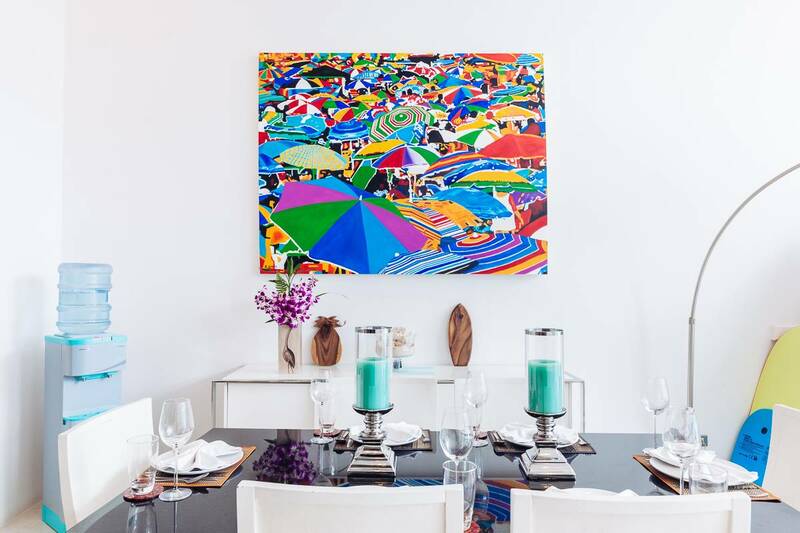 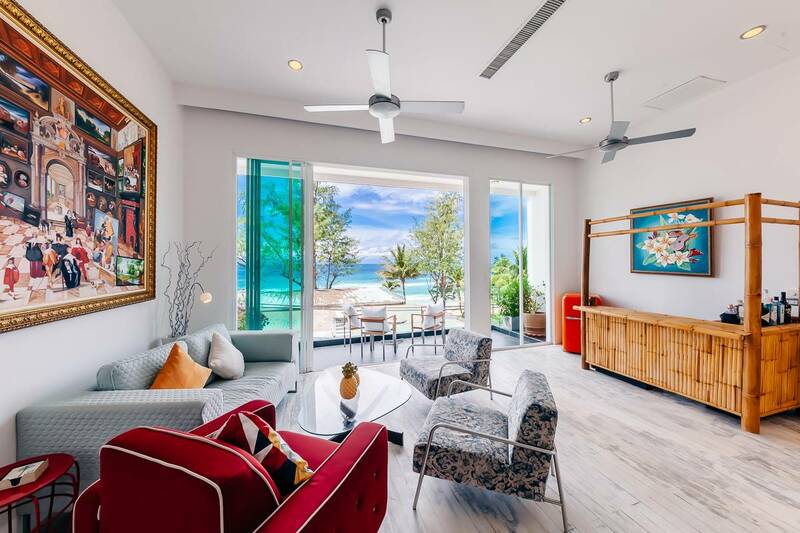 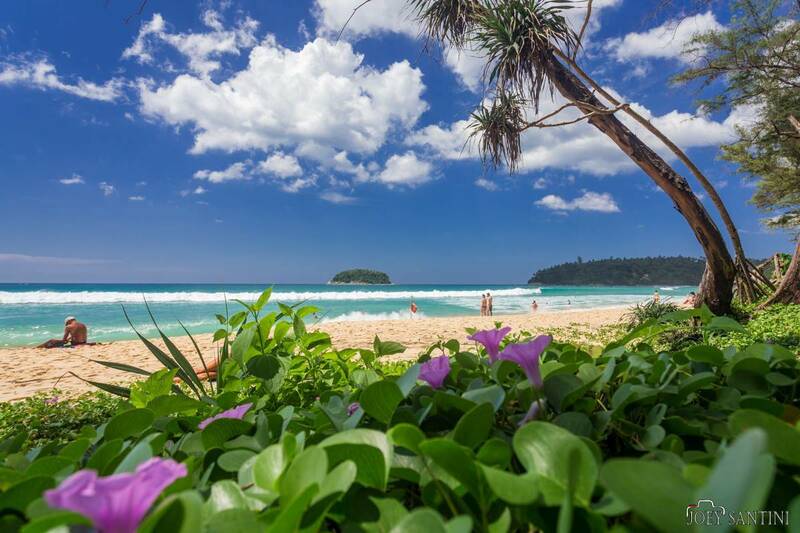 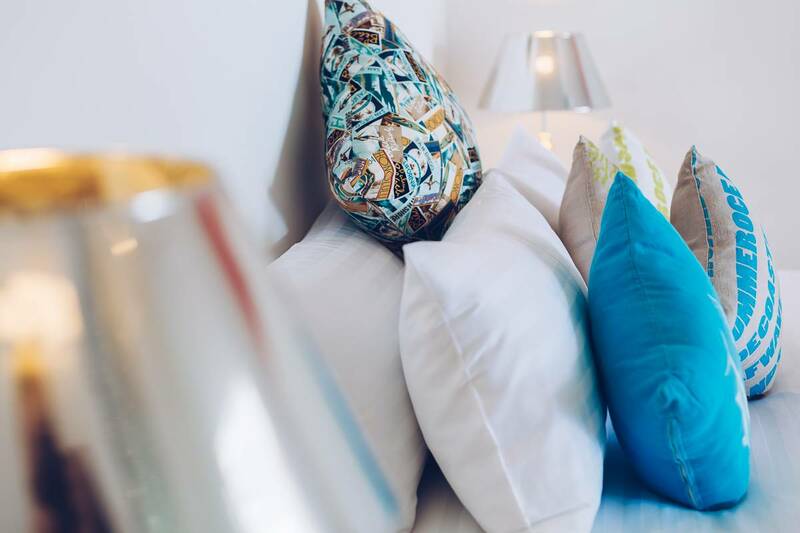 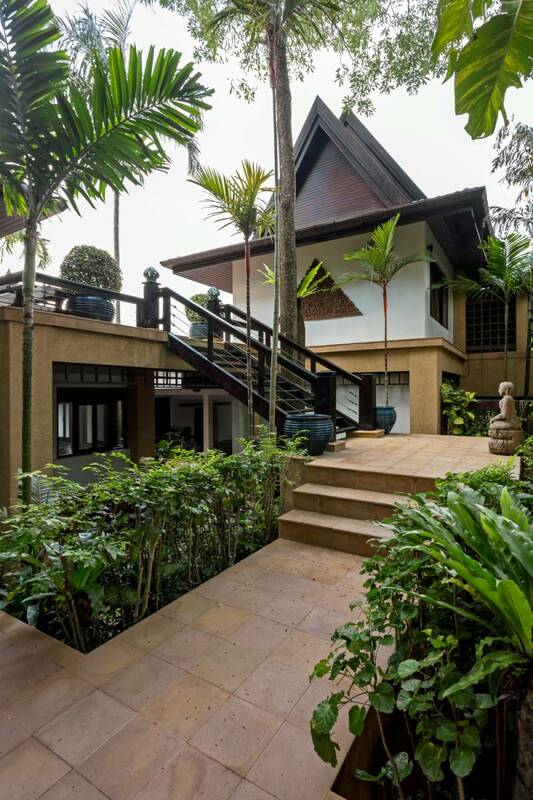 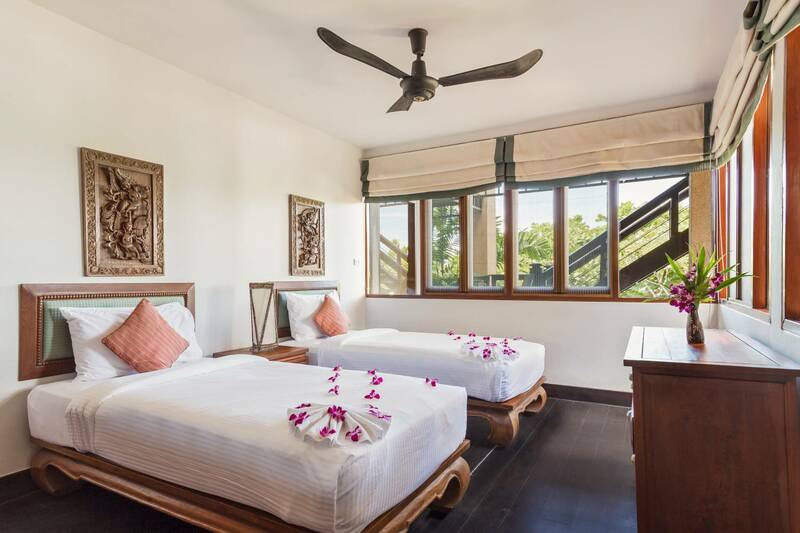 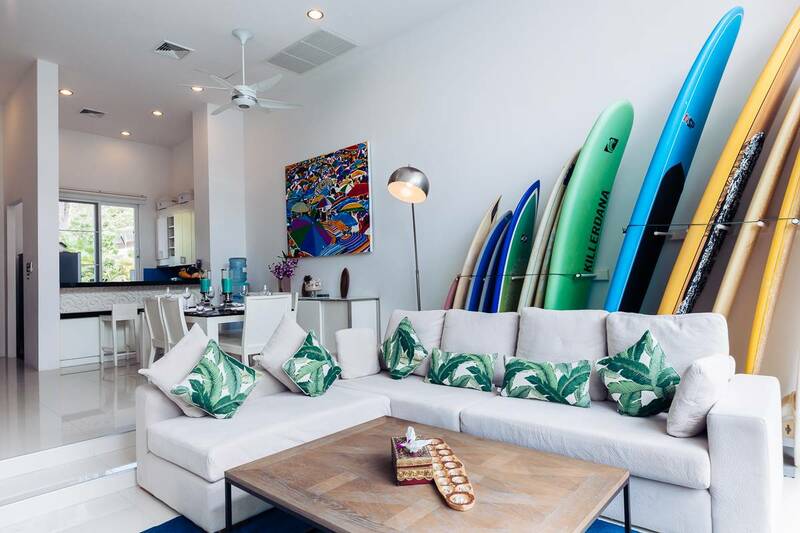 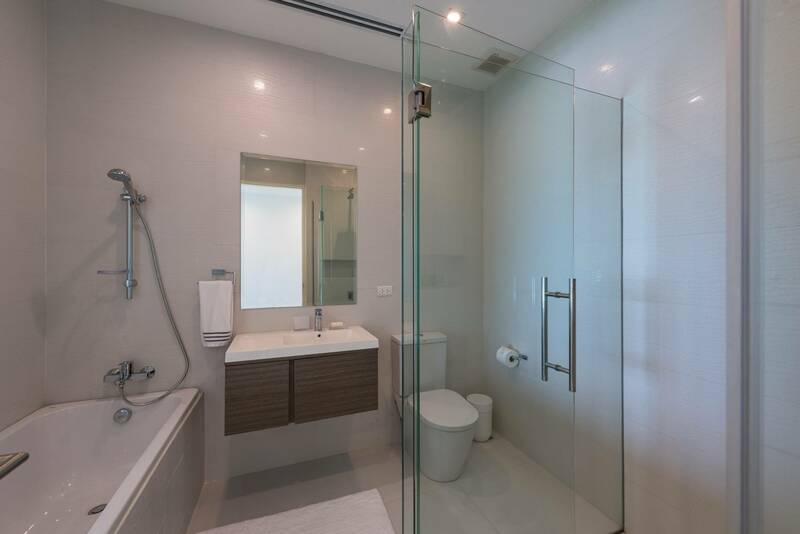 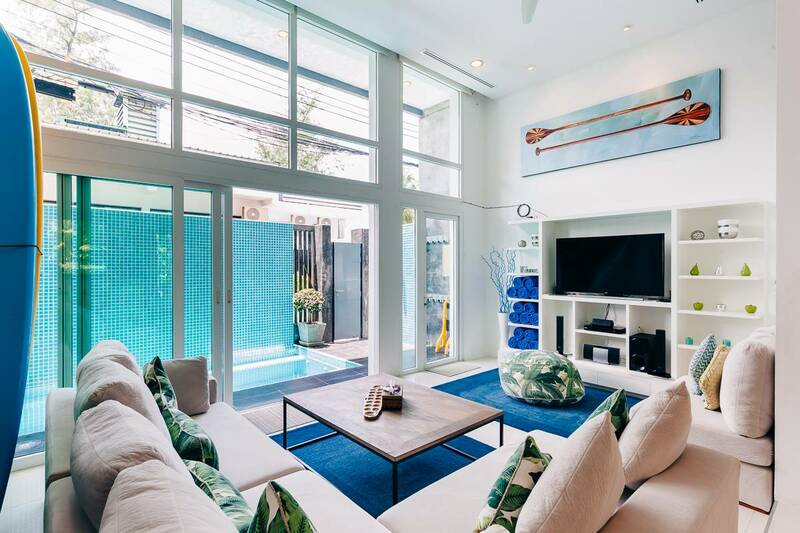 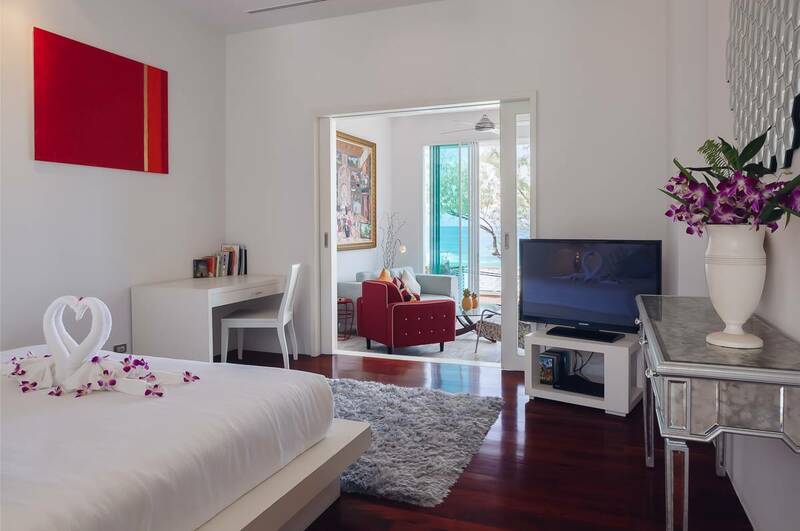 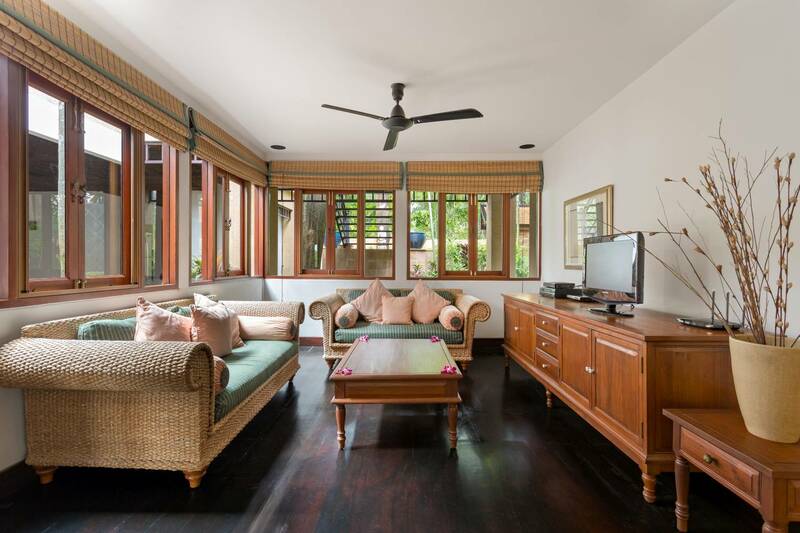 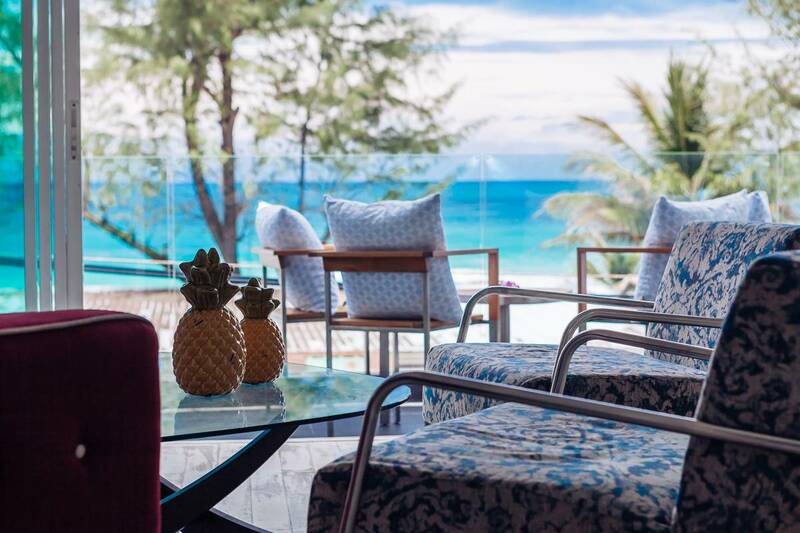 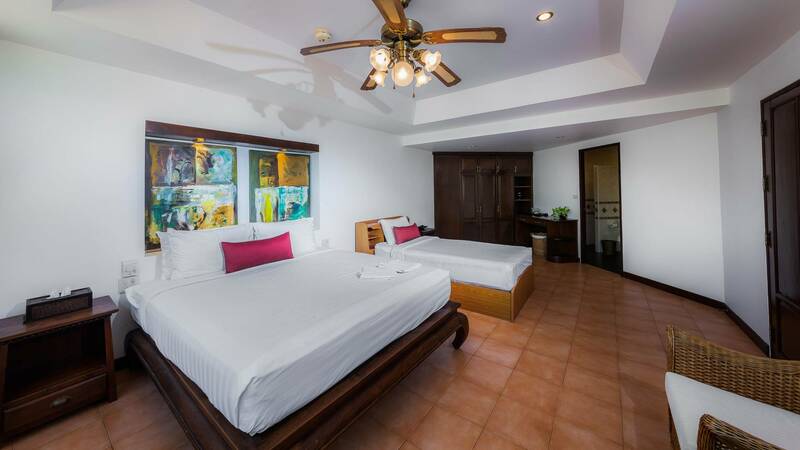 Situated steps away from the beautiful Kata Noi beach, sits this modern three bedroom townhouse with all the amenities to ensure a wonderful stay in Phuket. 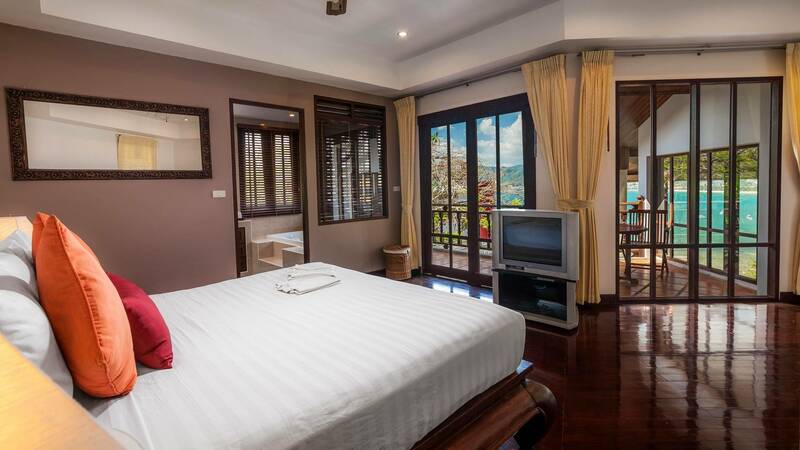 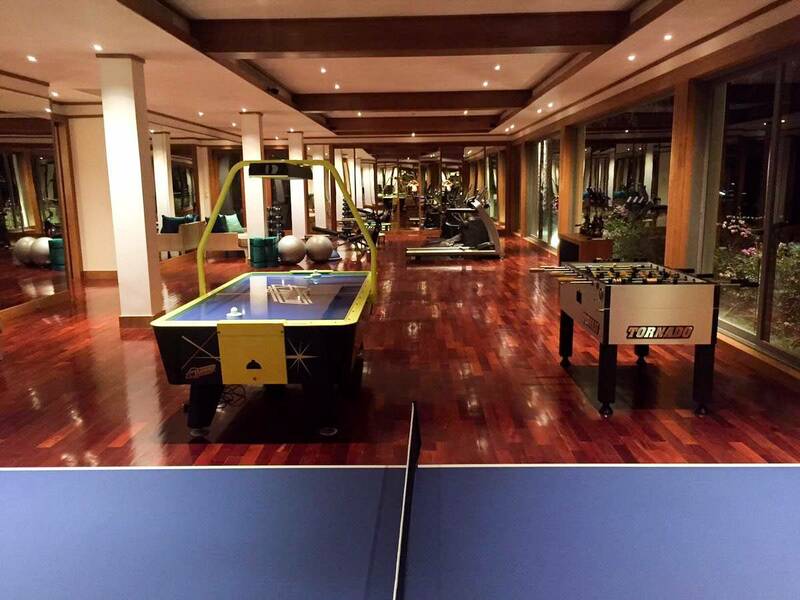 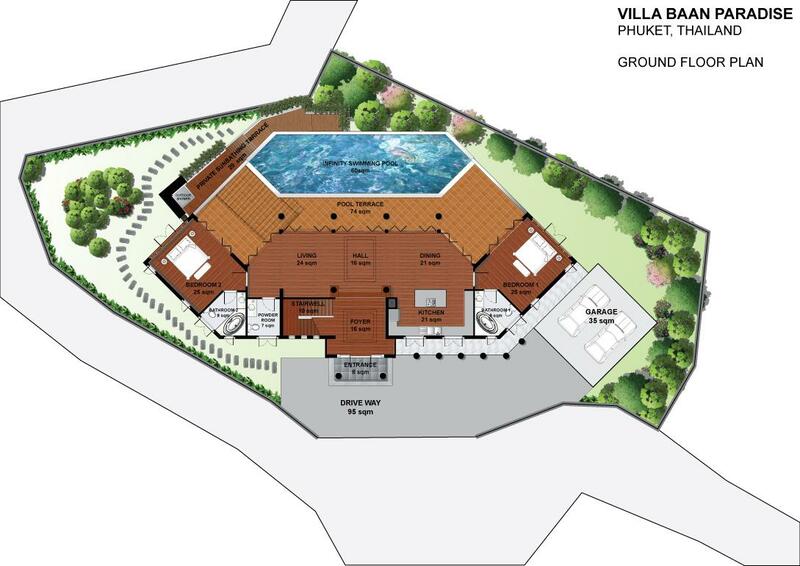 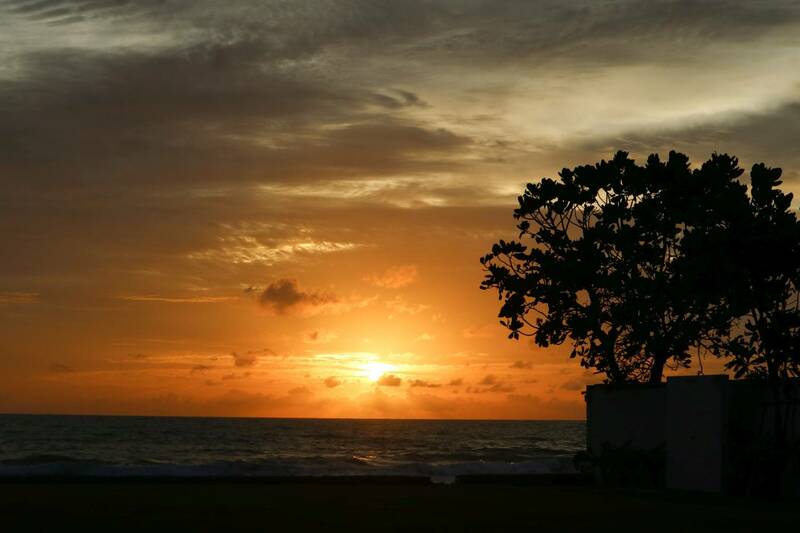 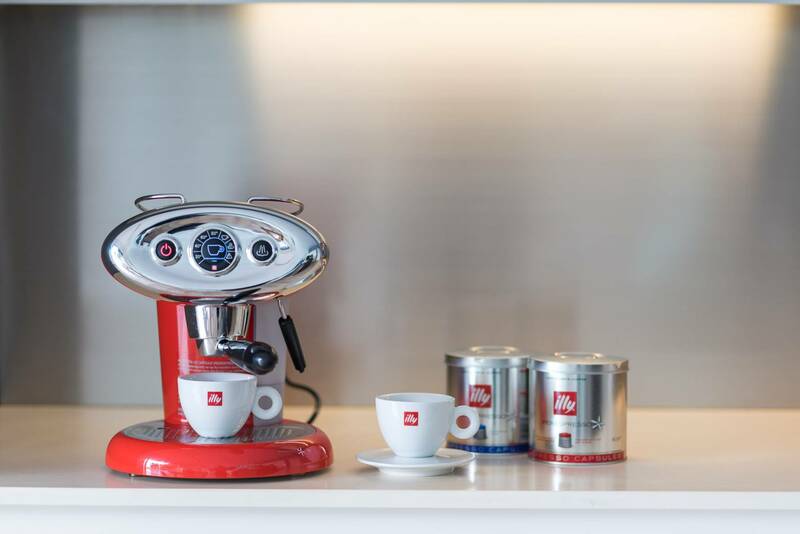 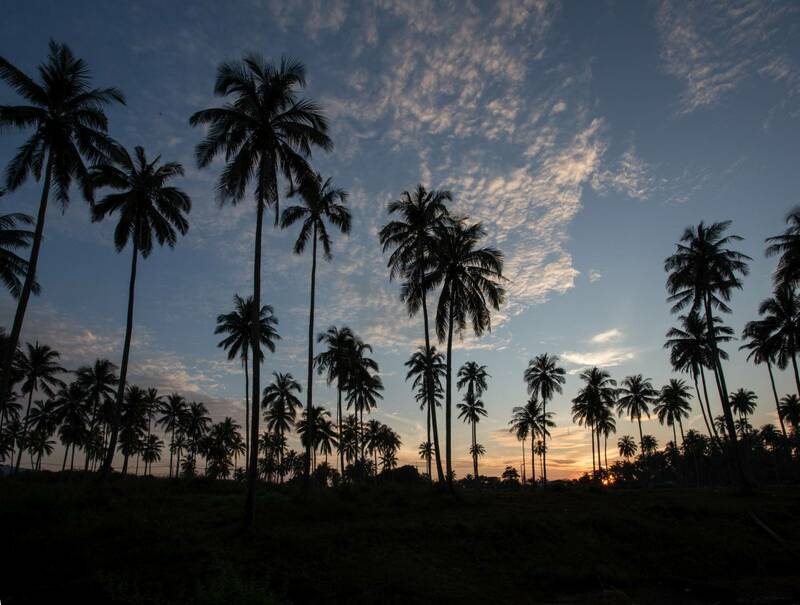 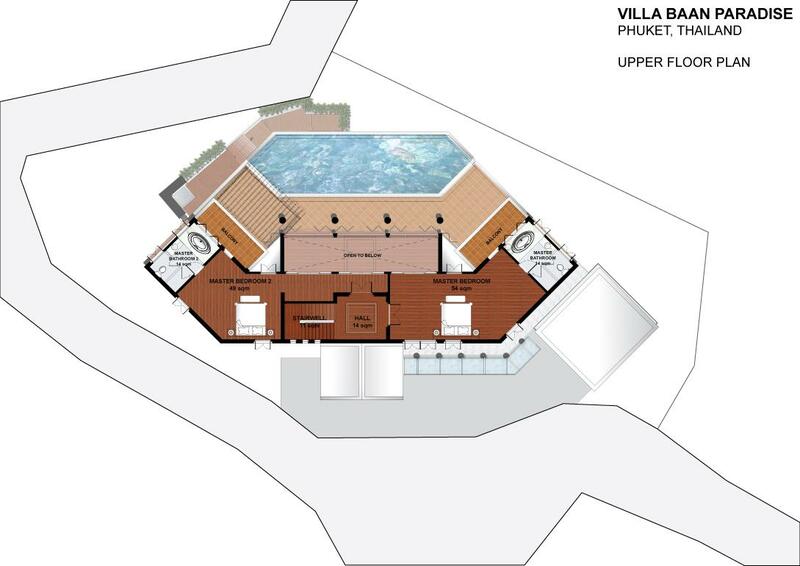 Copyright © 2015 Villa Getaways Ltd. 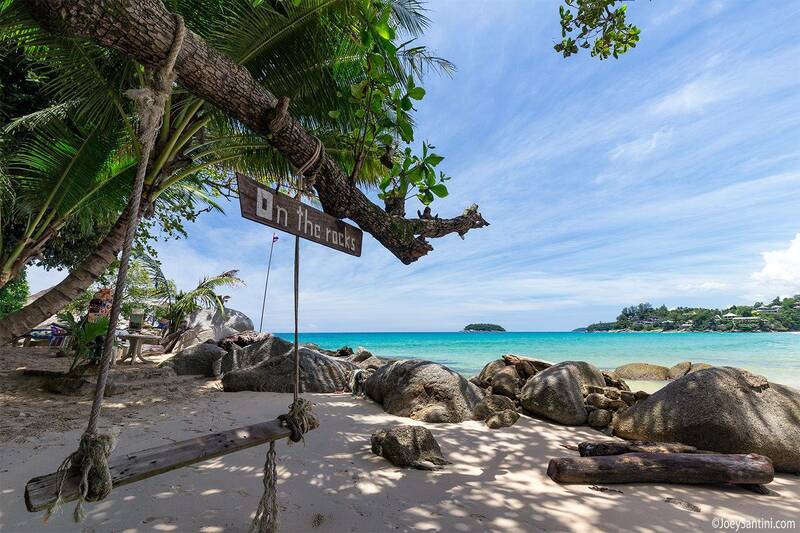 Unless otherwise stated.